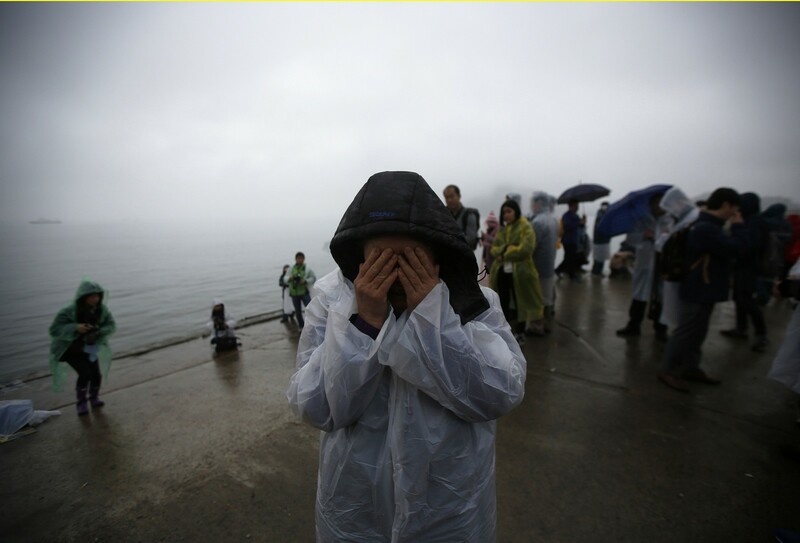 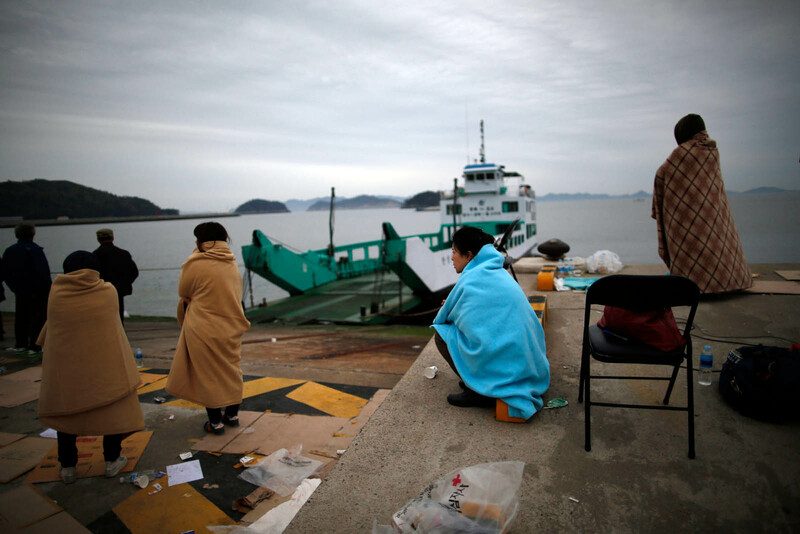 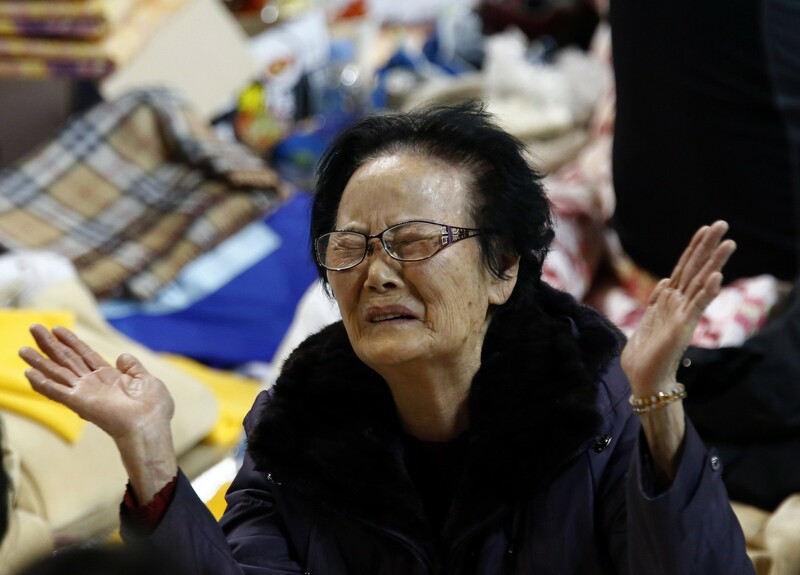 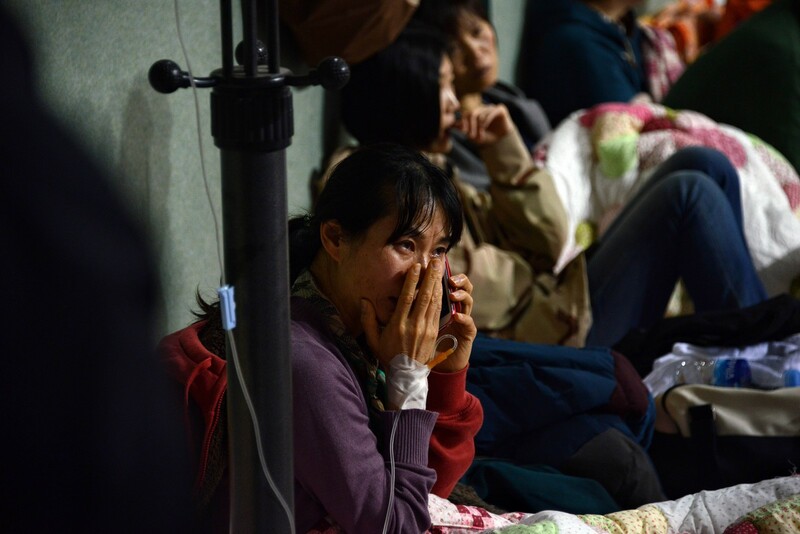 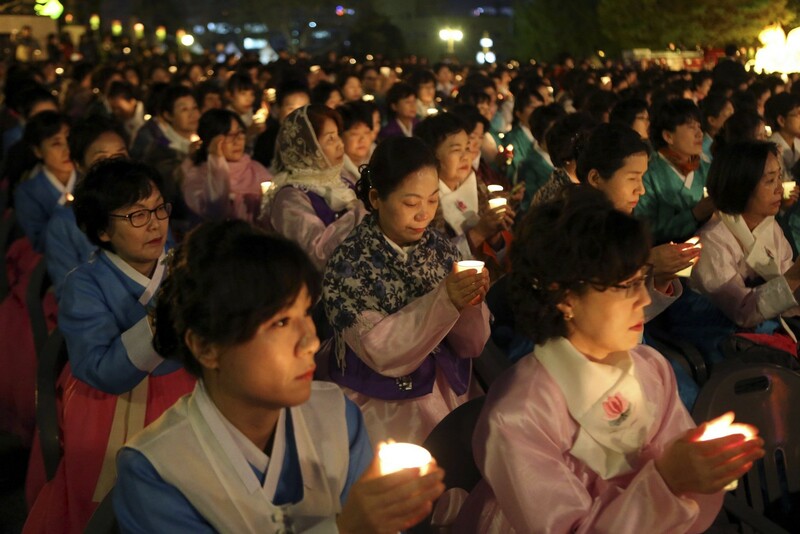 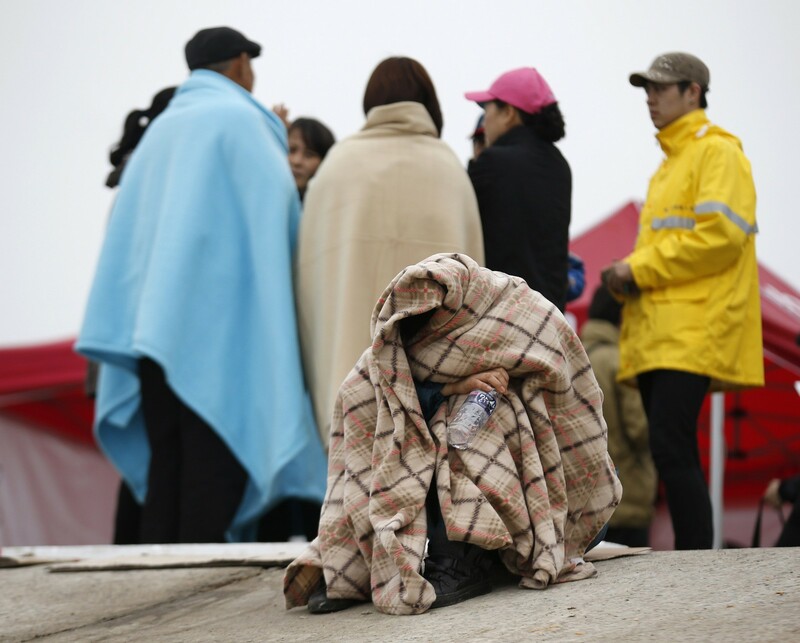 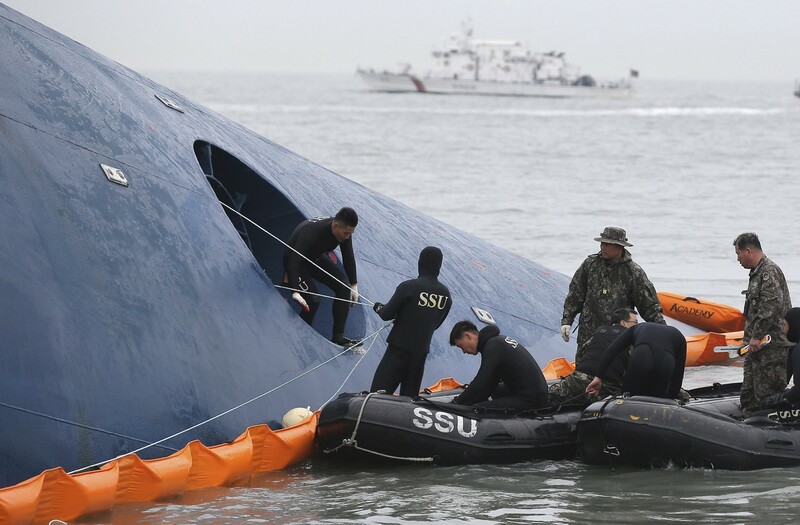 SEOUL - South Korean President Park Geun-Hye apologised Tuesday for her government's failure to prevent a ferry disaster that left some 300 people dead or missing. 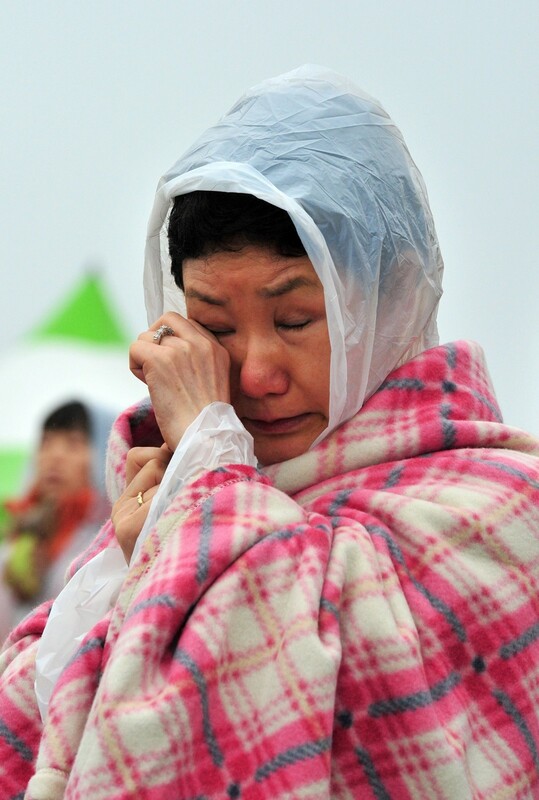 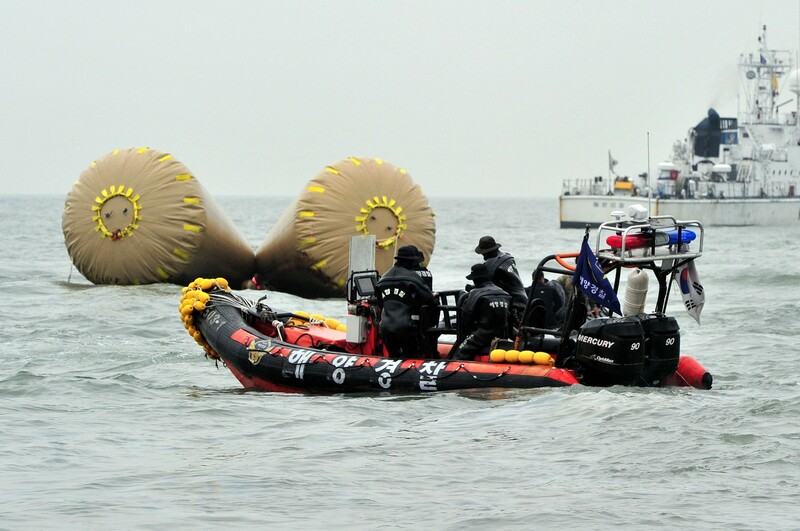 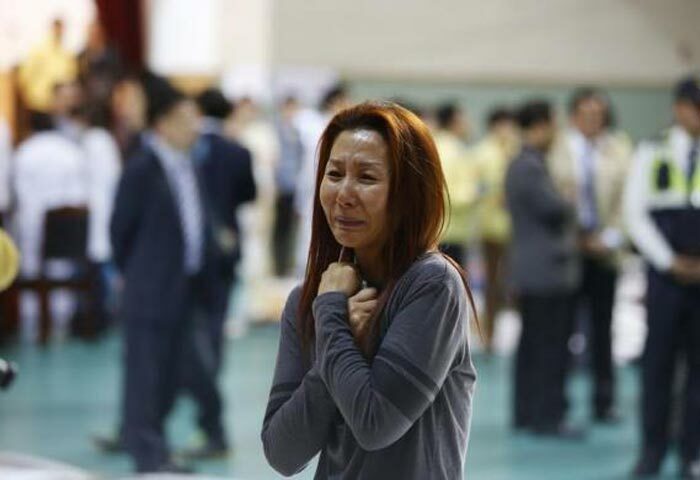 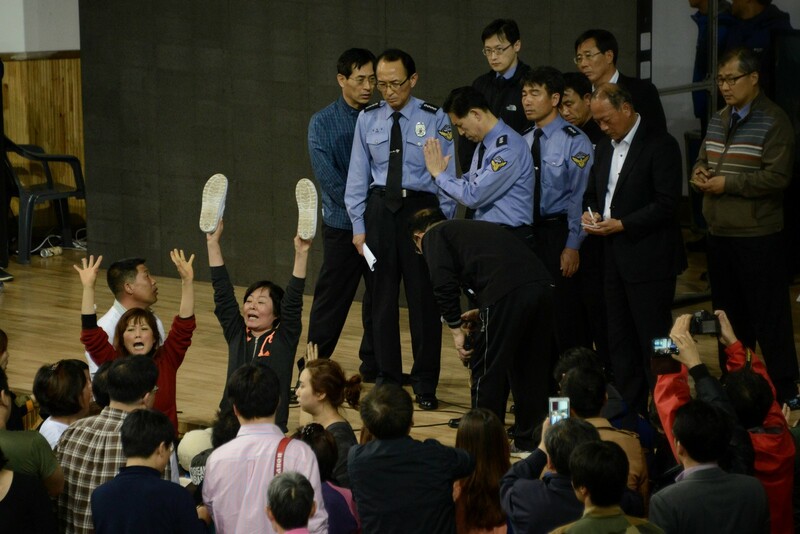 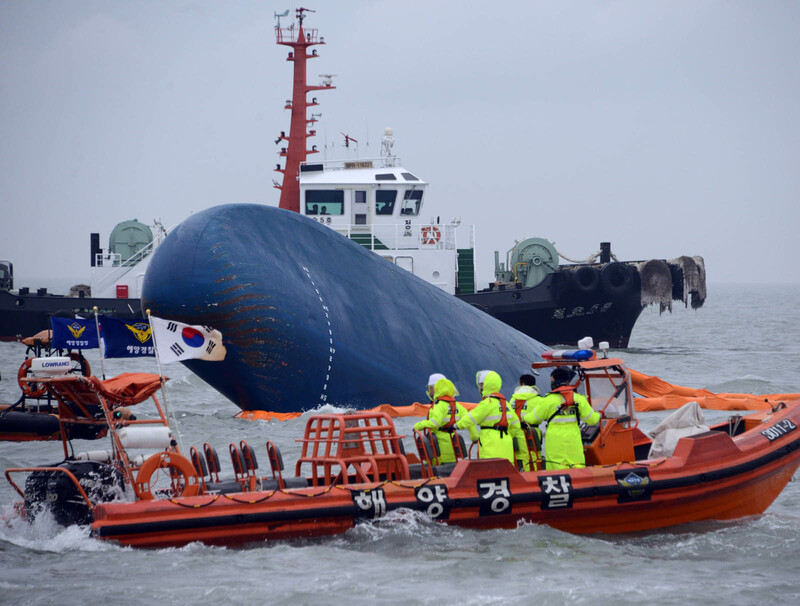 Two days after her prime minister resigned over the tragedy, Park voiced profound regret at the systemic and regulatory failings that contributed to the capsize of the 6,825-tonne Sewol on April 16. 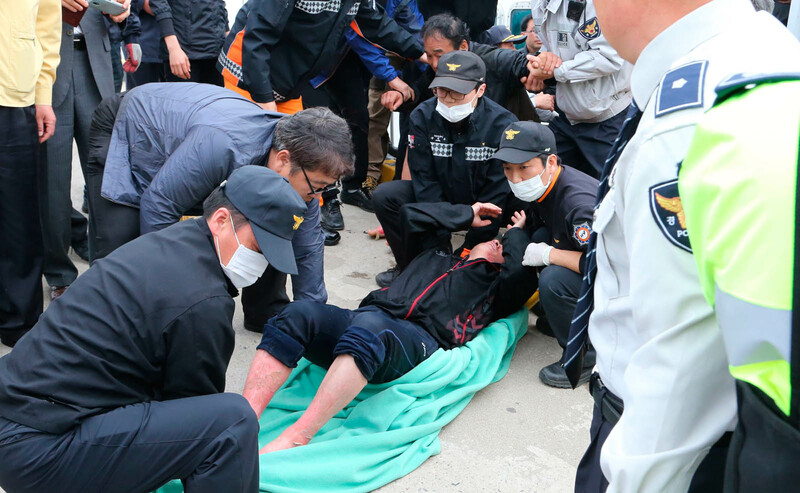 "I feel so regretful for having been unable to correct such long-running evils and letting an accident like this take place," she said in a statement to her cabinet that was broadcast on national television. 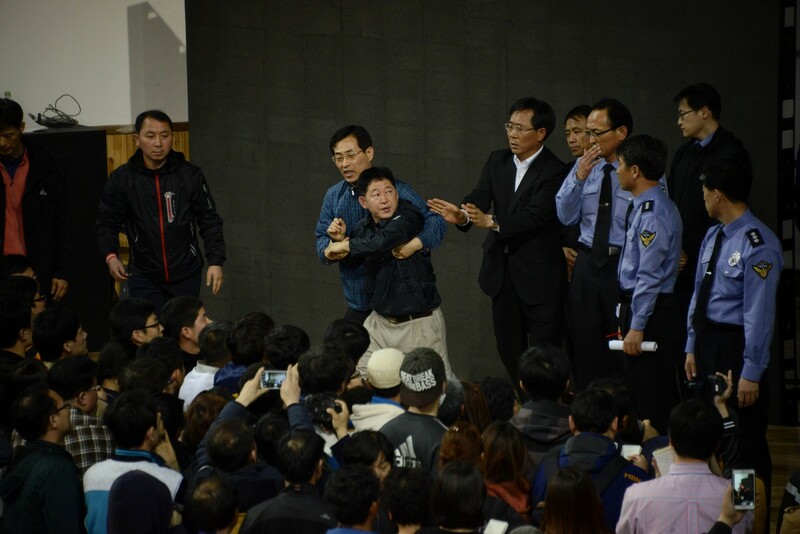 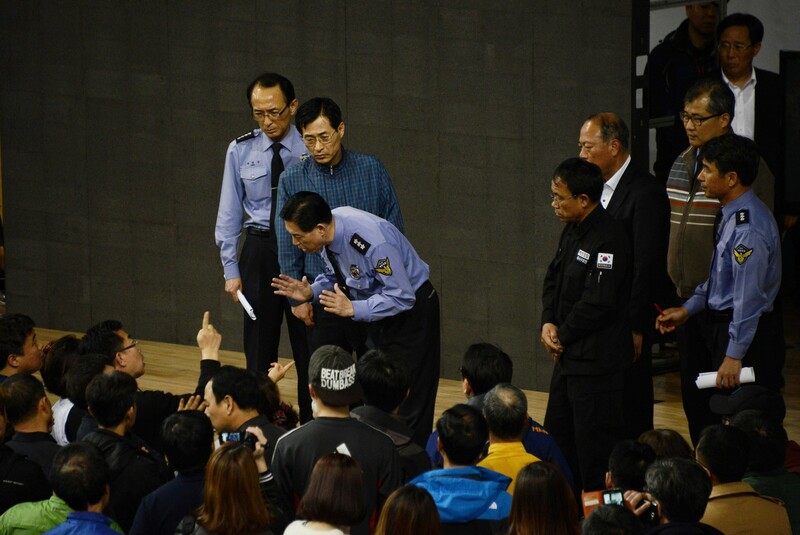 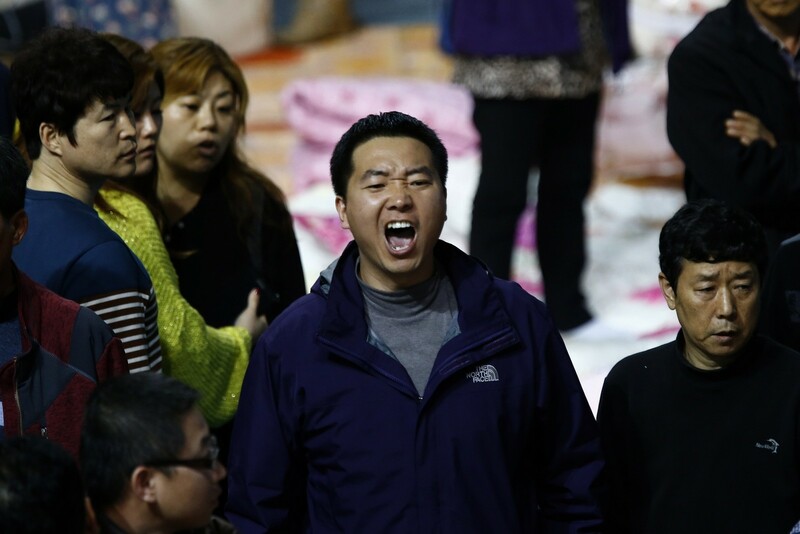 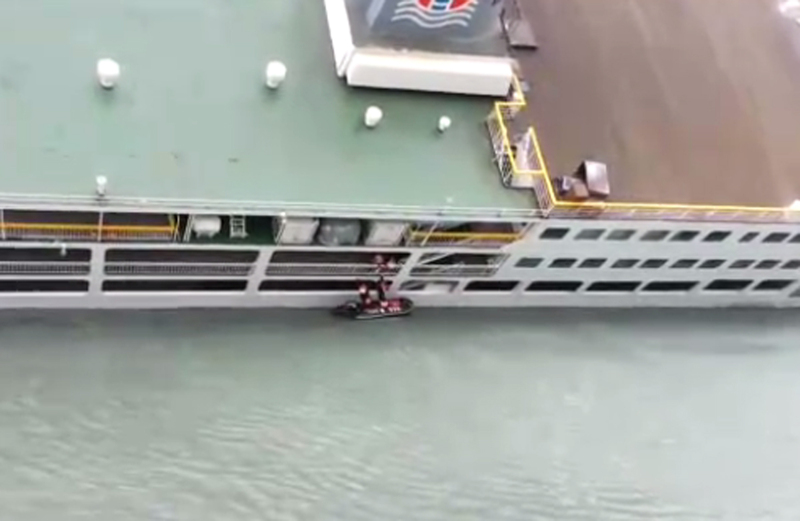 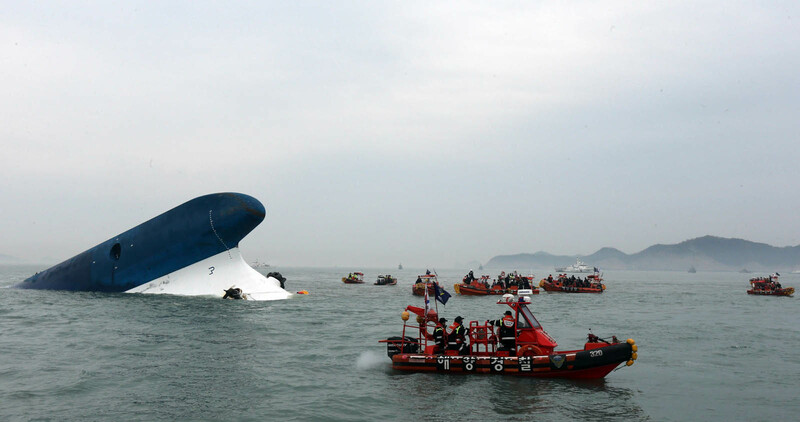 Park's government has been widely criticised over perceived corruption and lax safety standards that may have led to the disaster, with claims that the ferry was overloaded and that the passenger list was inaccurate and incomplete. 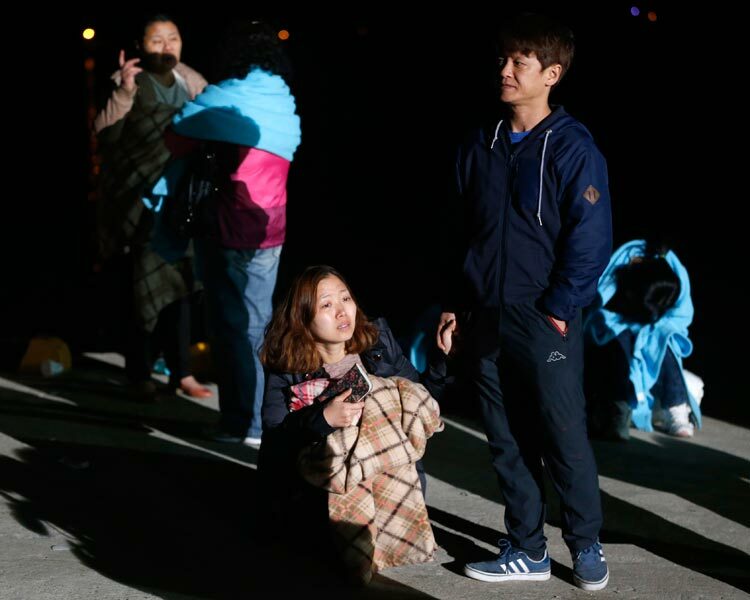 Relatives of the more than 100 passengers still missing have also blasted the response to the sinking, saying delays in launching the rescue had cost lives. 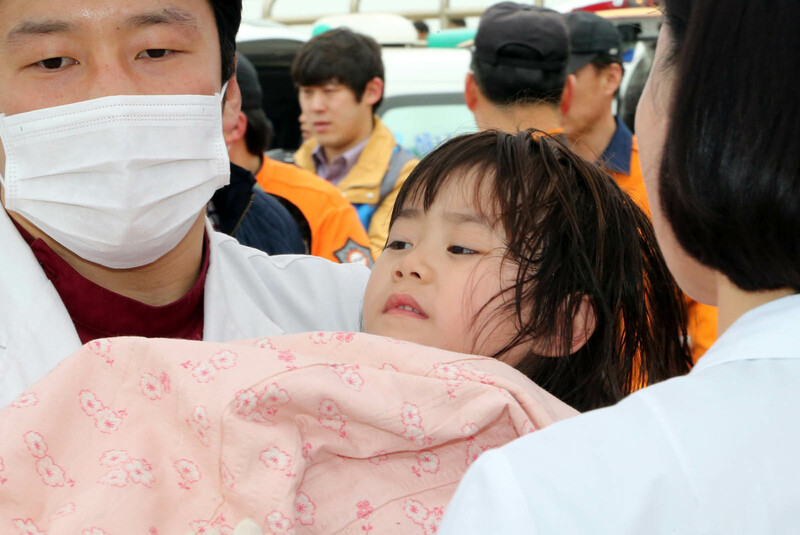 "I don't know how to apologise for the failure to prevent this accident, and for the insufficient first response," Park said. 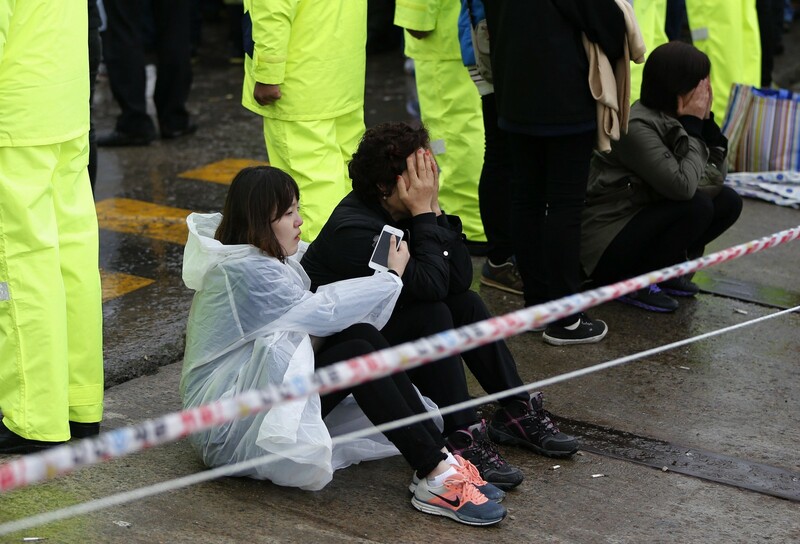 "I am sorry to the people and heavy-hearted that many precious lives were lost," she added. 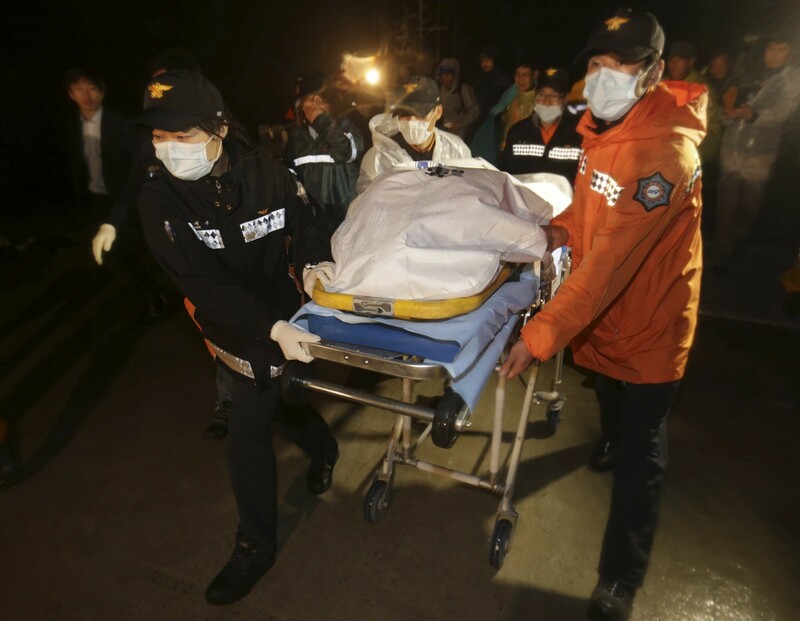 Earlier Tuesday, the president had travelled to Ansan, just south of Seoul where she paid her respects to a memorial for the hundreds of schoolchildren who died in the disaster. 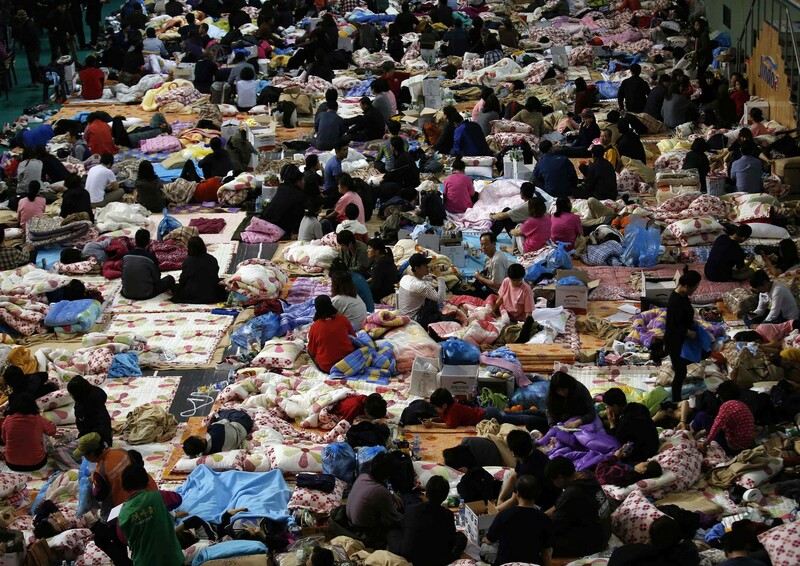 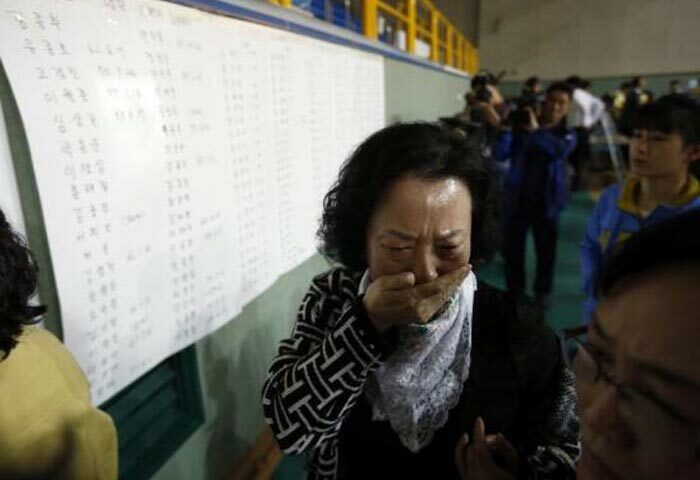 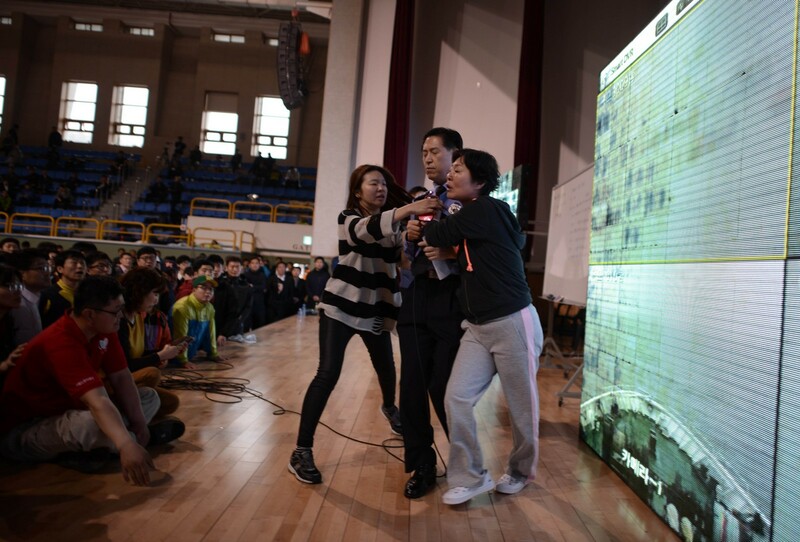 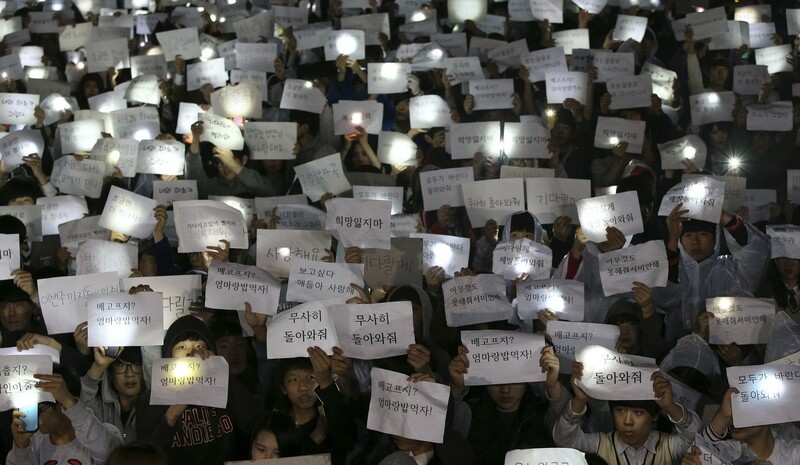 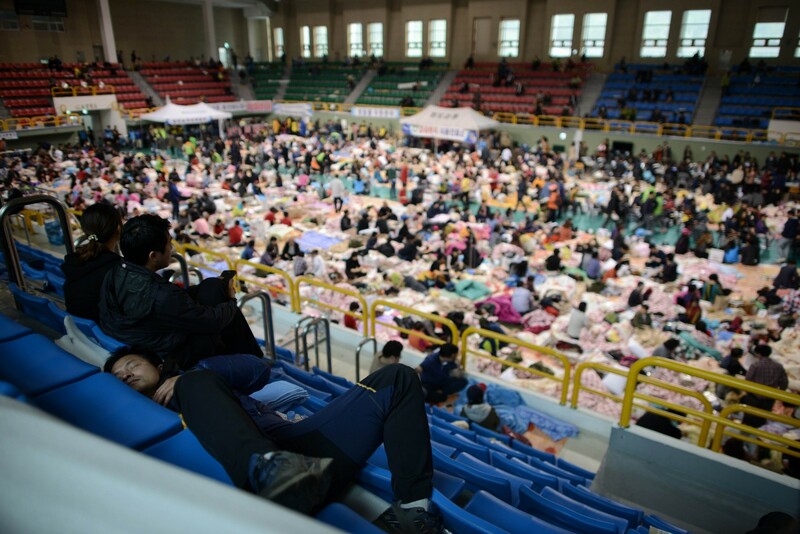 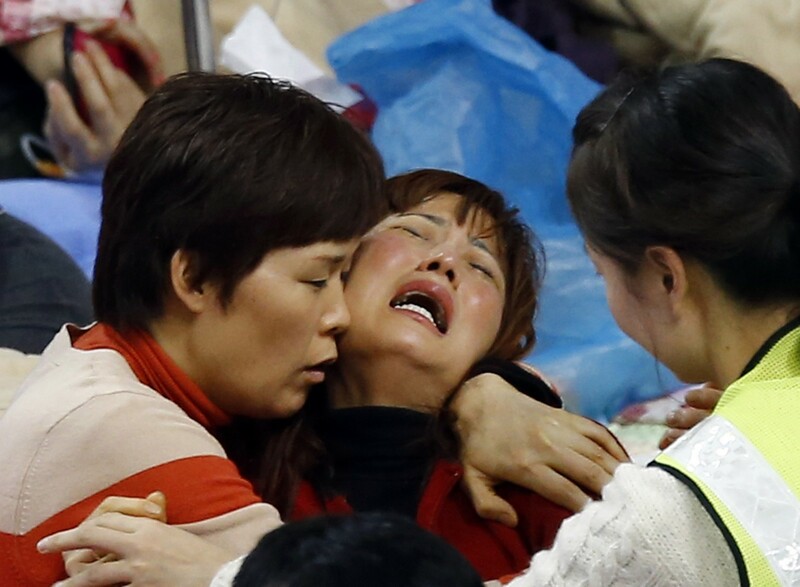 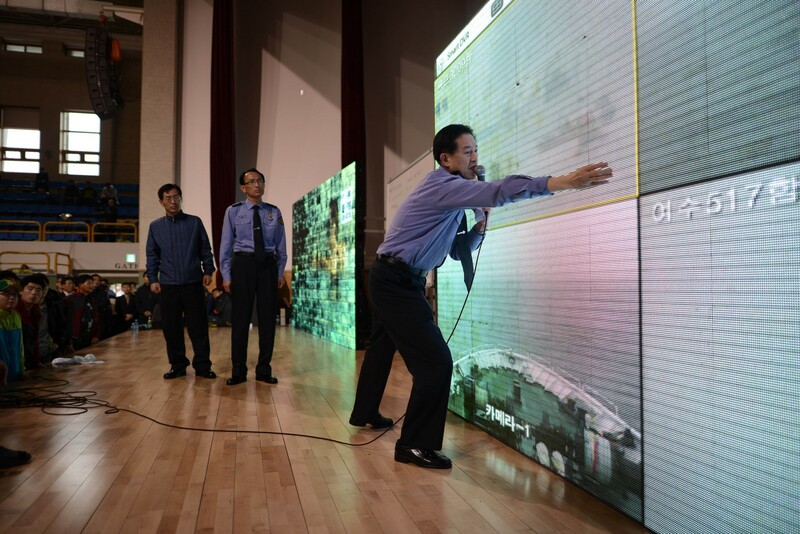 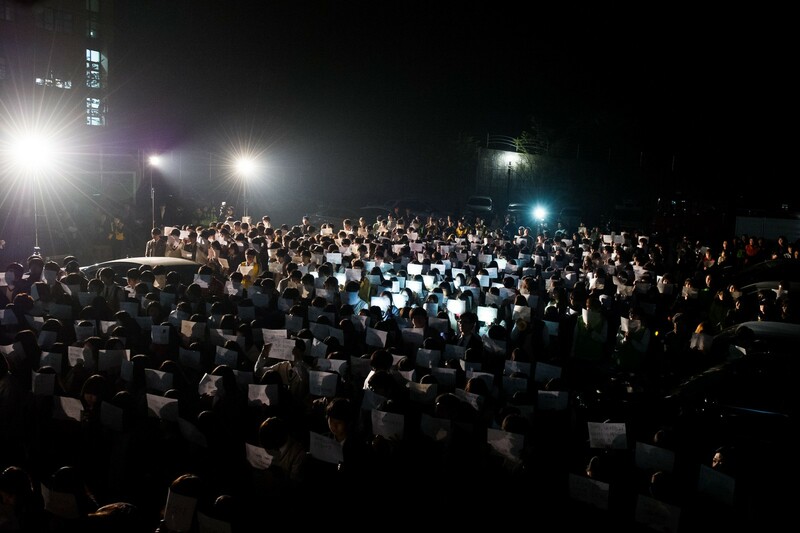 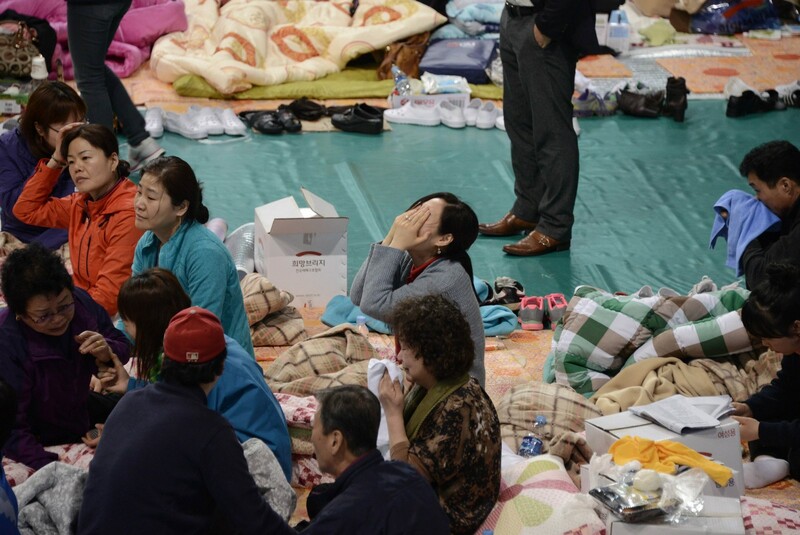 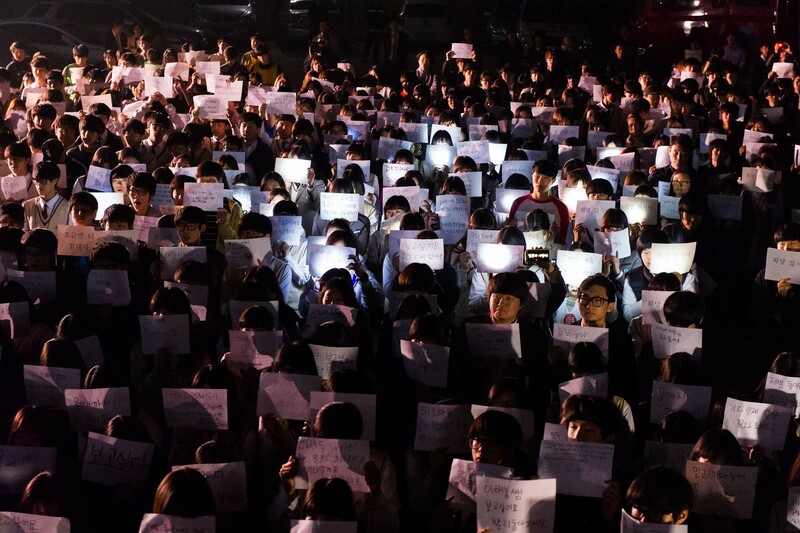 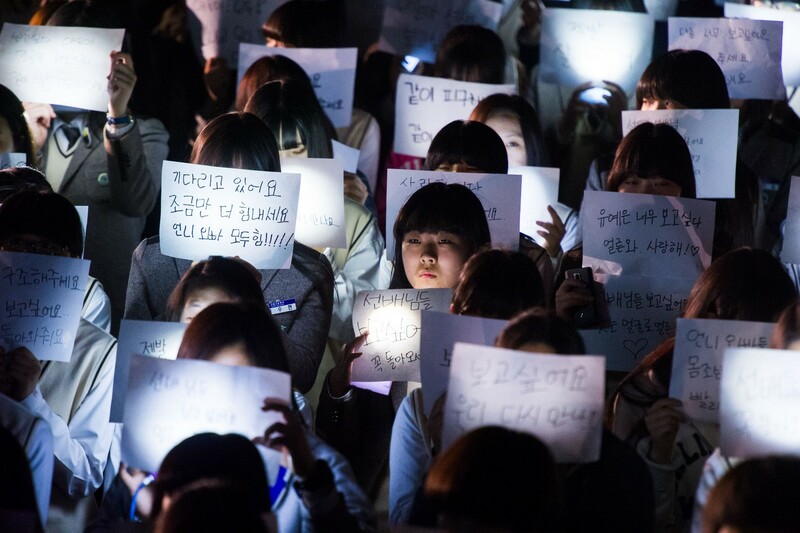 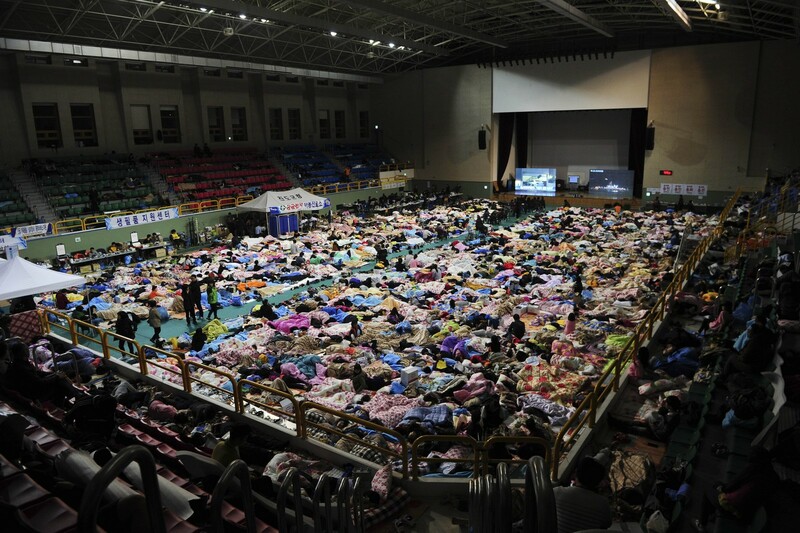 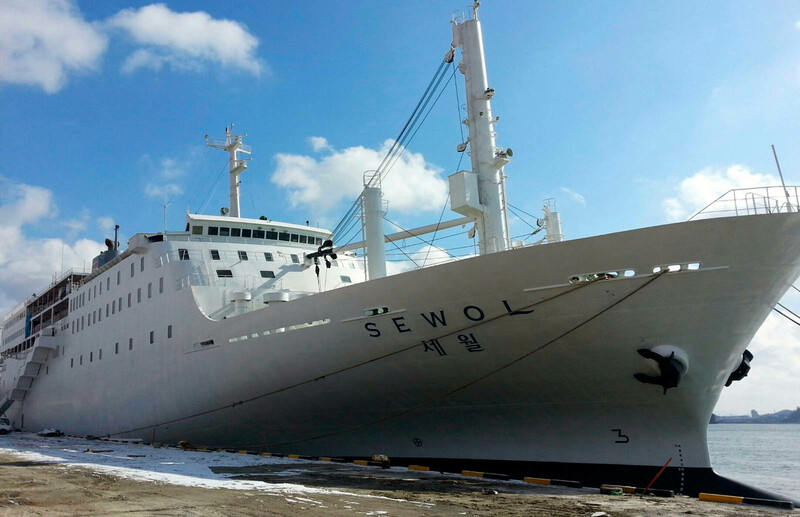 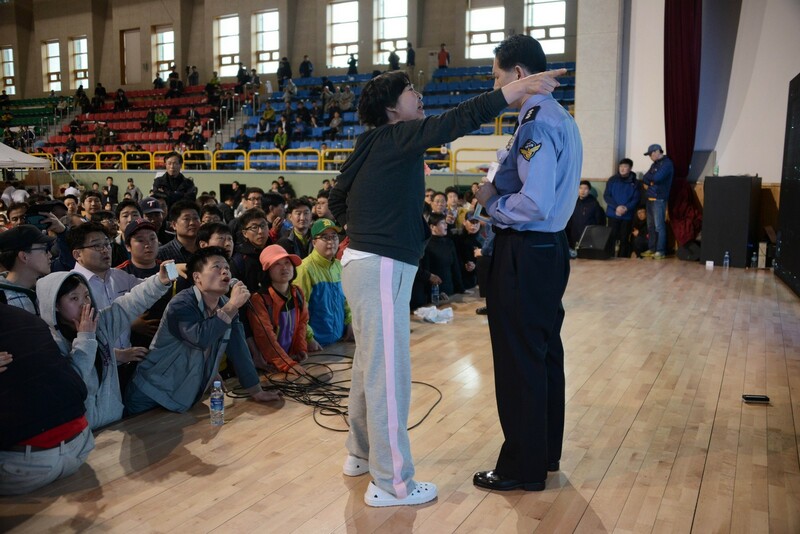 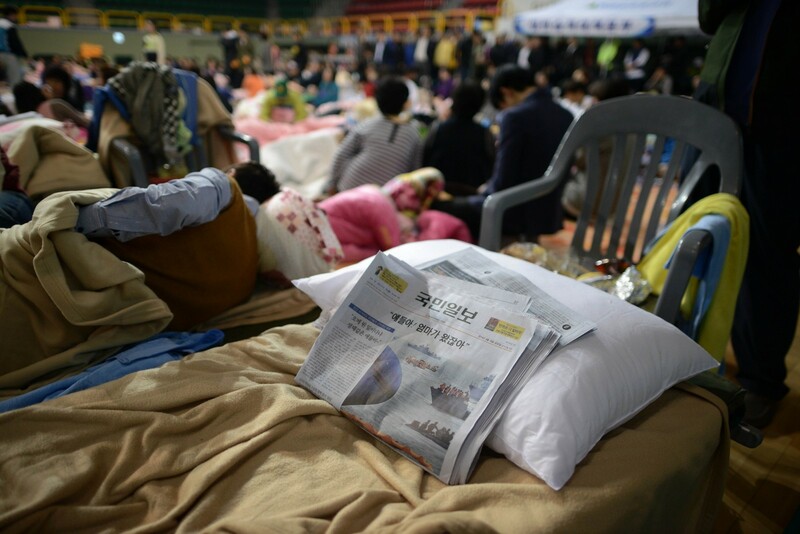 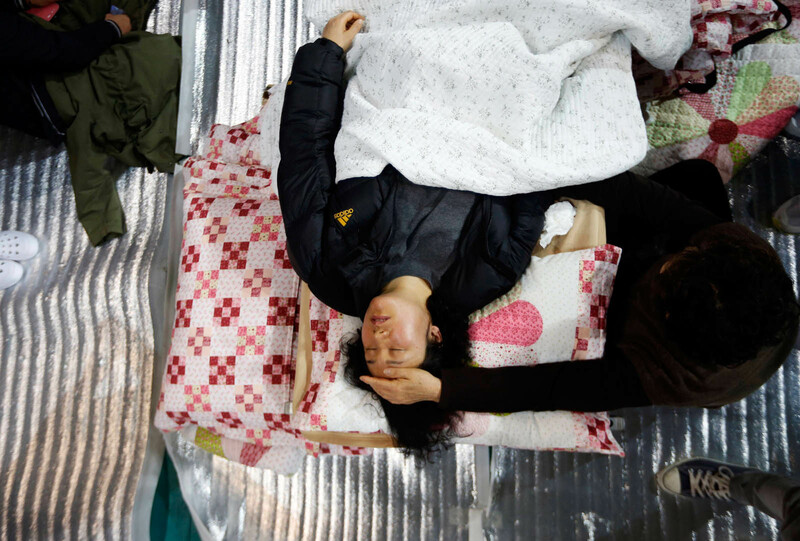 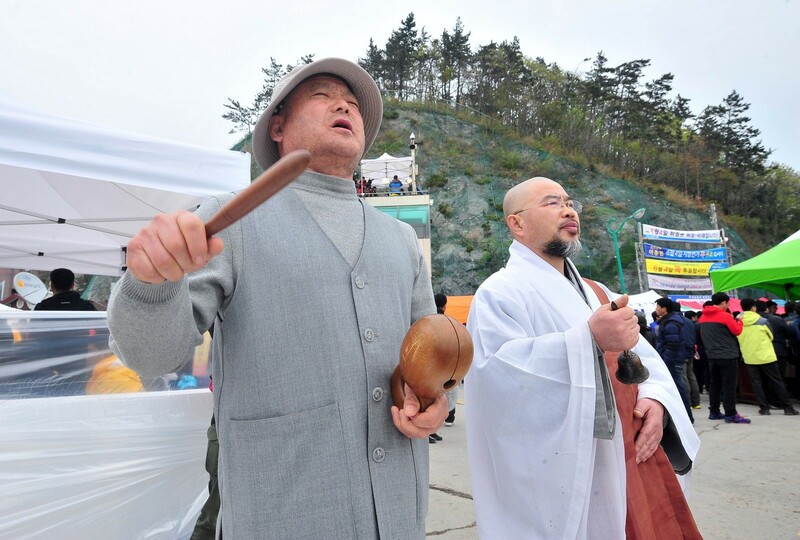 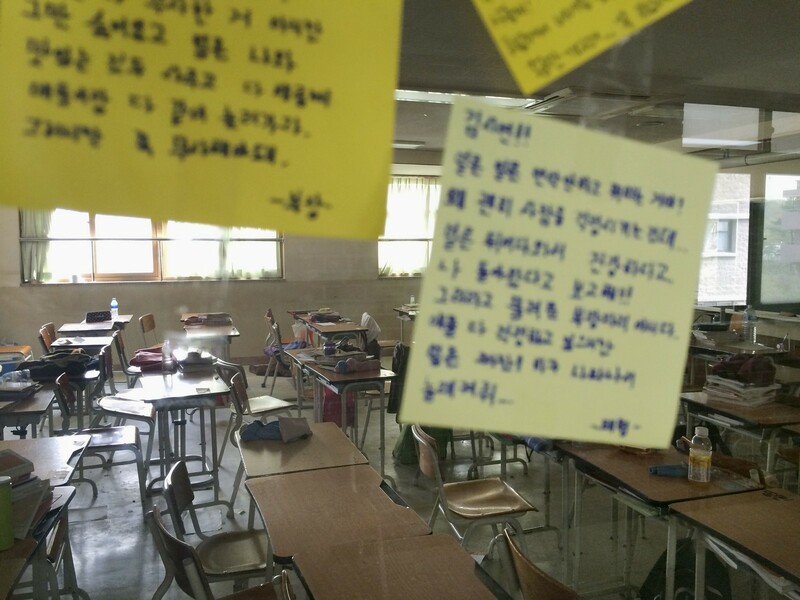 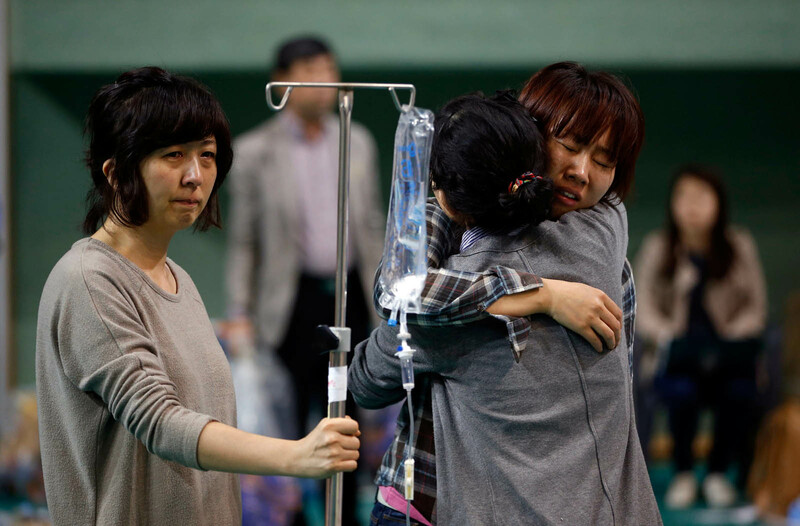 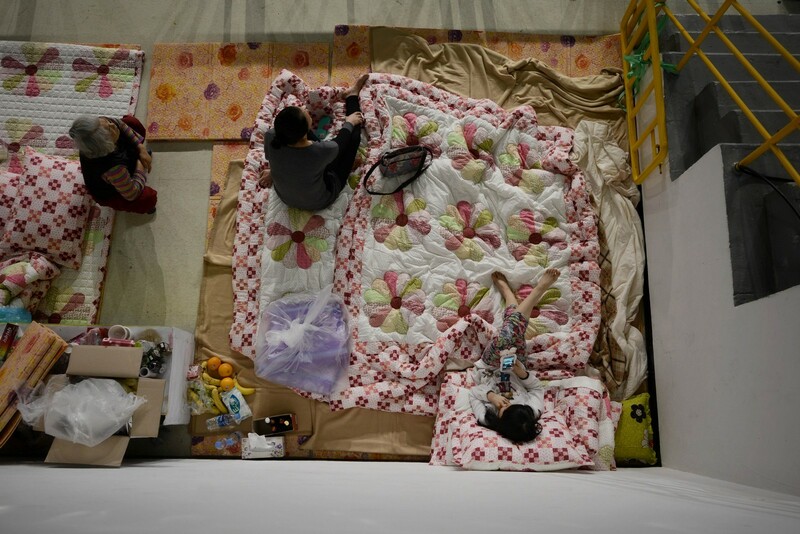 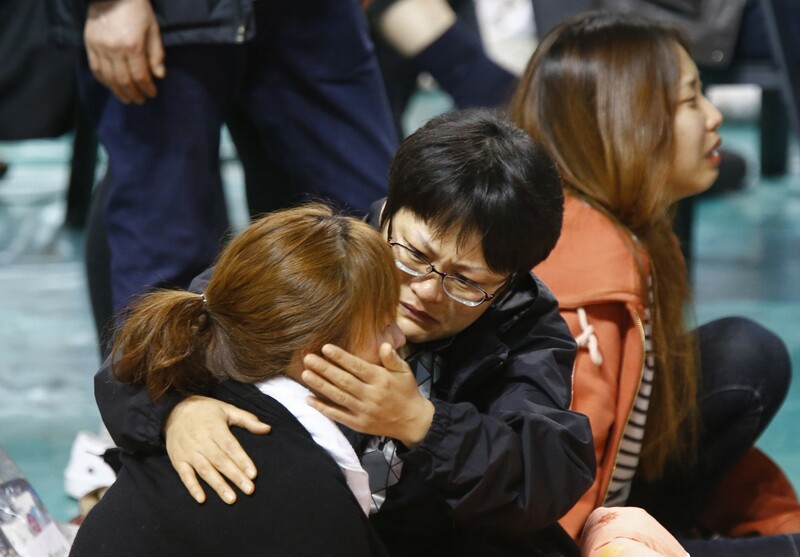 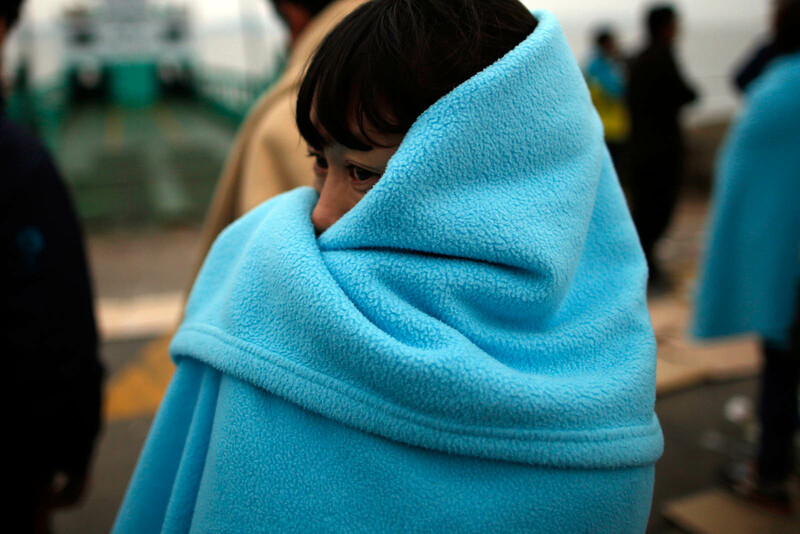 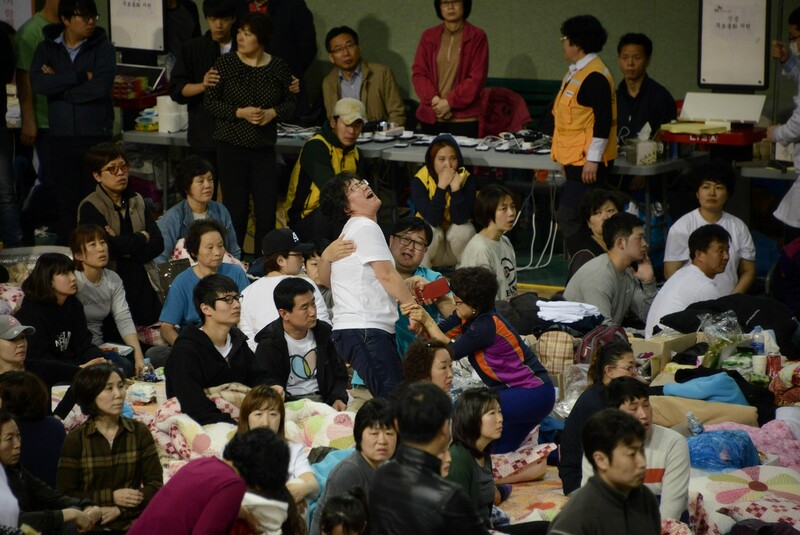 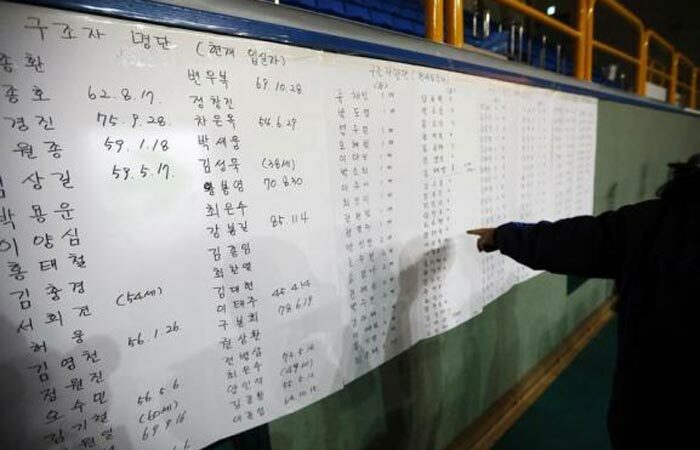 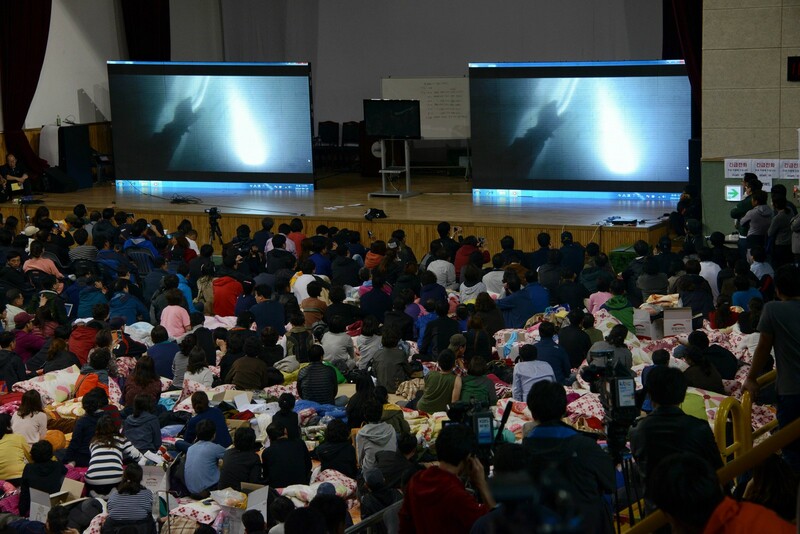 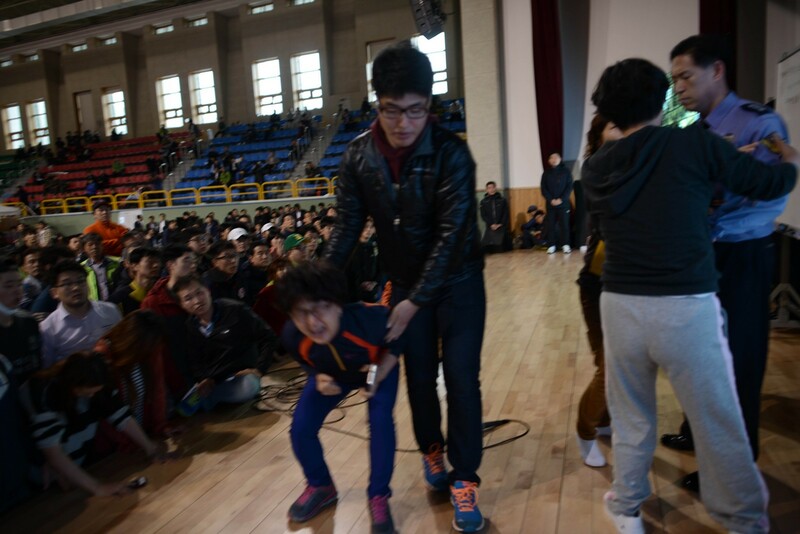 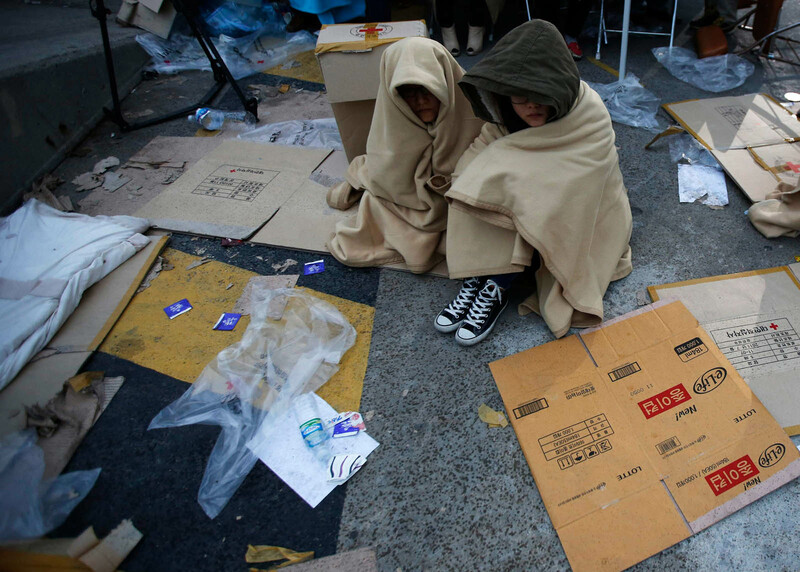 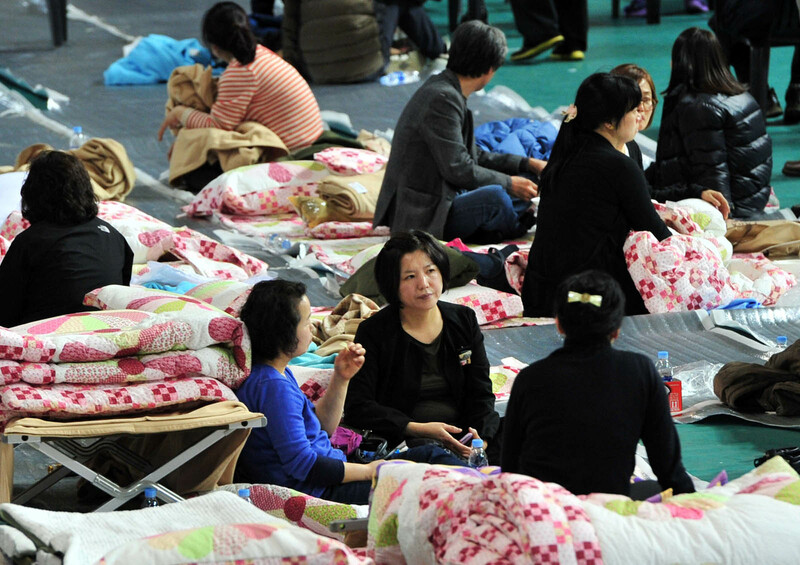 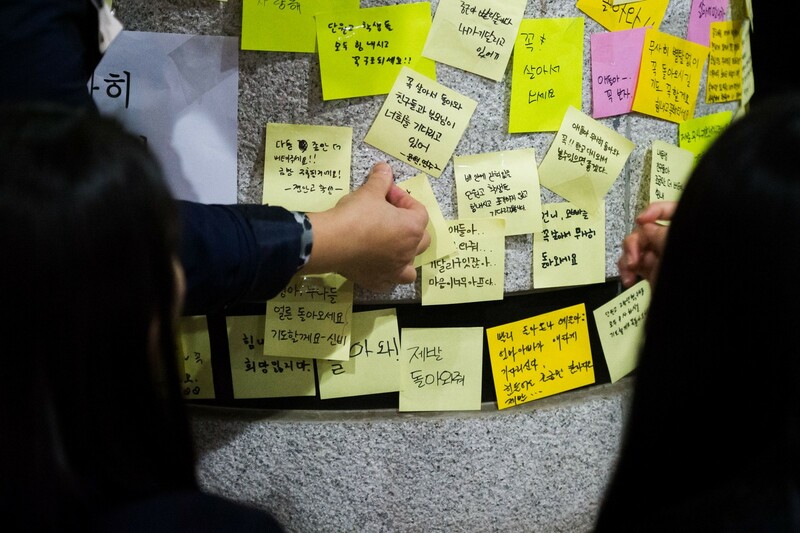 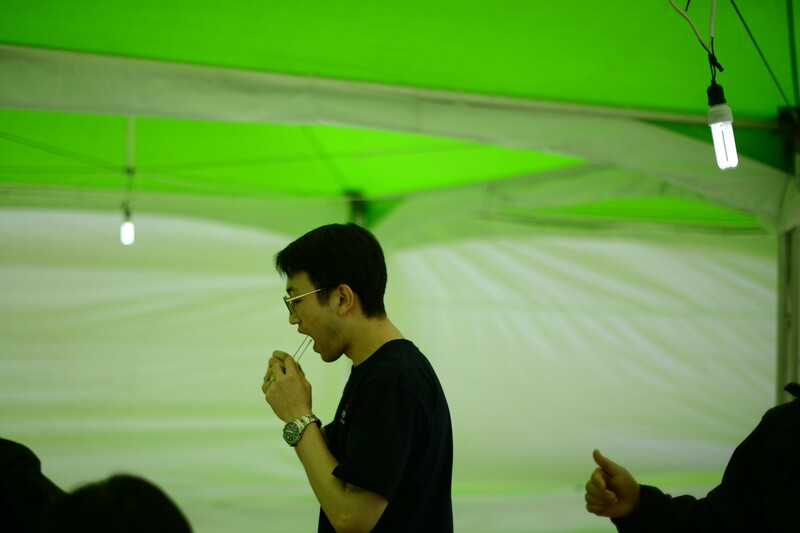 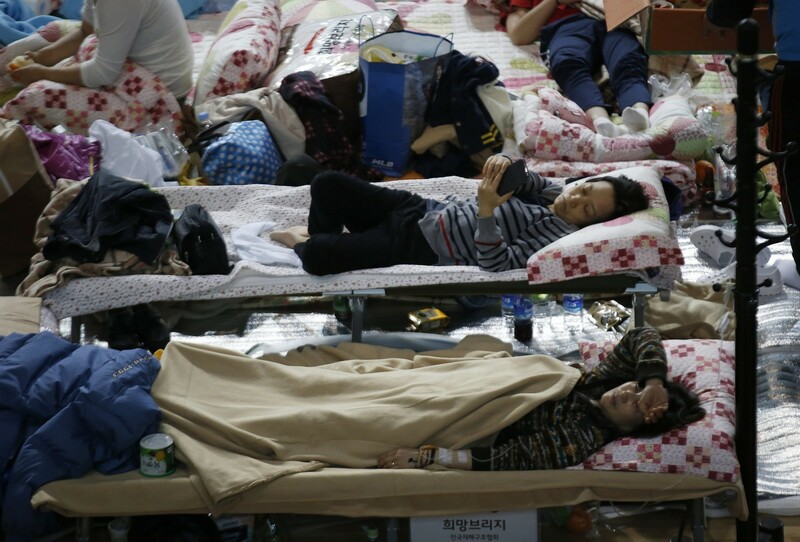 Of the 476 people on board the Sewol, 325 were students from the same high school in Ansan. 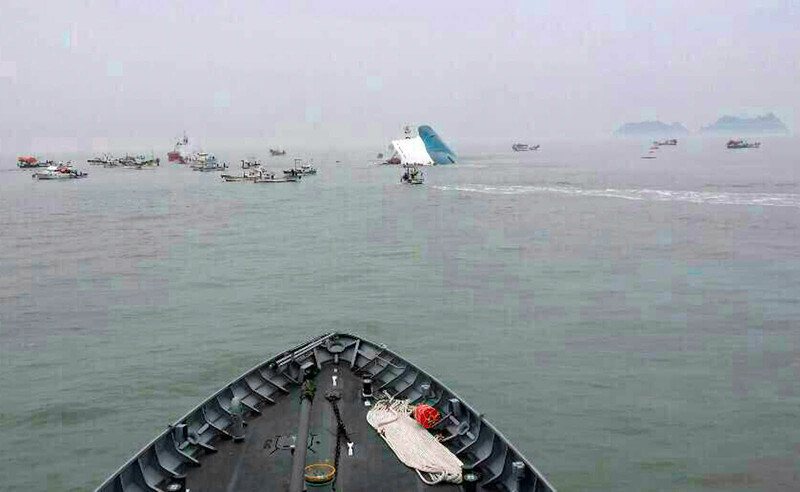 Only 75 of them were rescued. 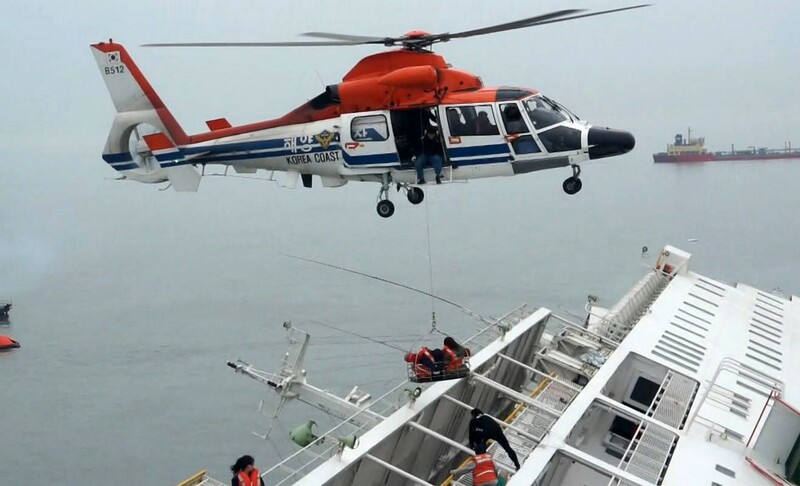 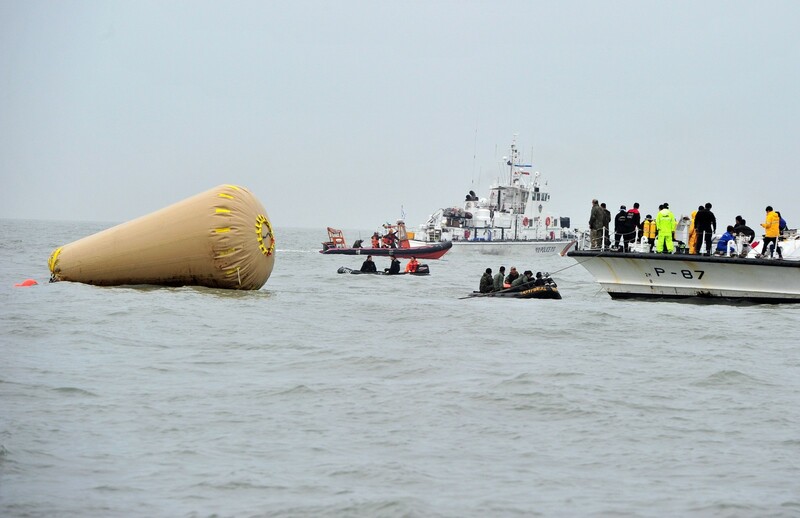 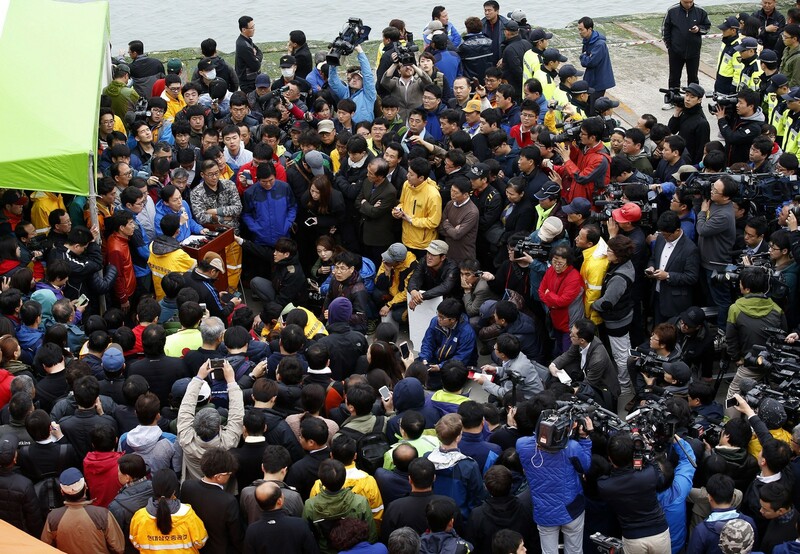 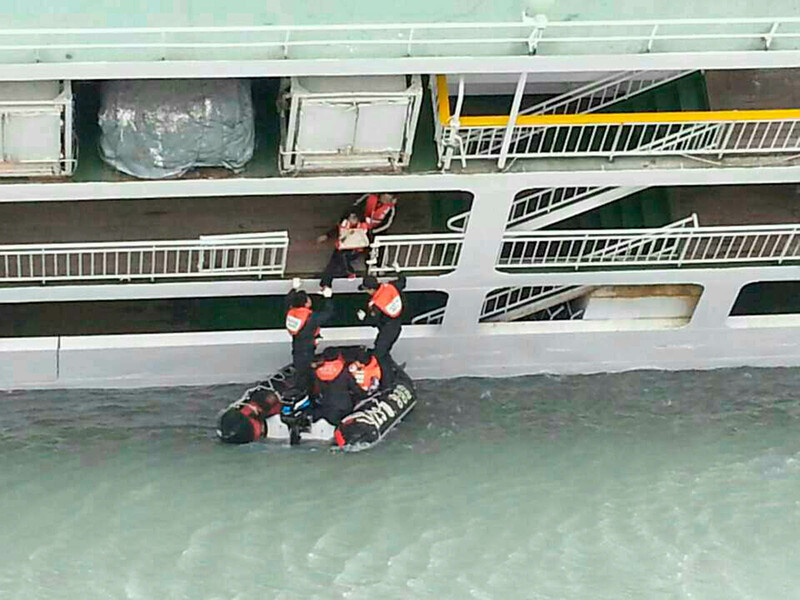 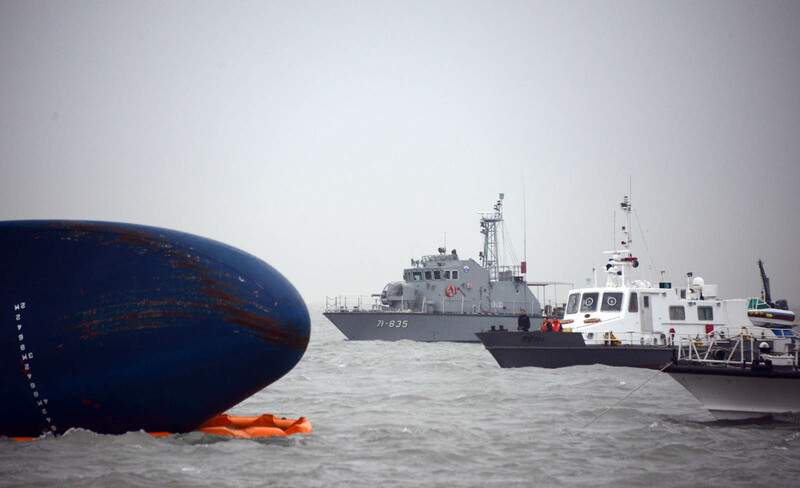 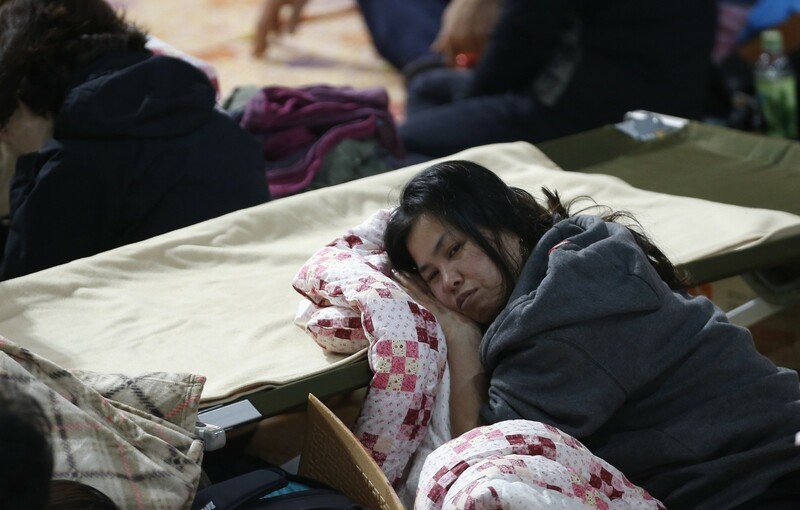 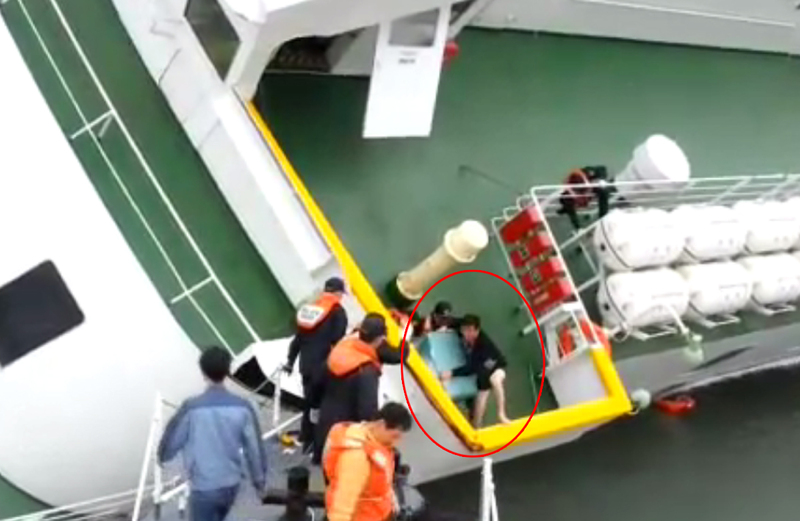 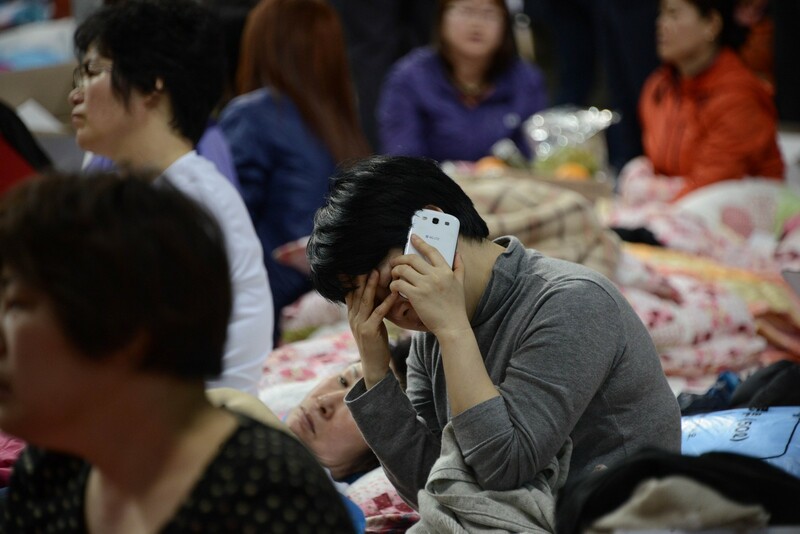 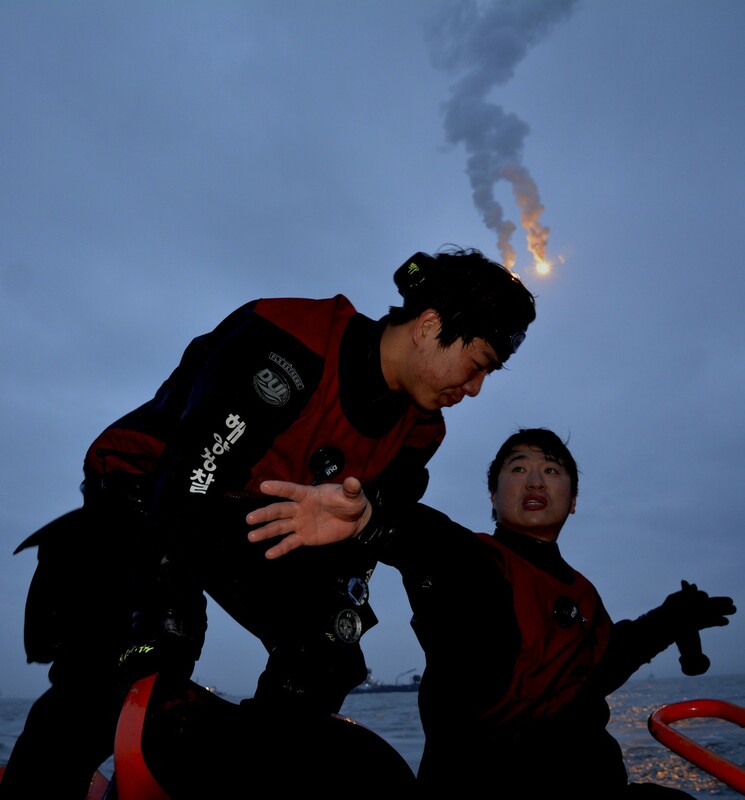 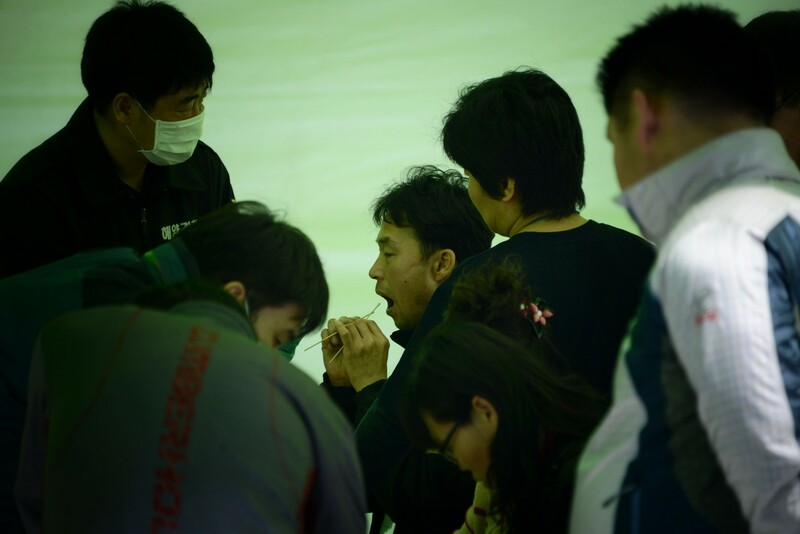 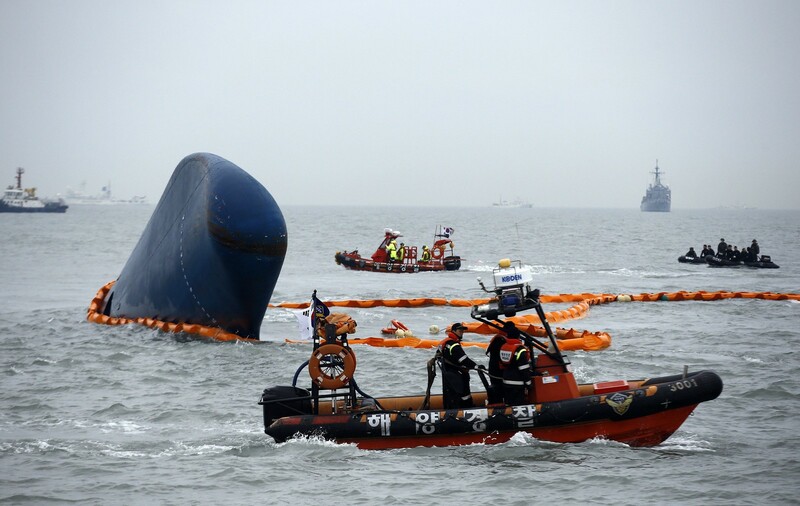 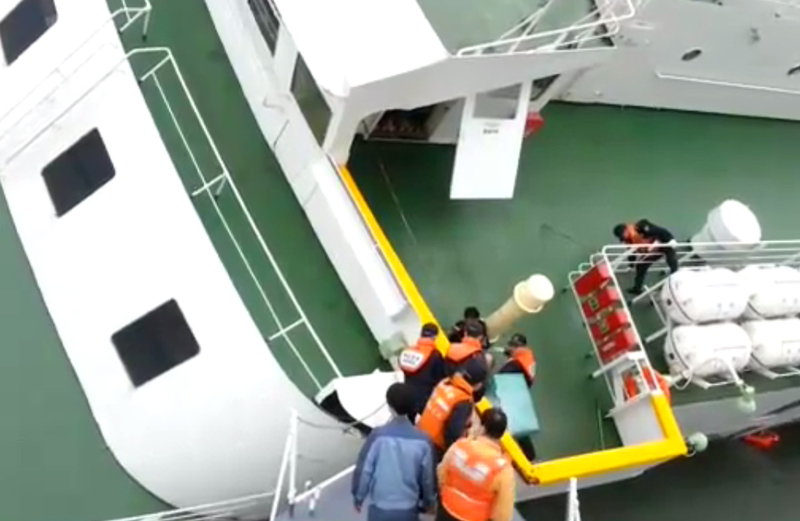 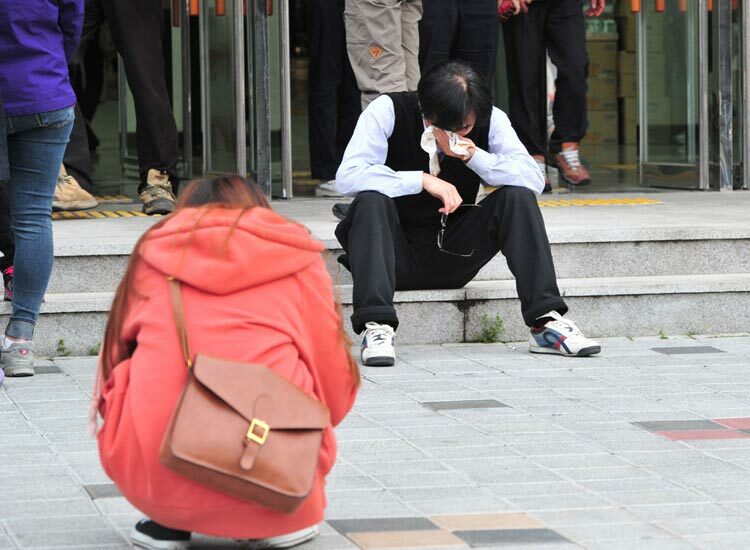 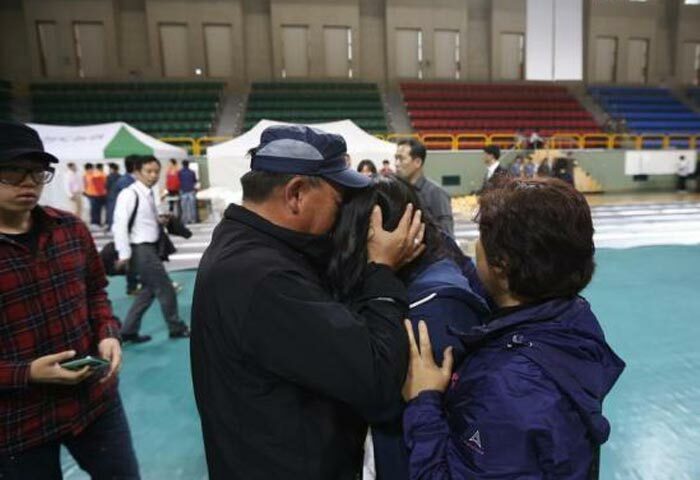 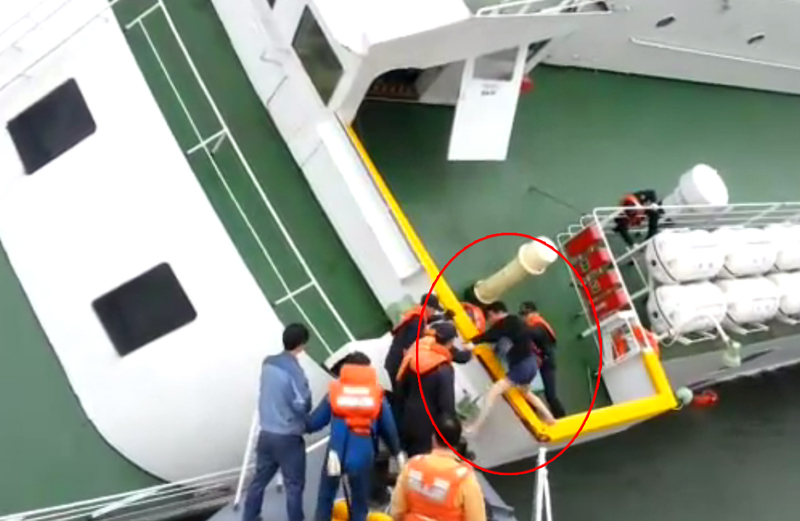 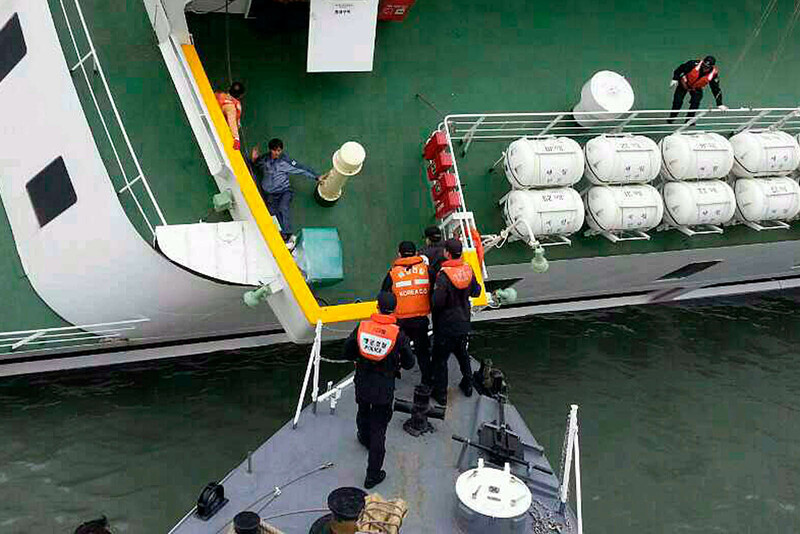 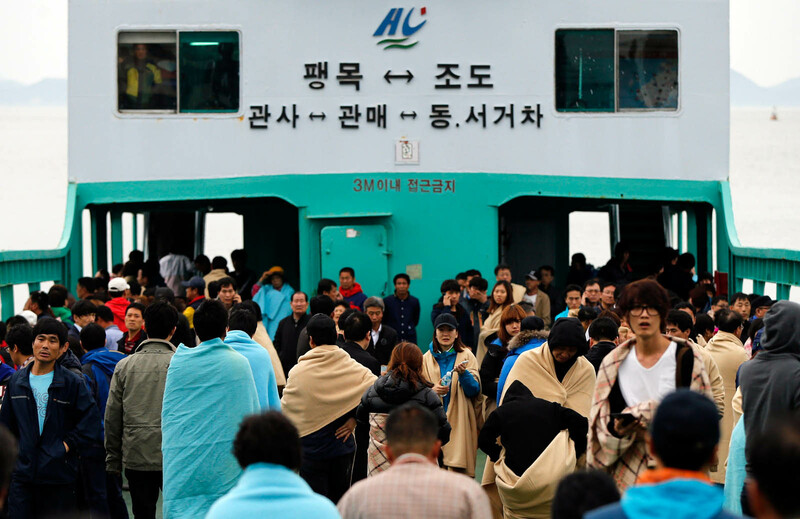 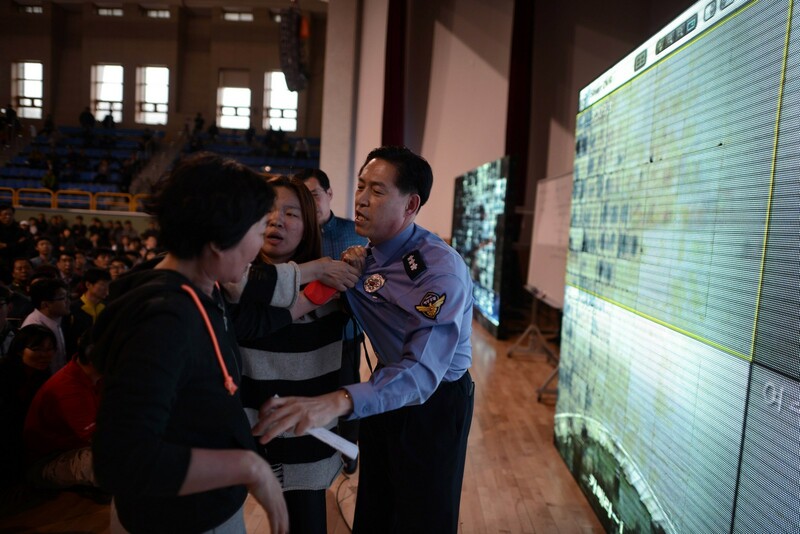 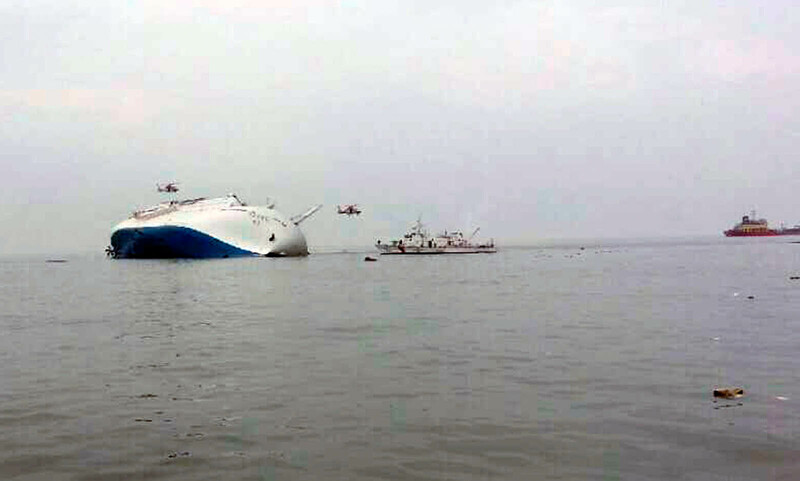 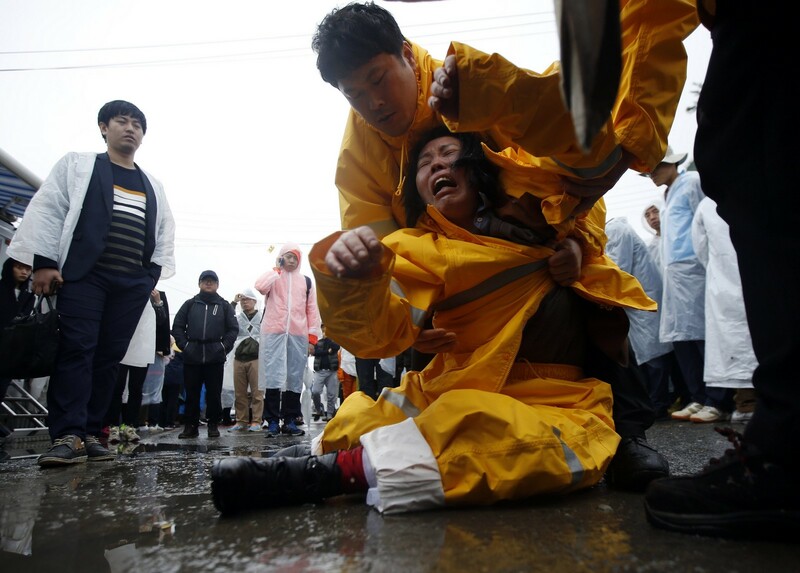 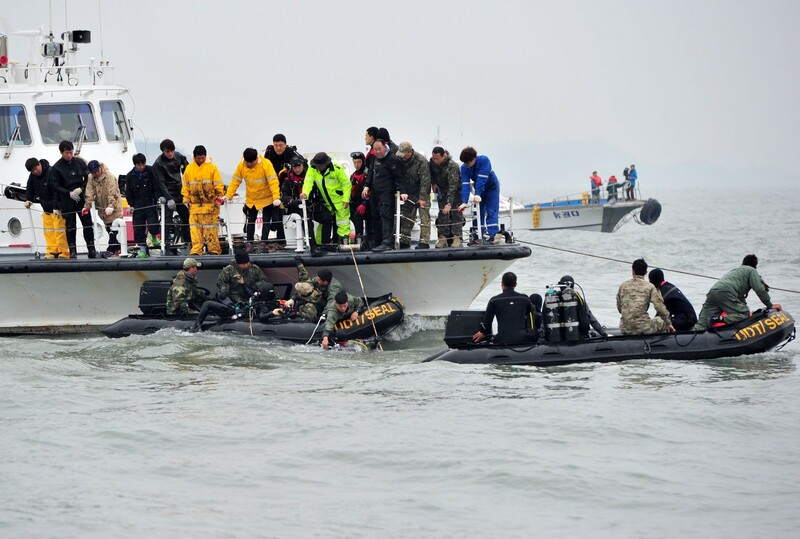 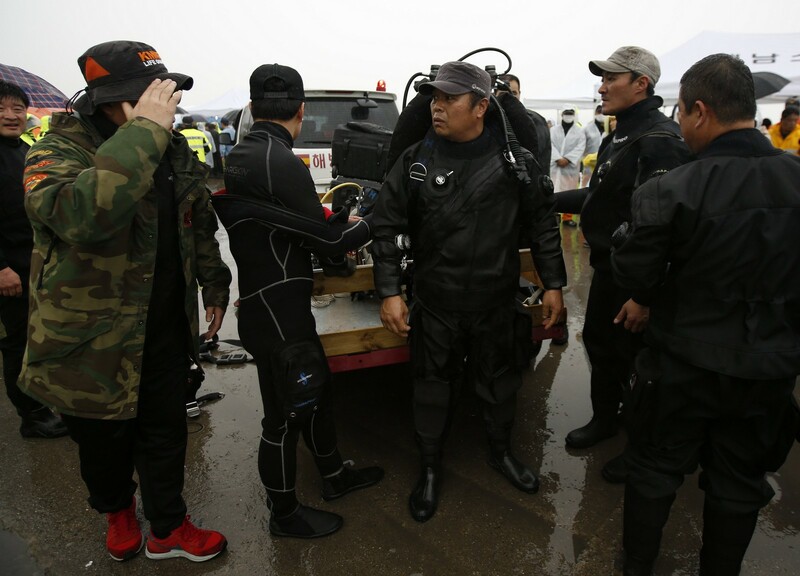 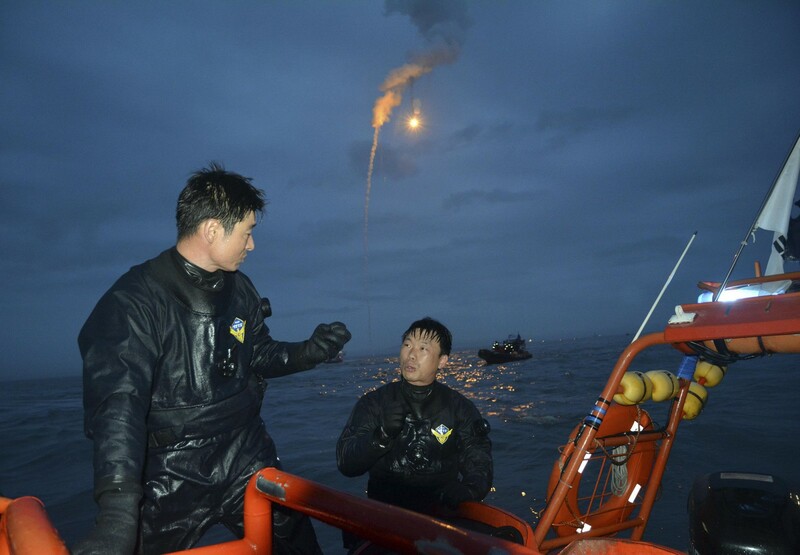 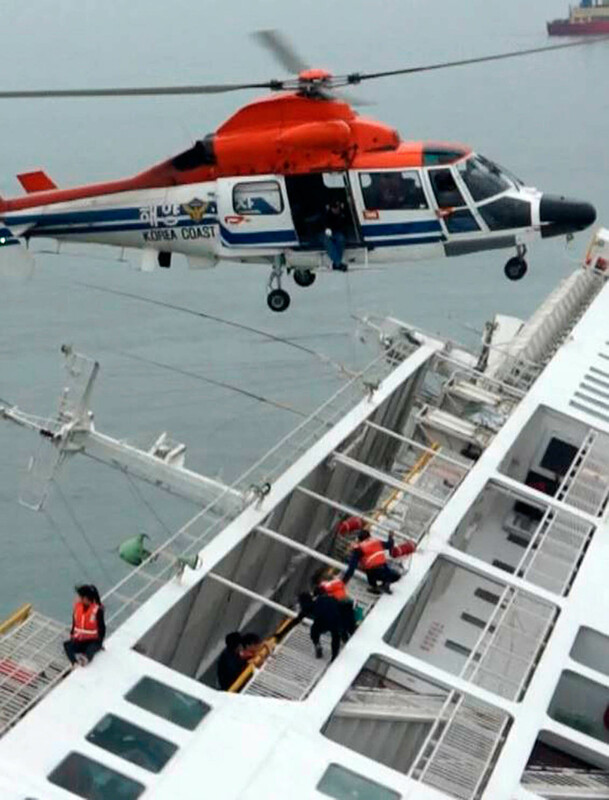 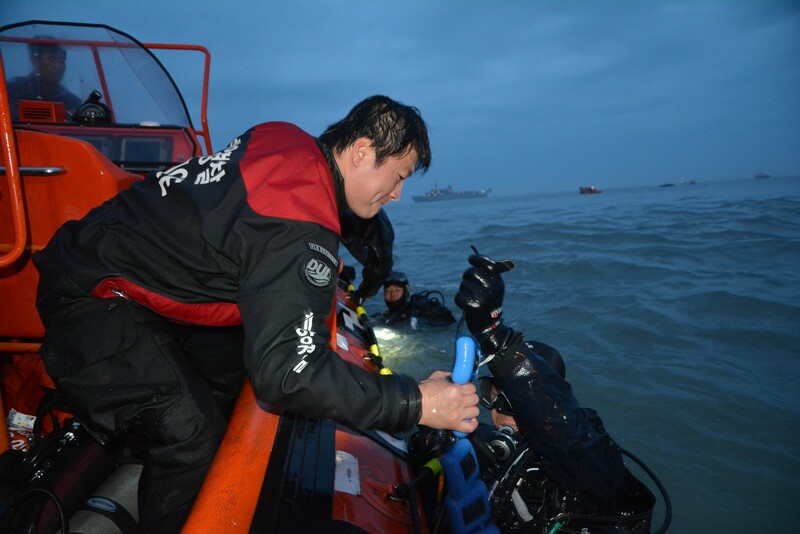 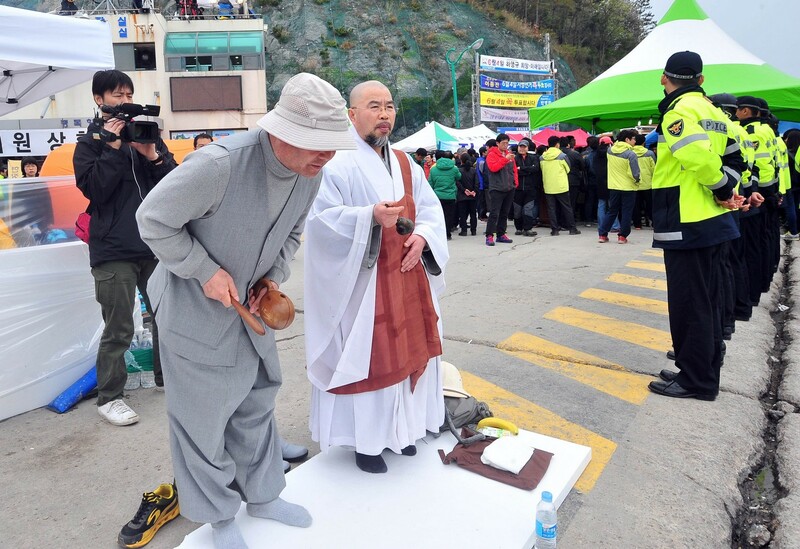 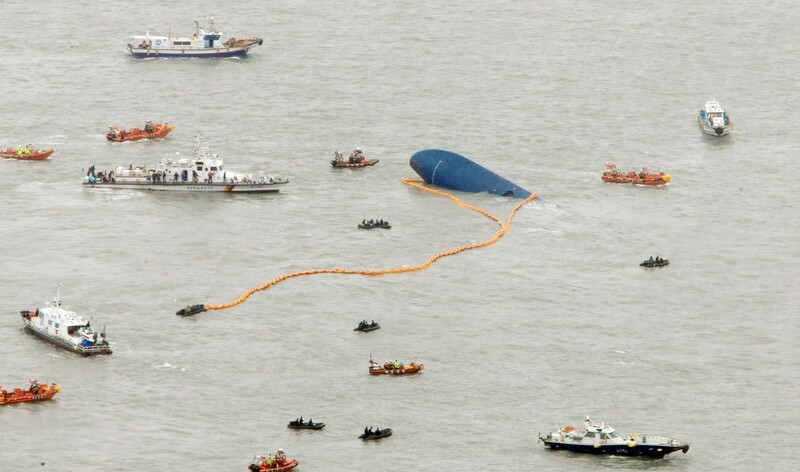 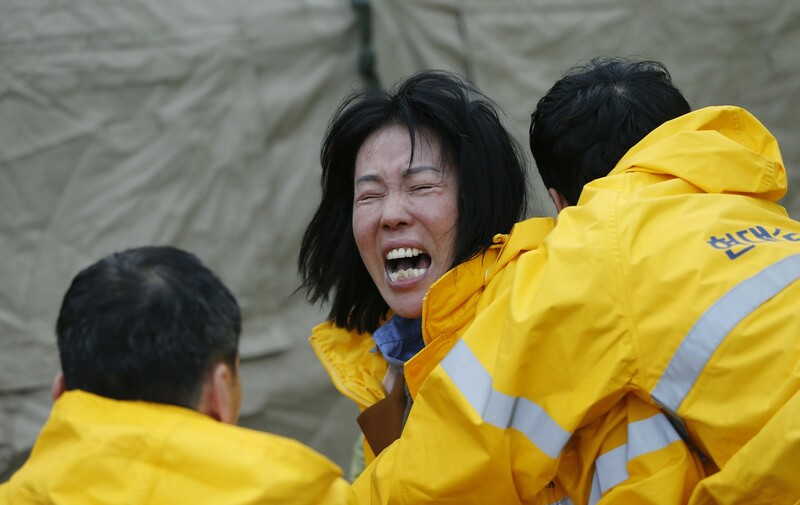 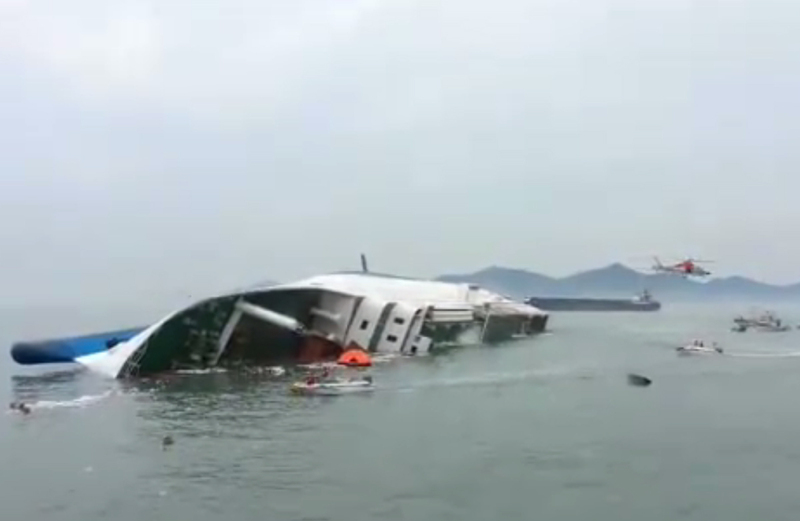 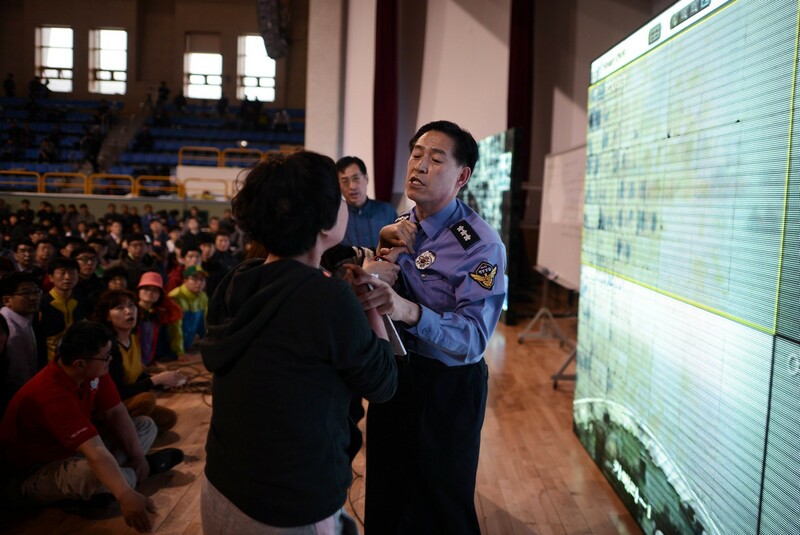 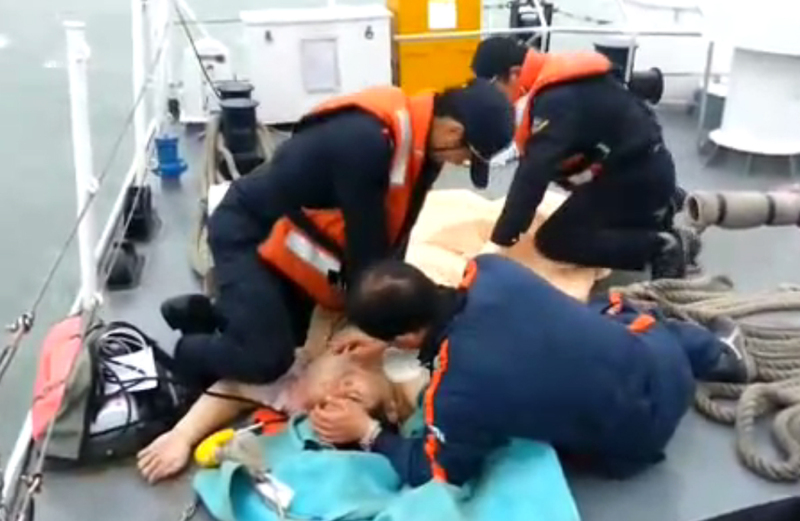 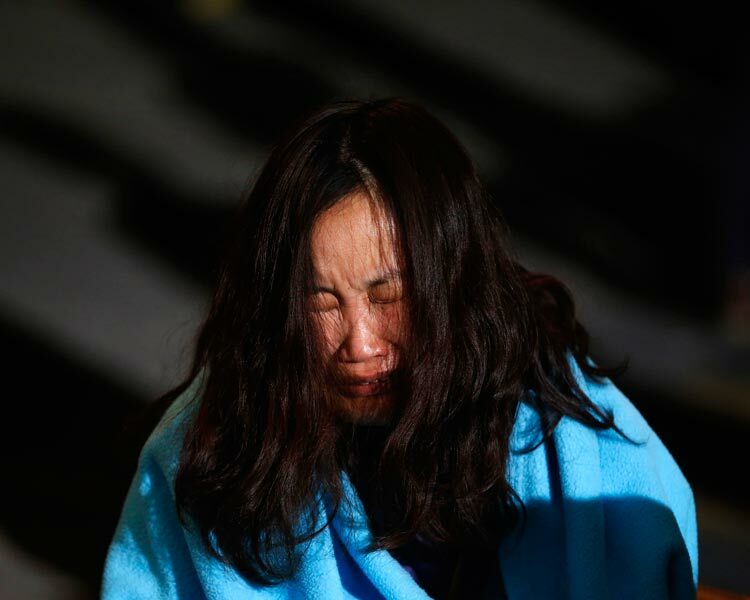 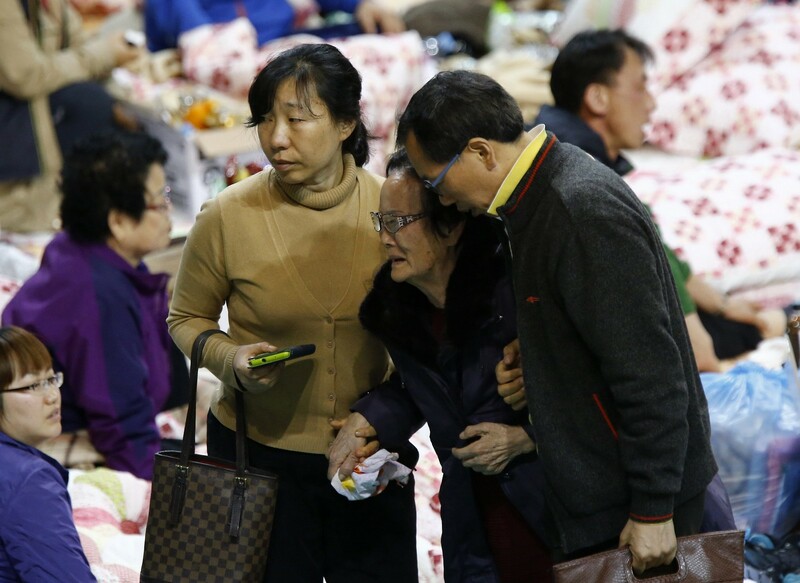 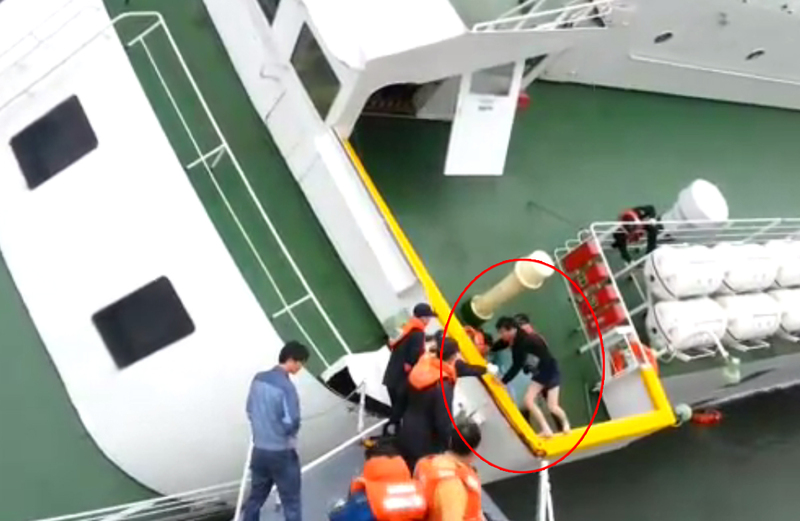 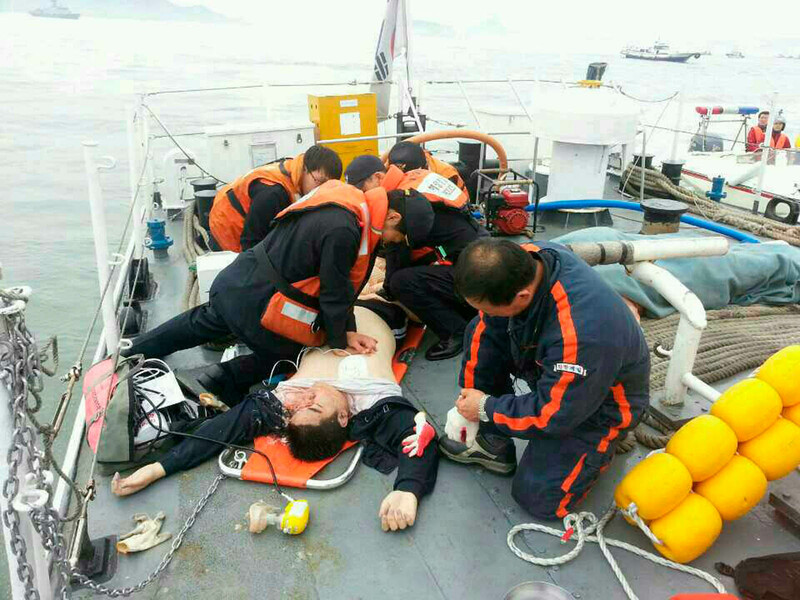 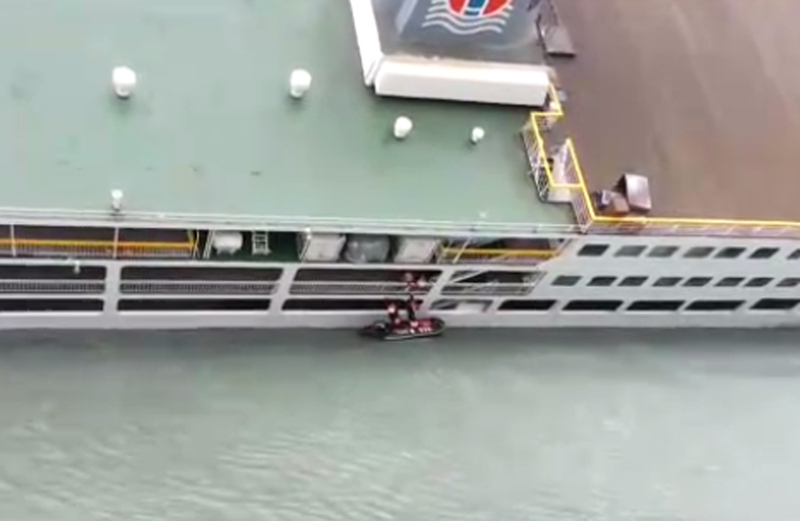 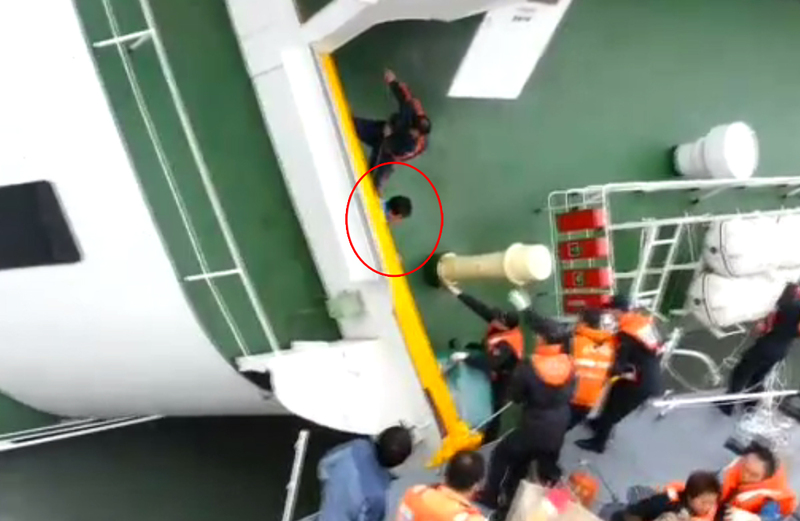 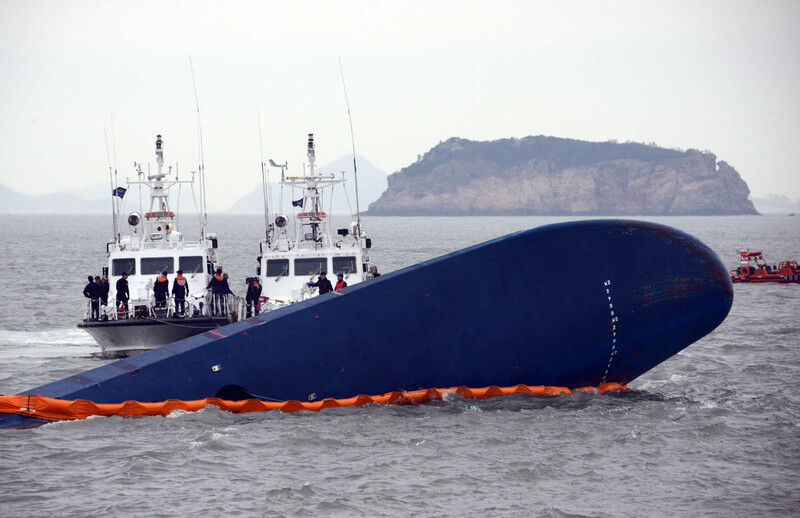 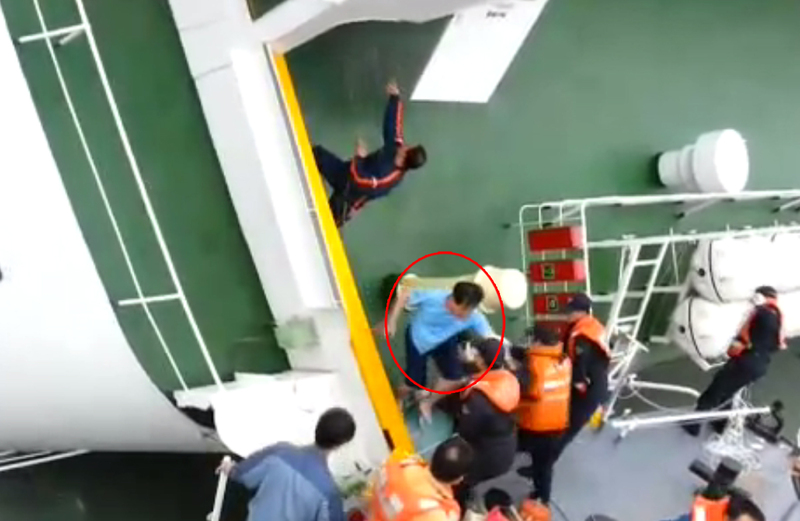 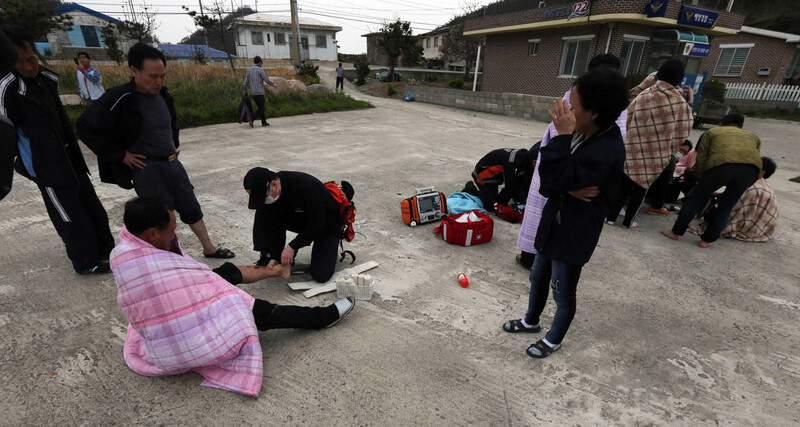 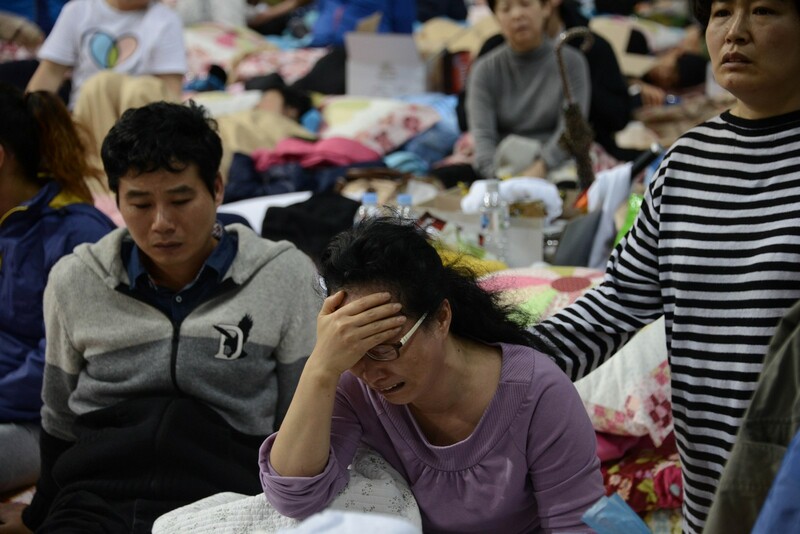 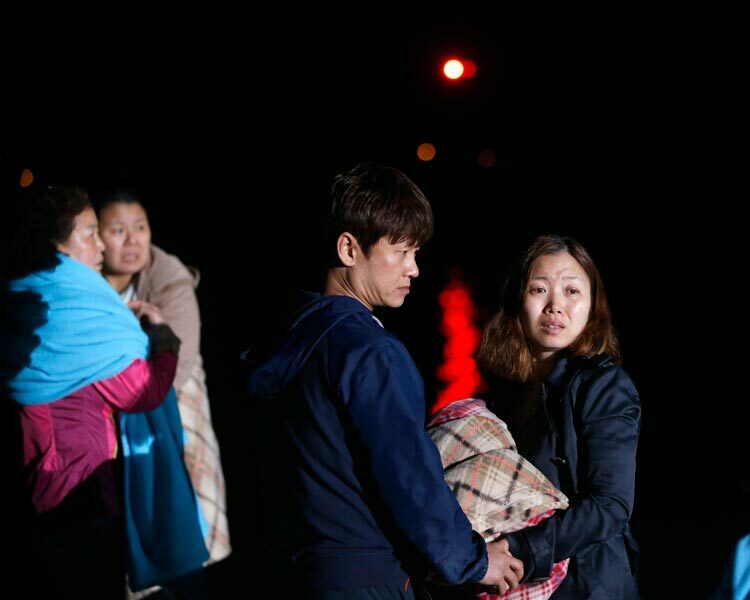 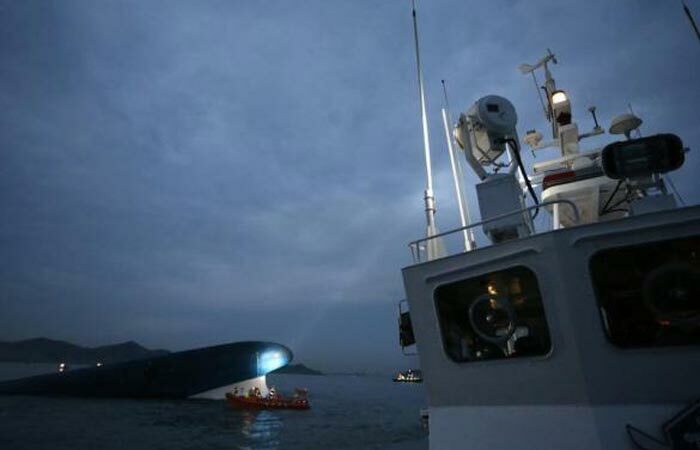 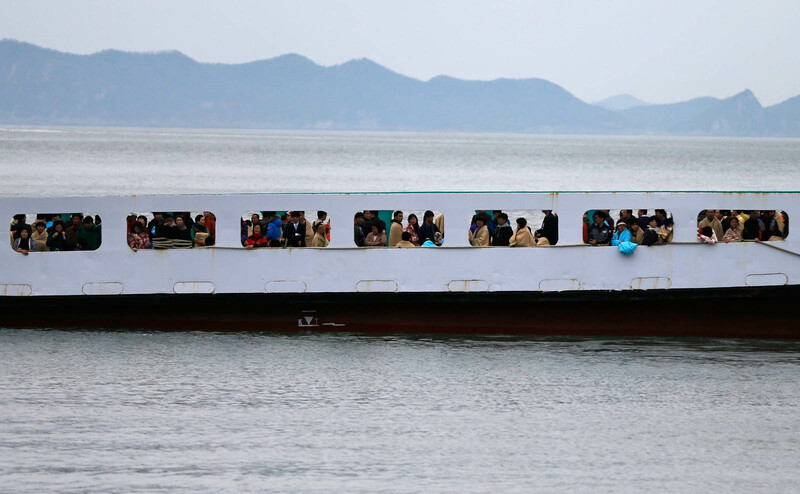 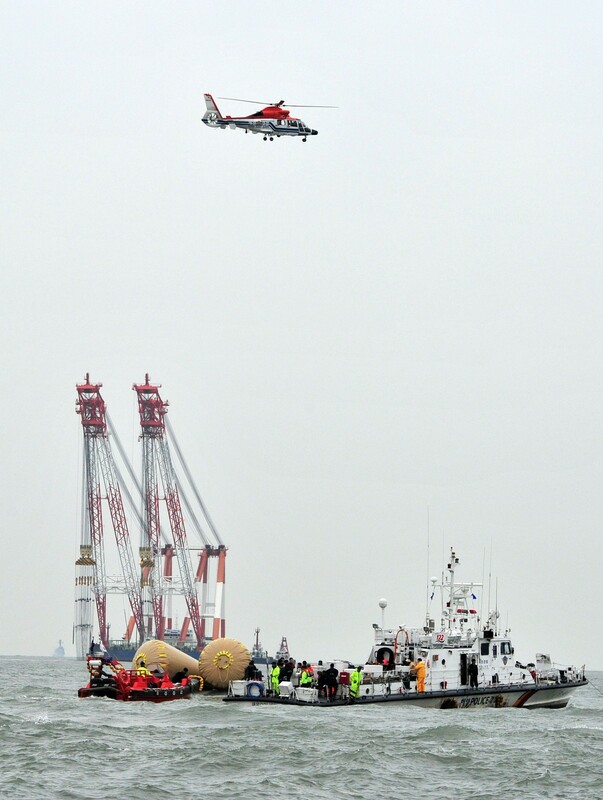 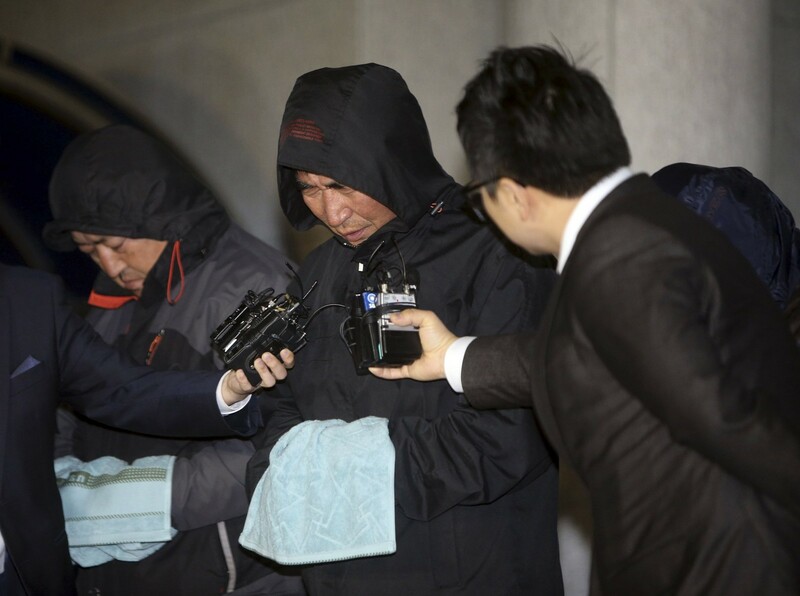 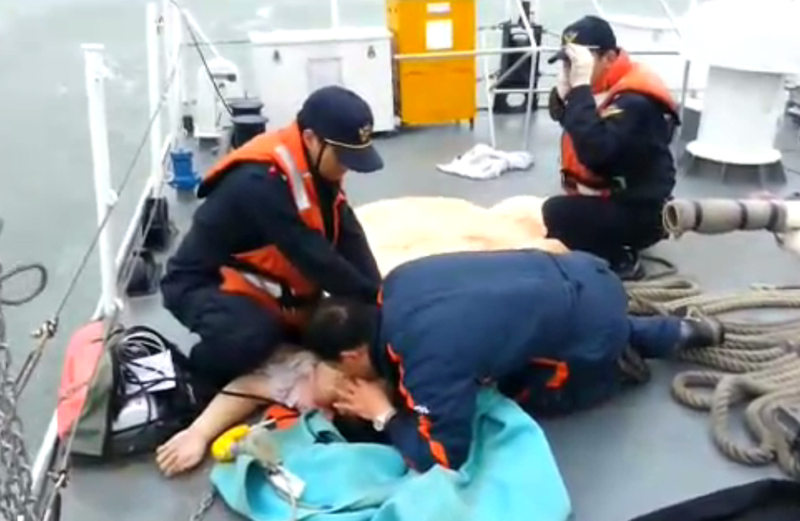 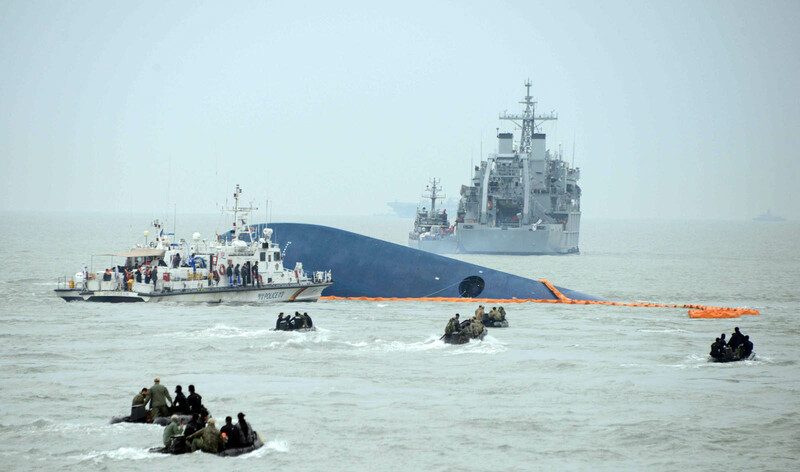 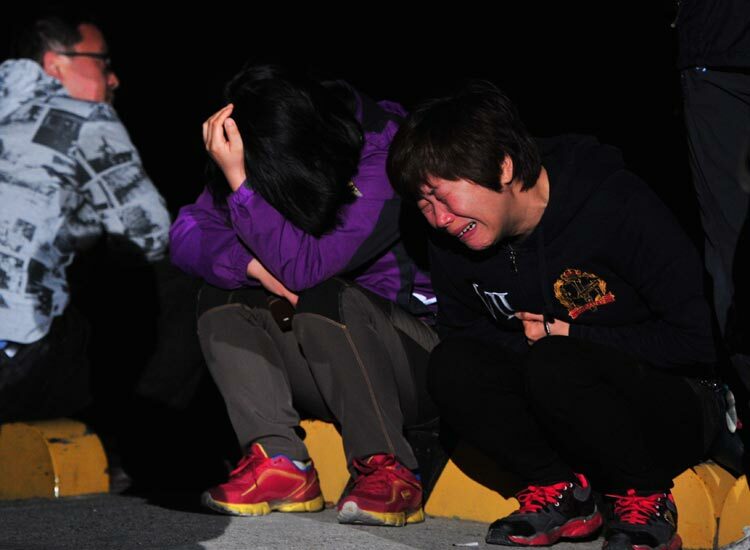 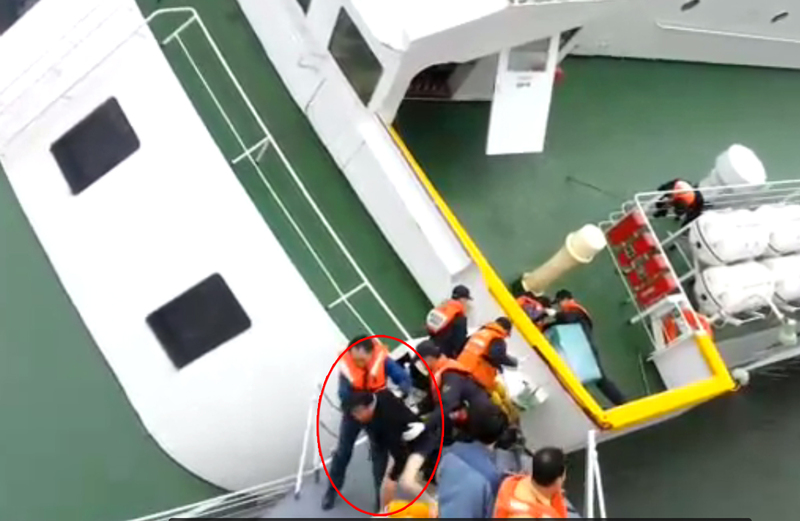 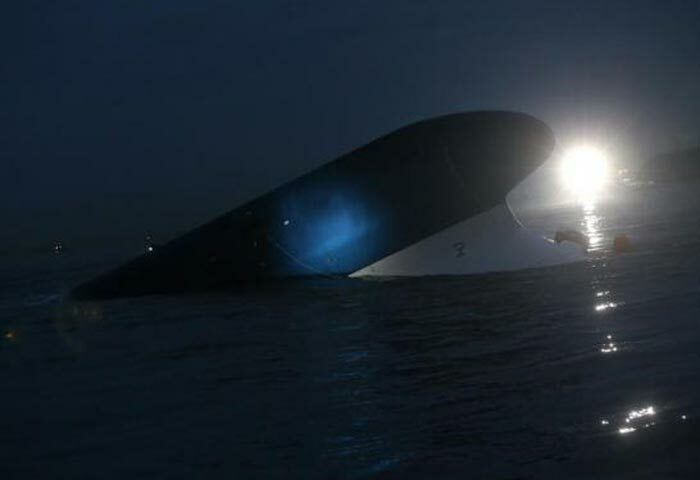 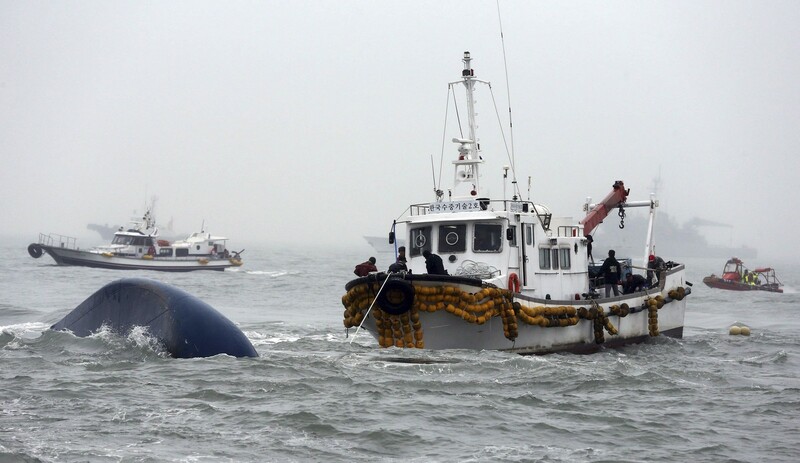 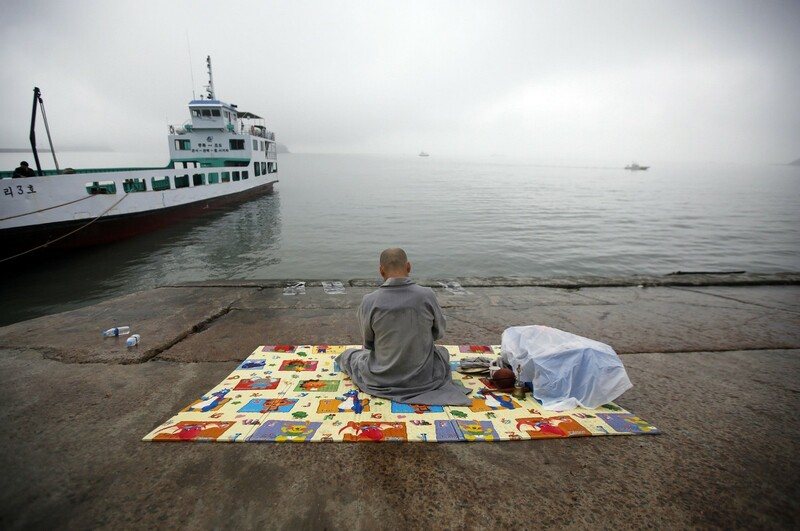 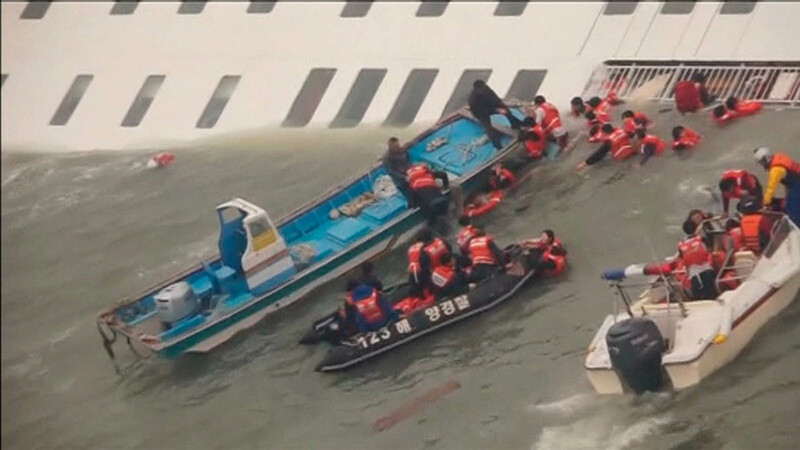 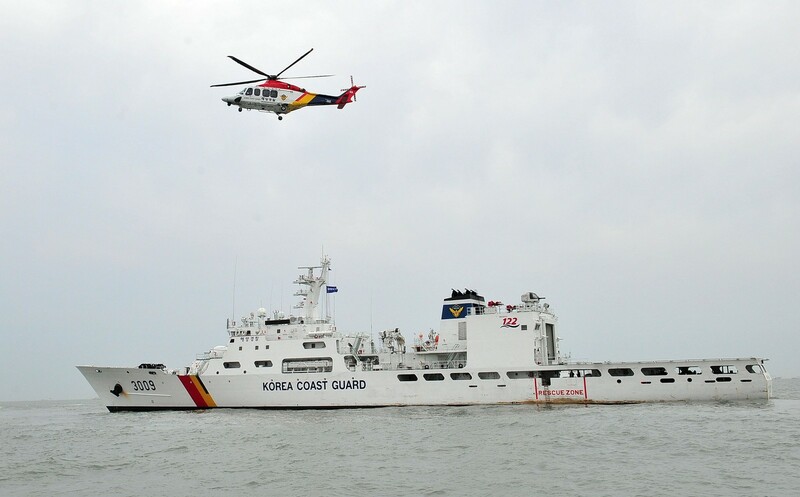 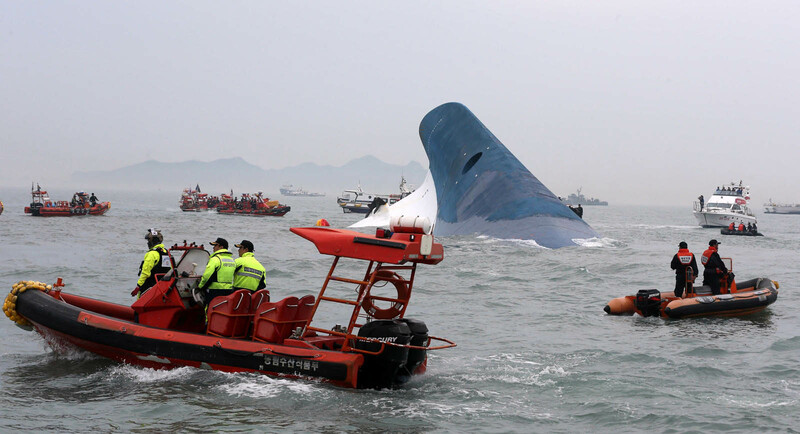 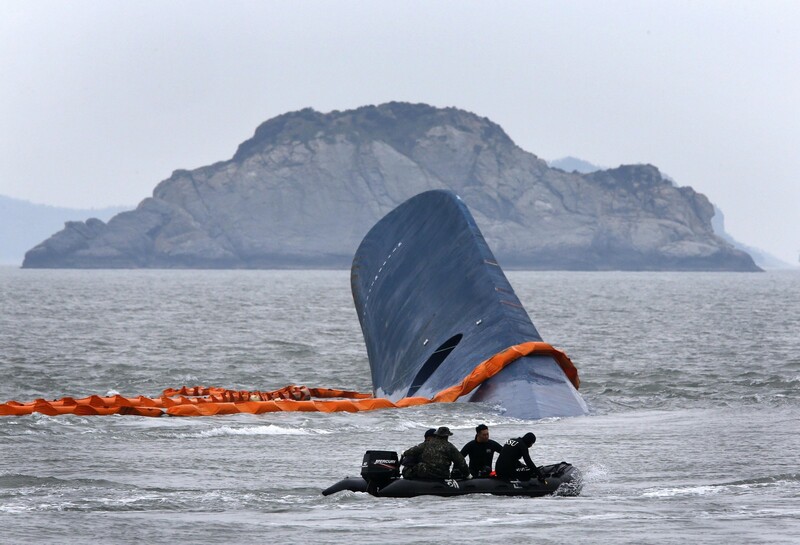 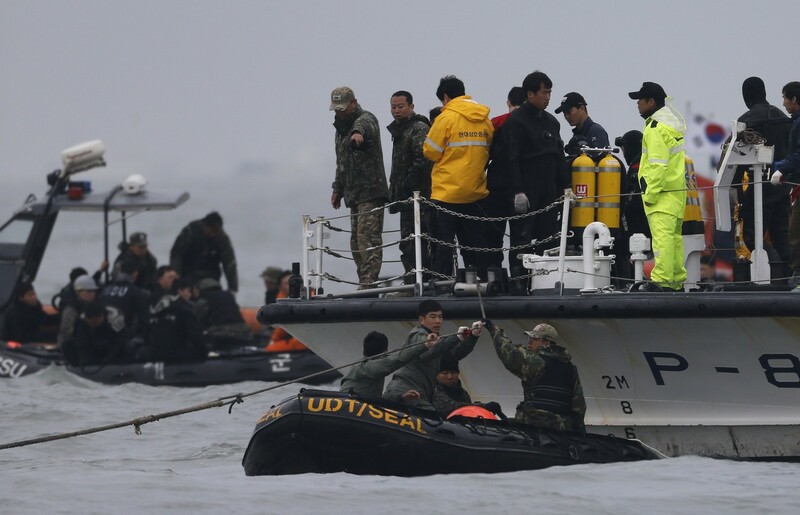 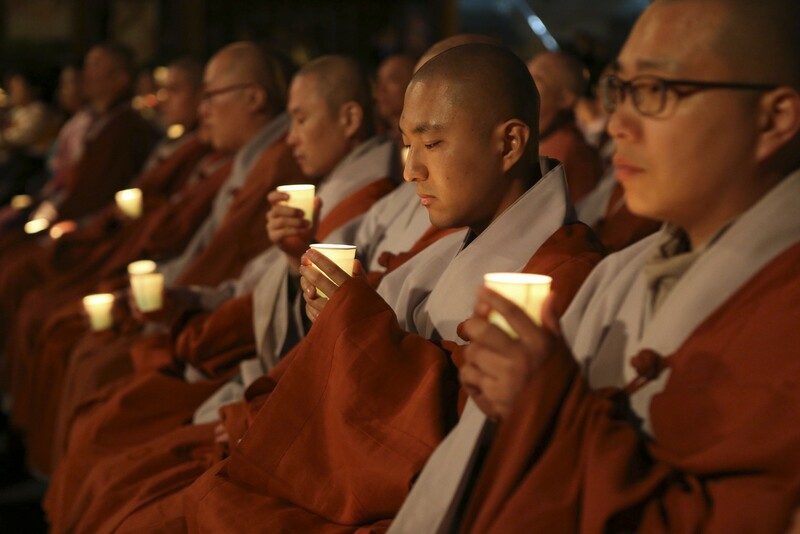 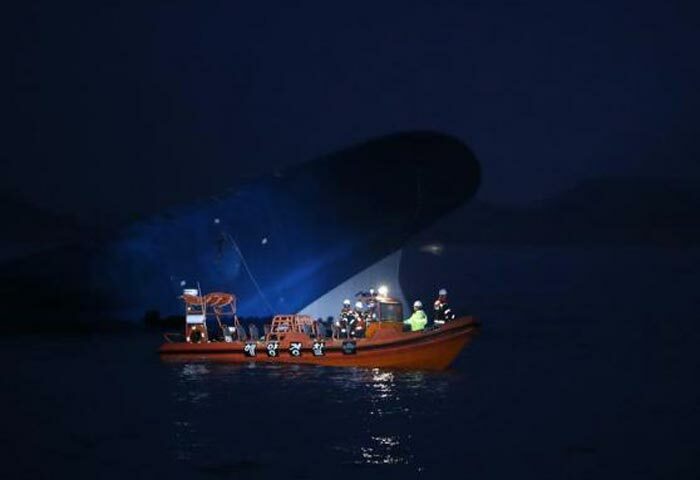 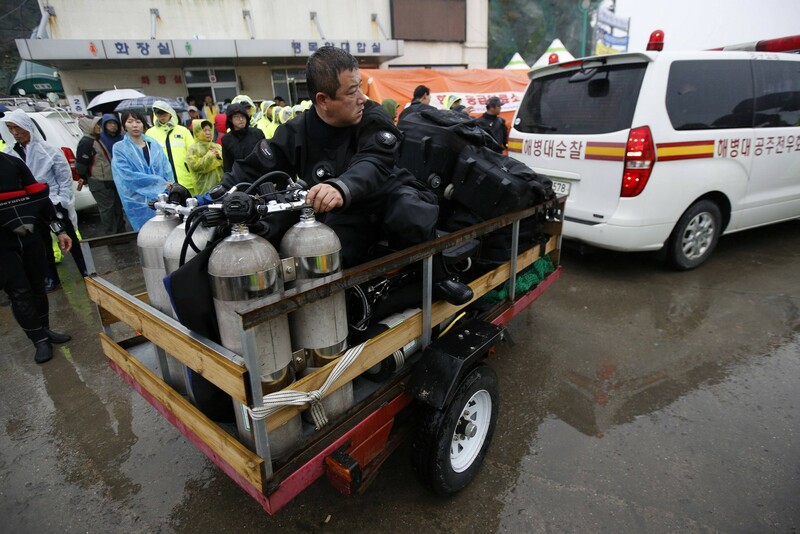 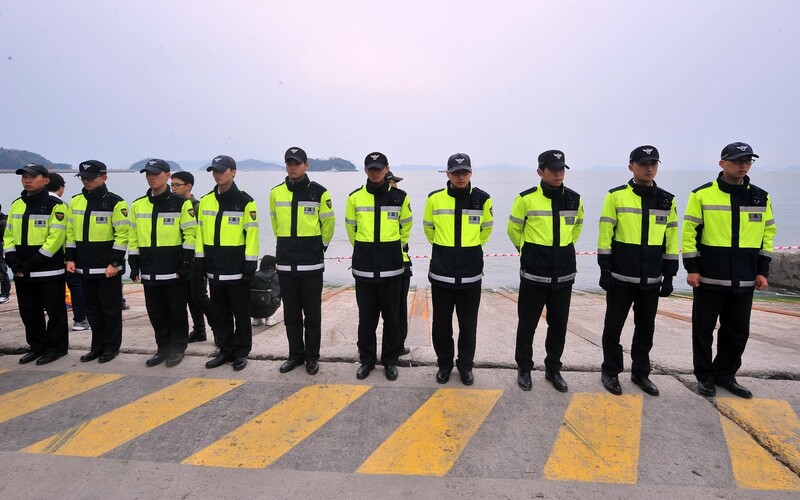 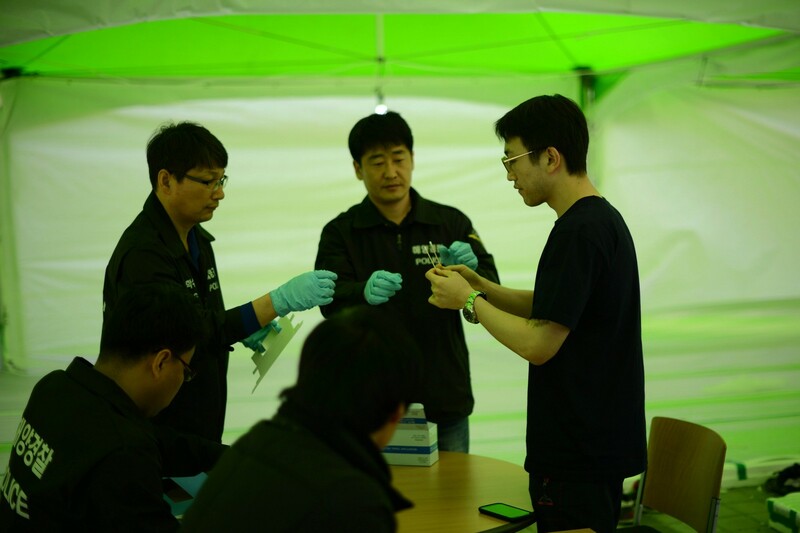 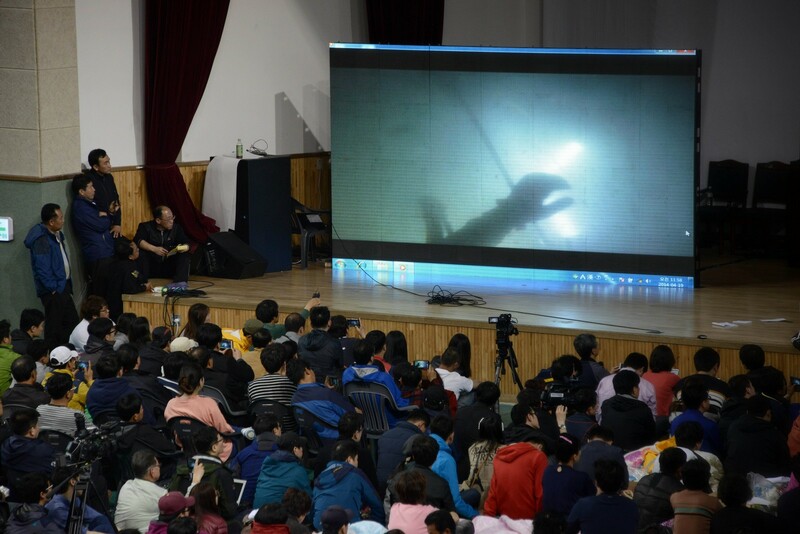 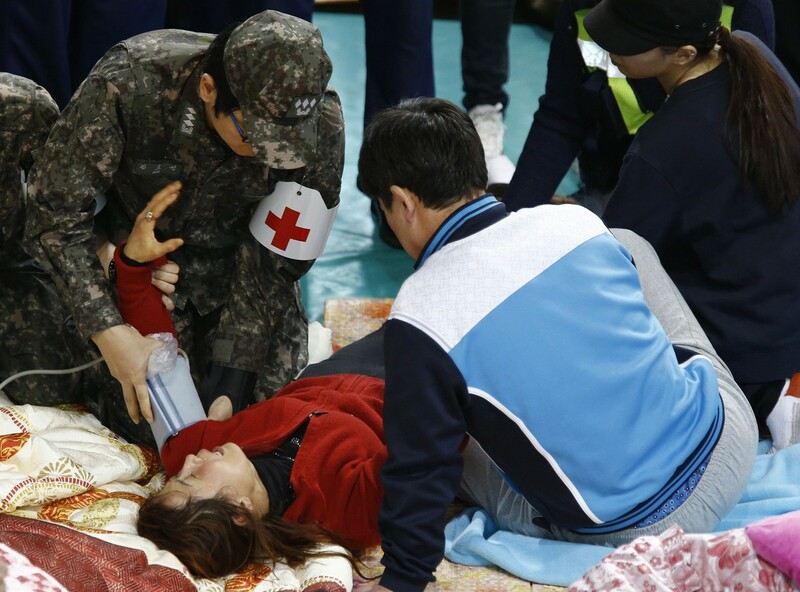 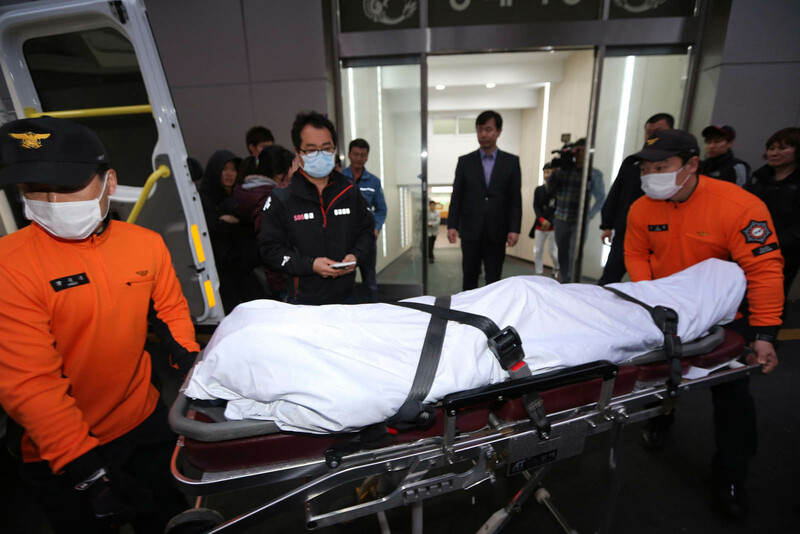 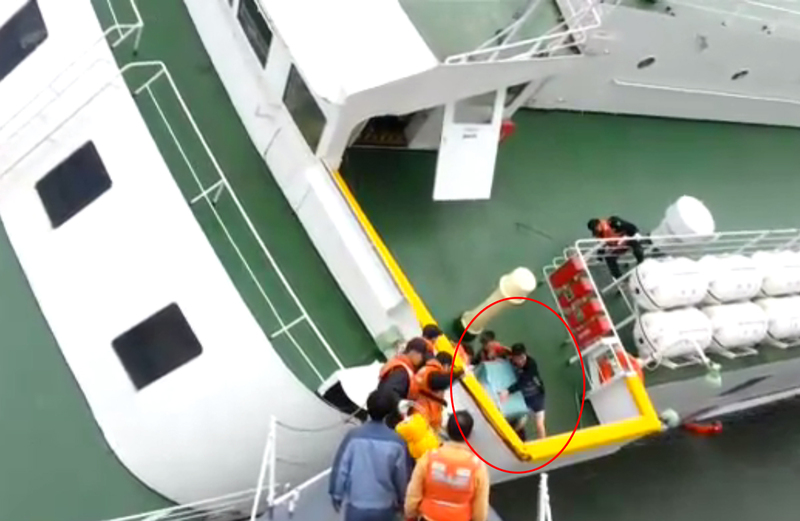 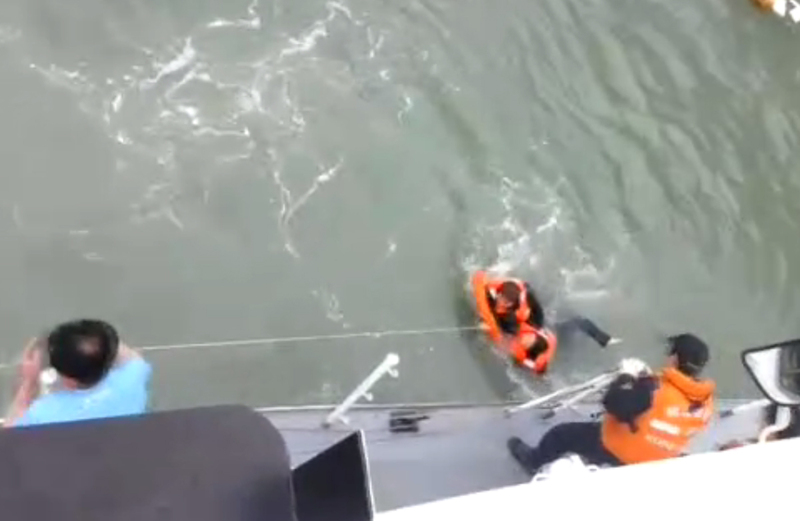 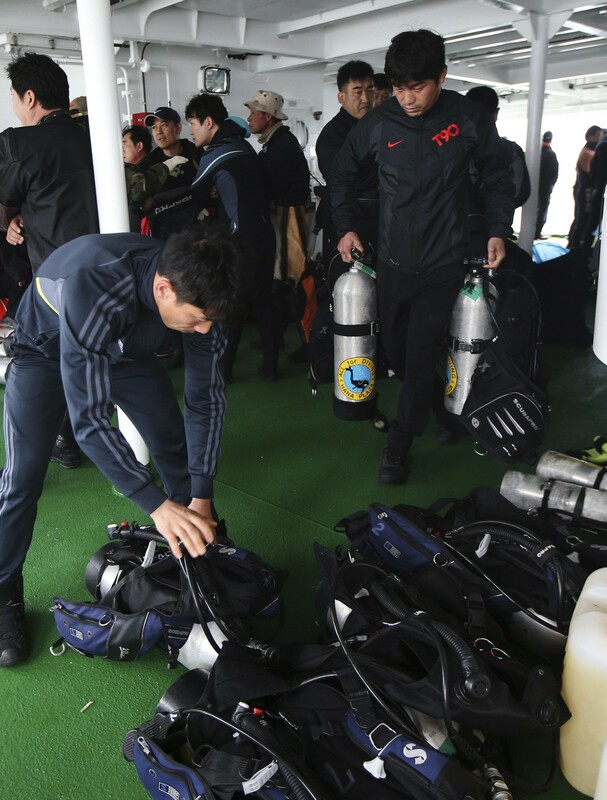 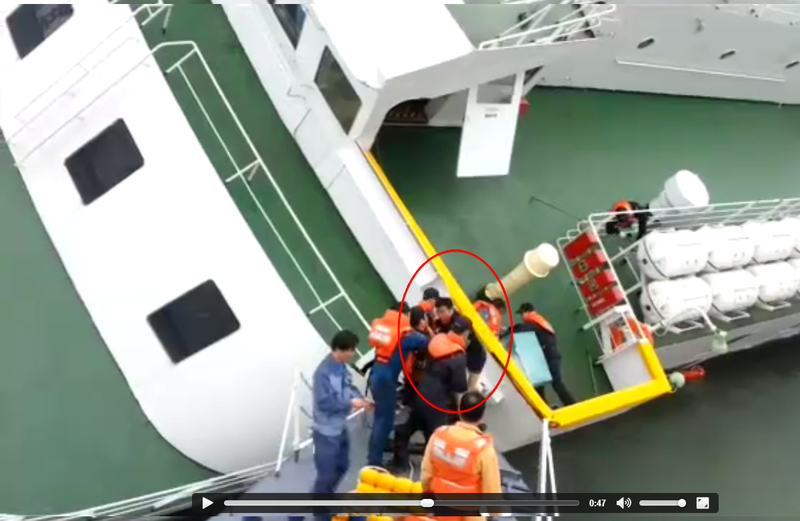 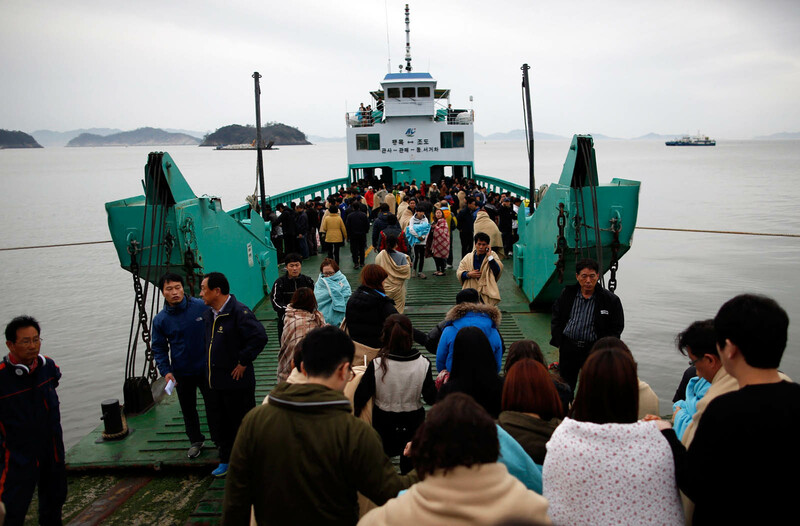 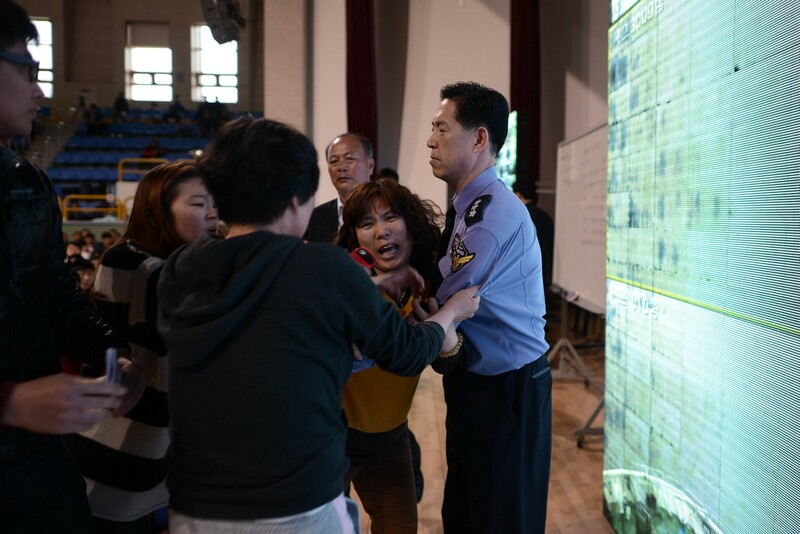 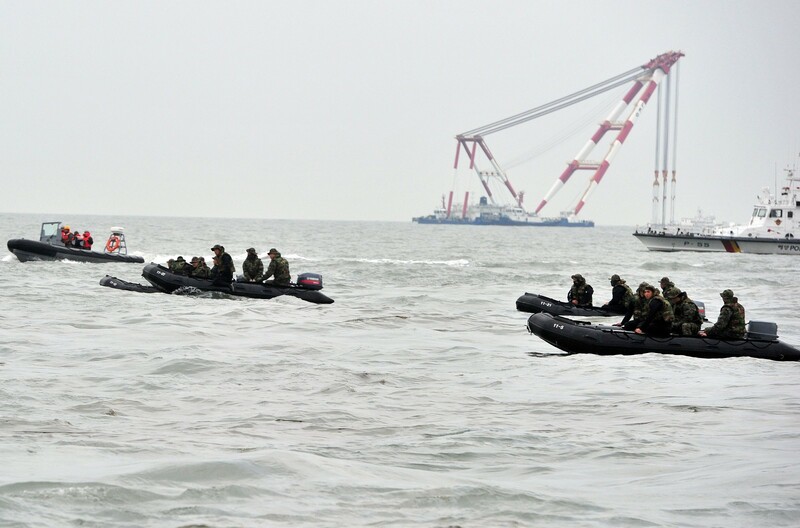 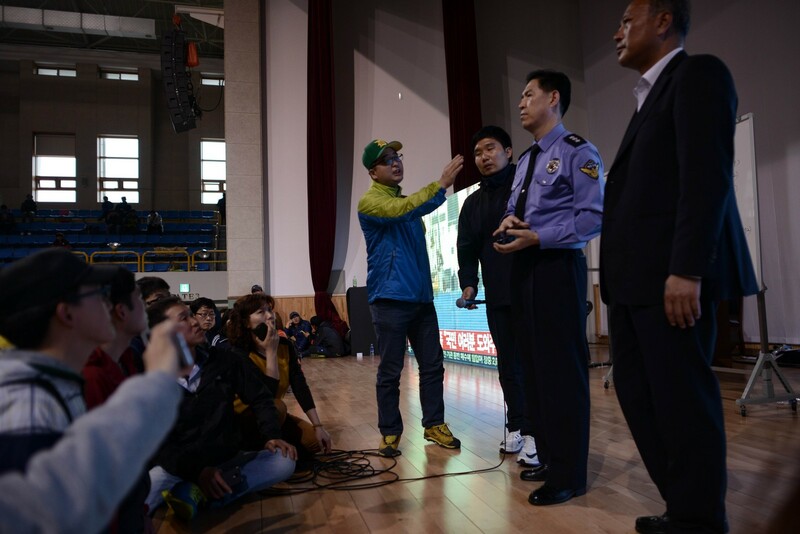 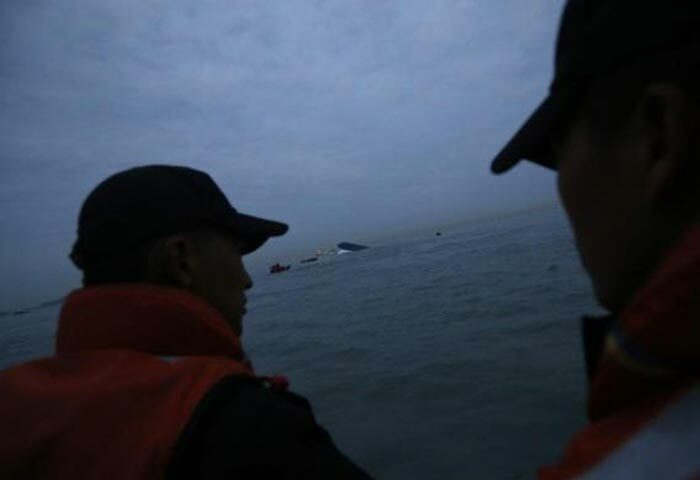 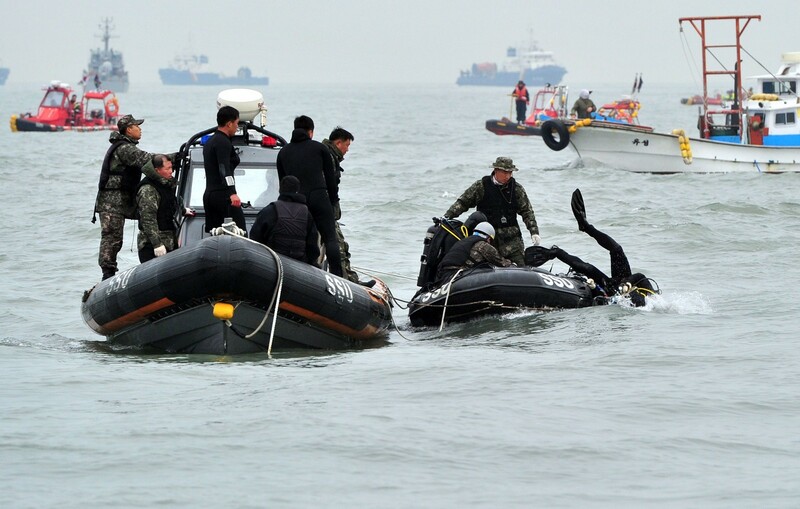 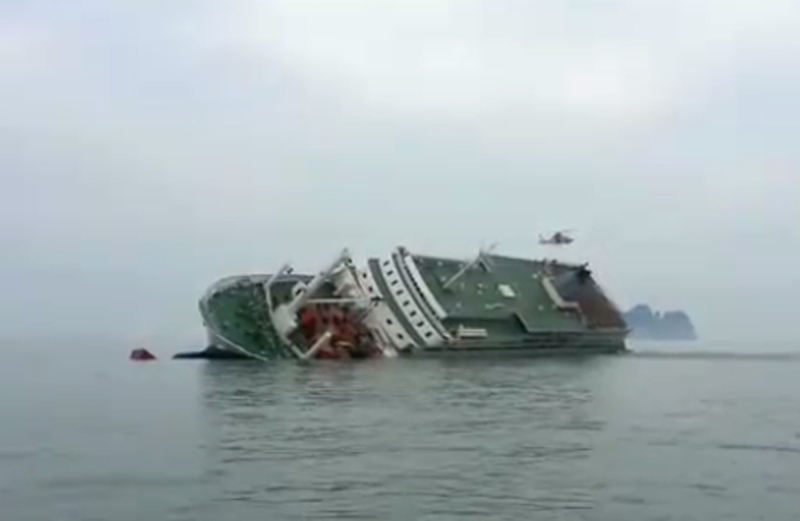 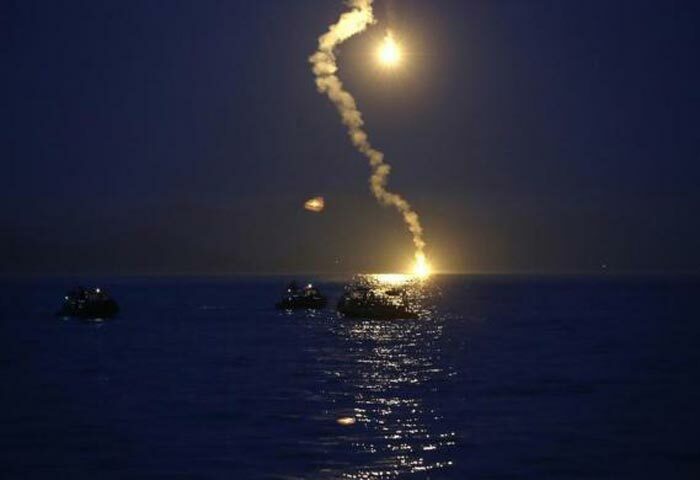 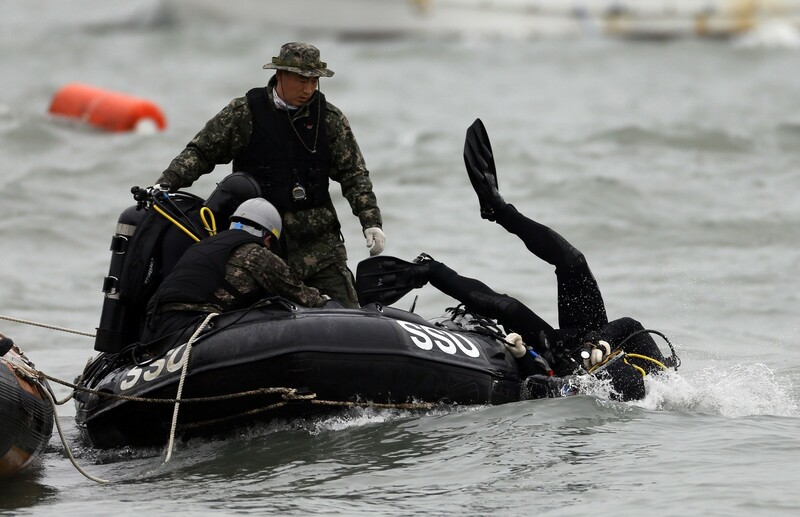 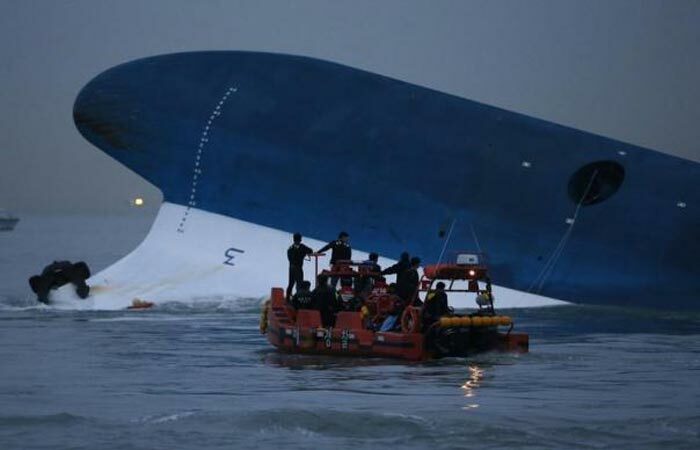 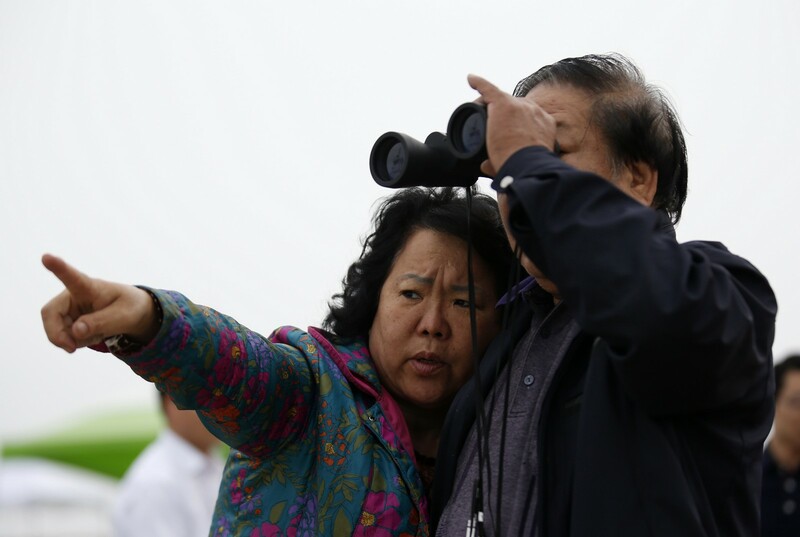 According to a spokesman from the South Korean Coast Guard, the crew members did not divulge their identities as they were hauled off the sinking ferry. 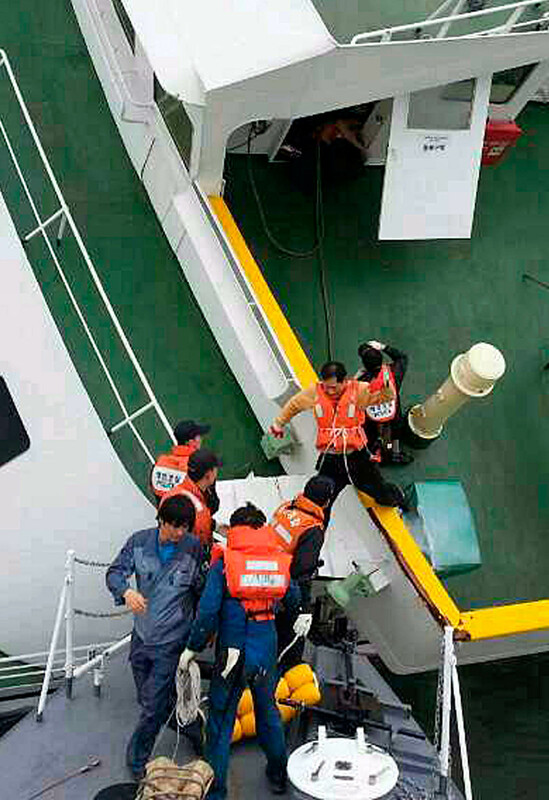 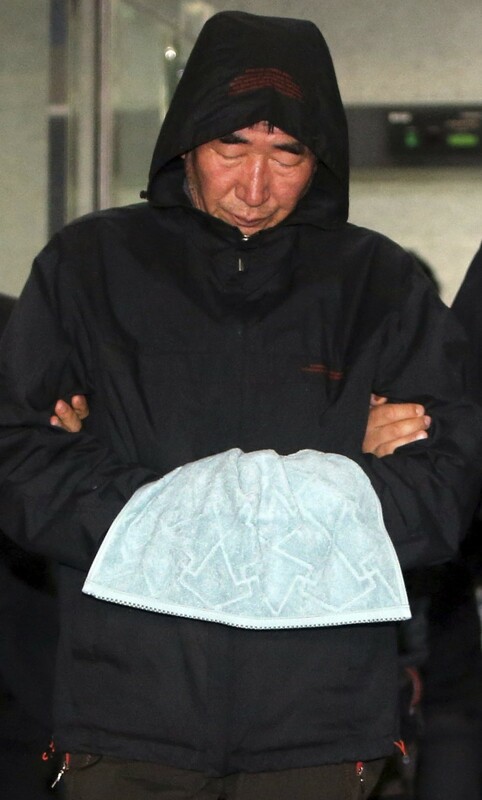 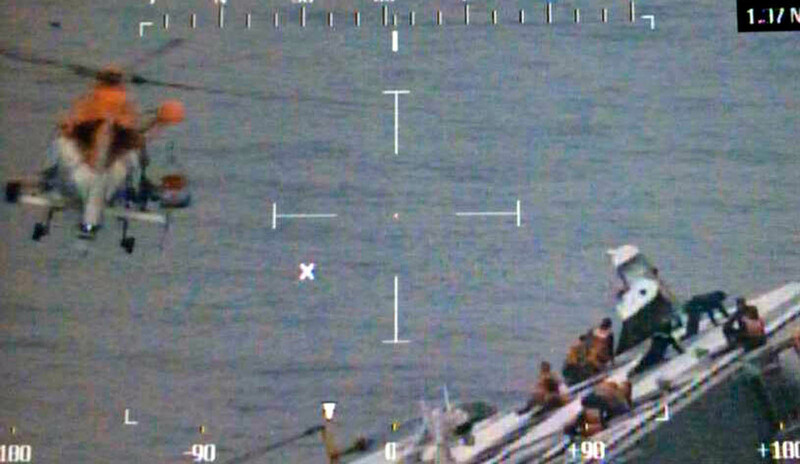 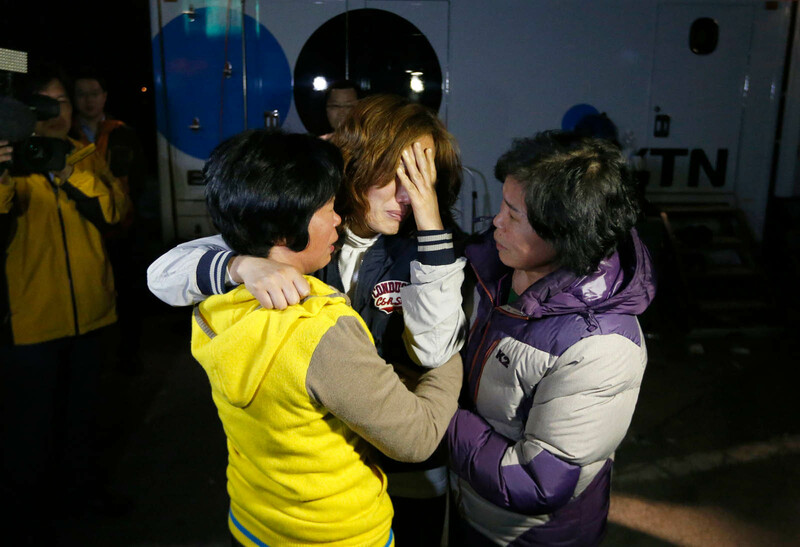 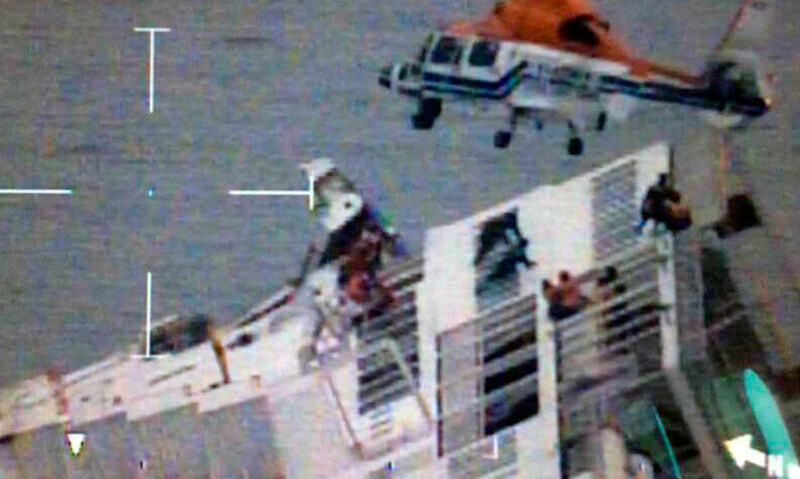 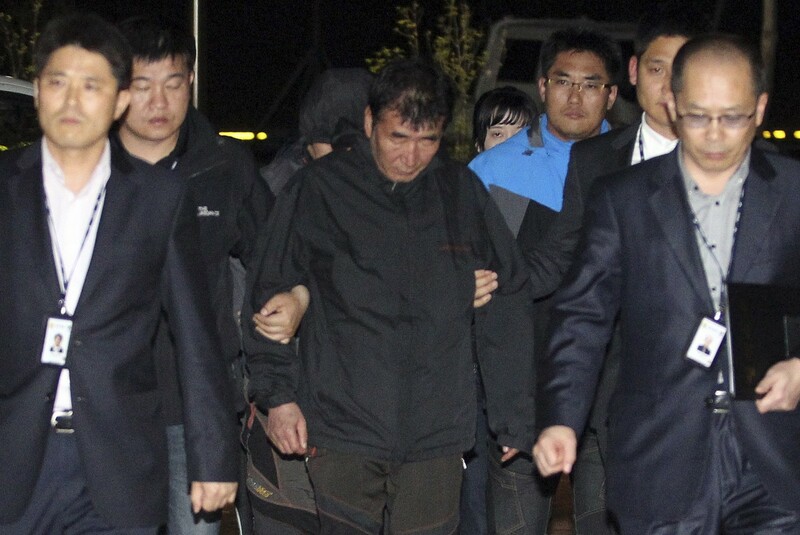 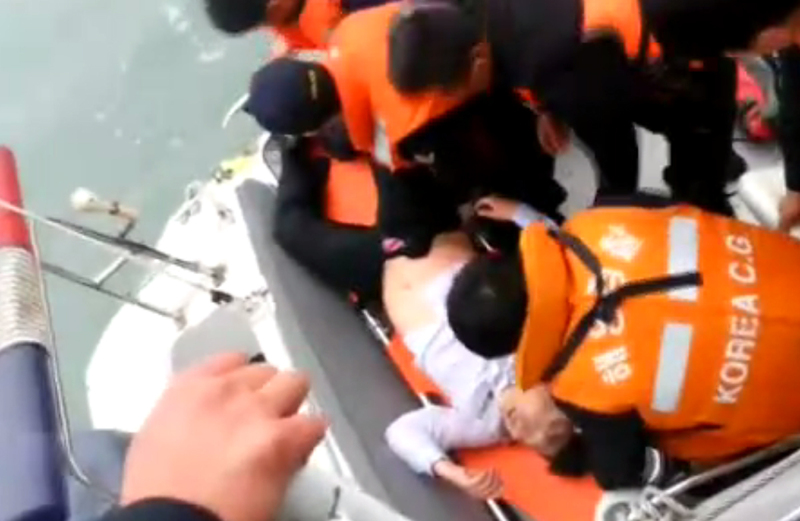 All 15 surviving crew members were later arrested by South Korean authorities. 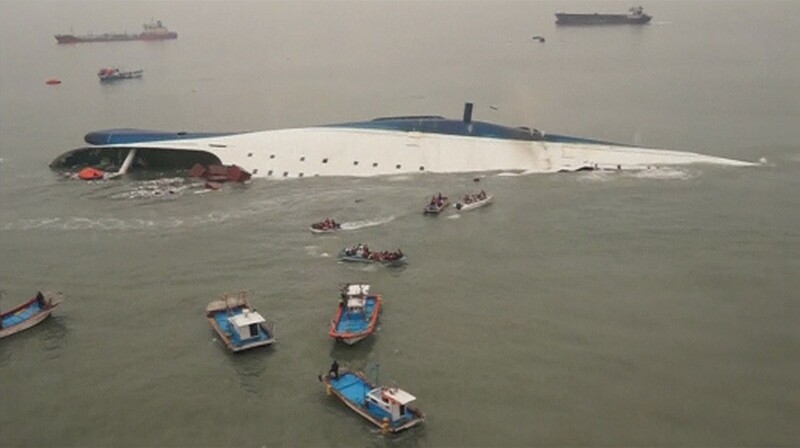 They face charges ranging from criminal negligence to abandoning passengers. 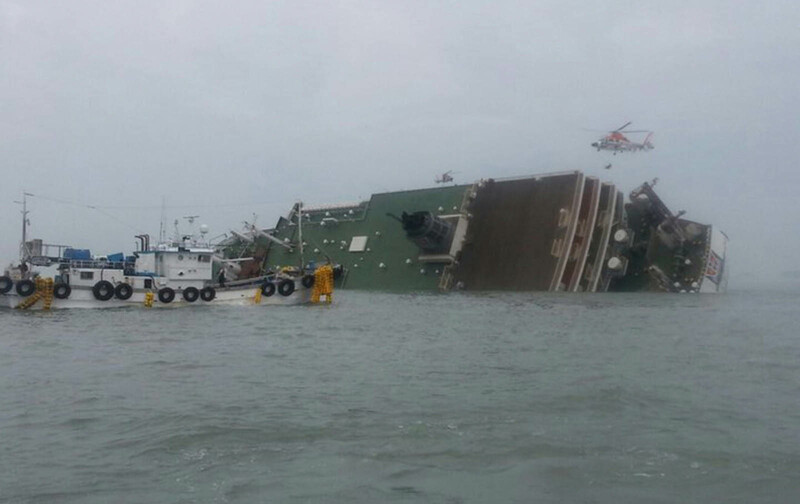 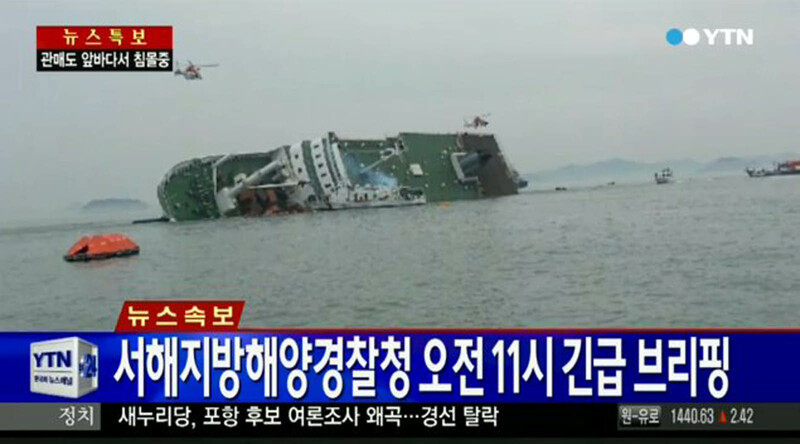 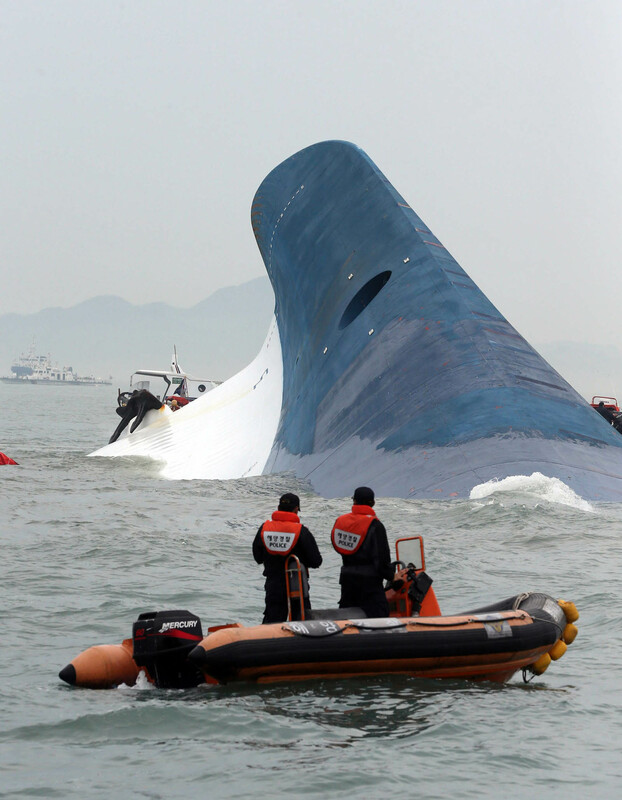 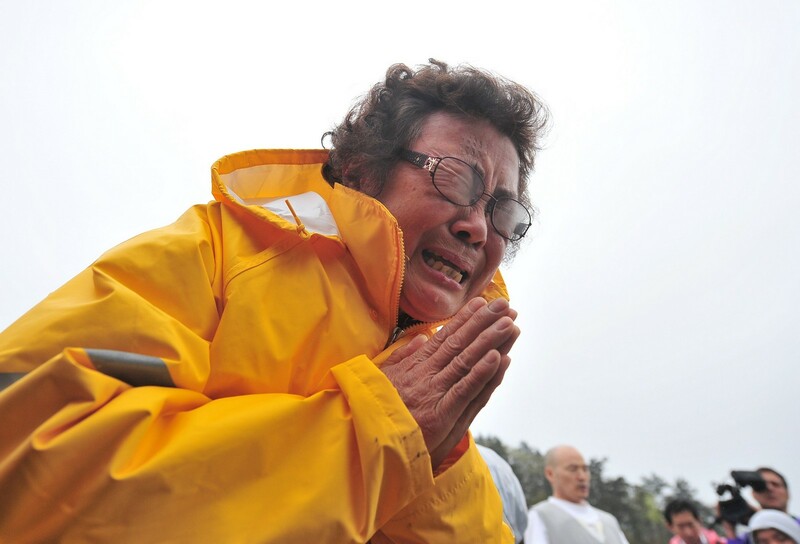 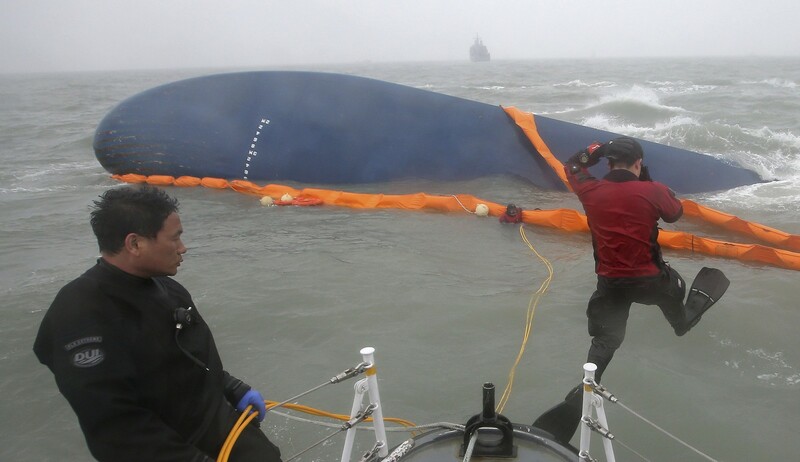 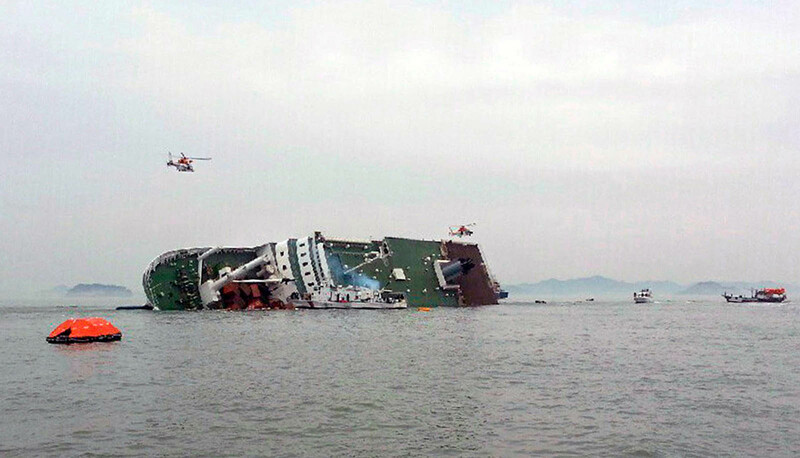 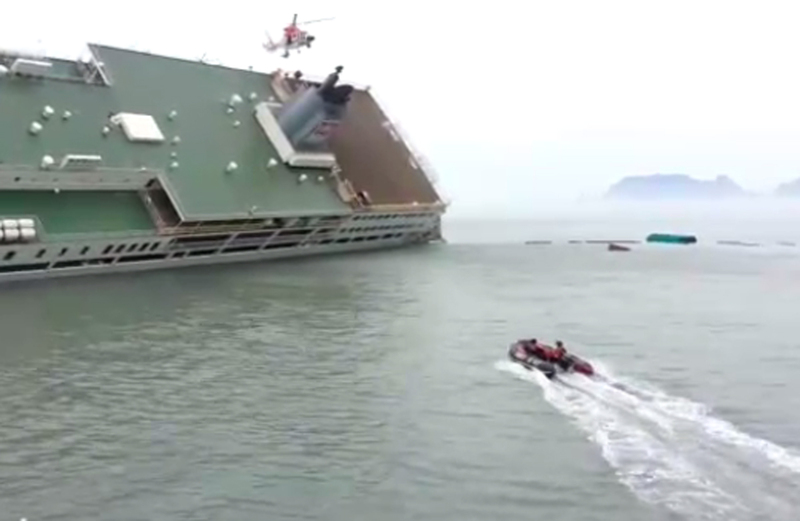 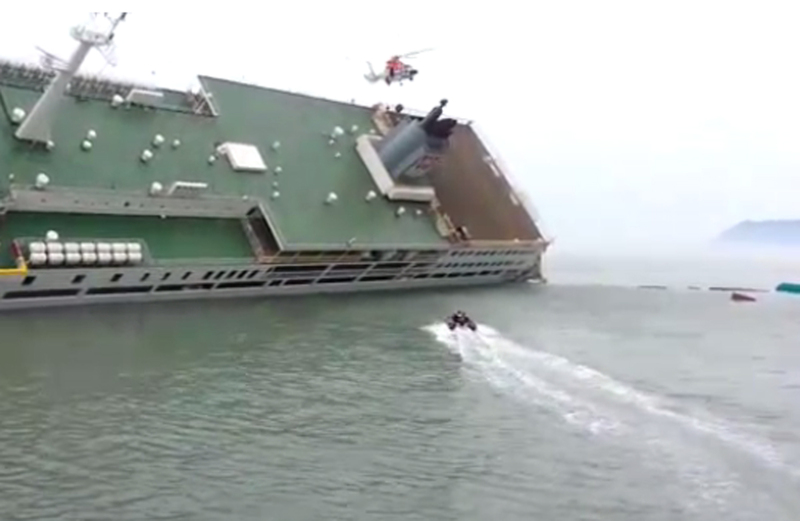 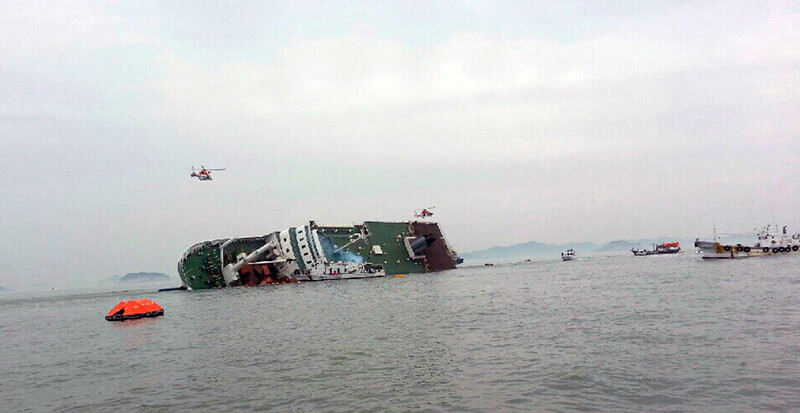 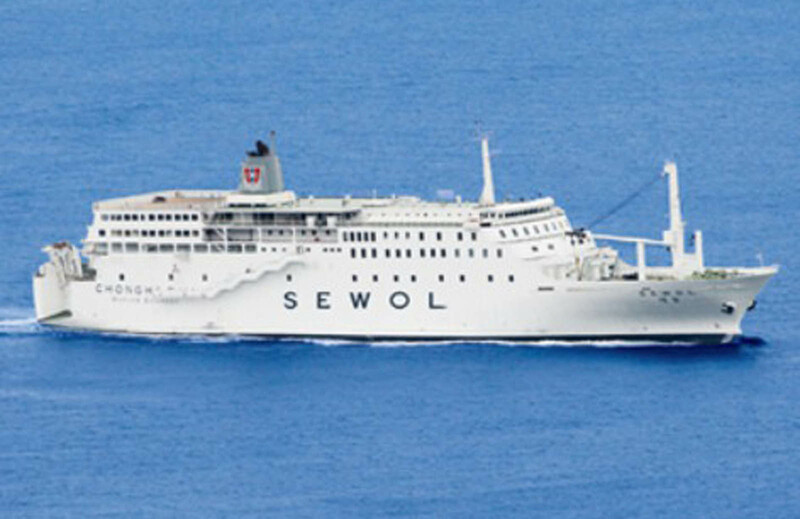 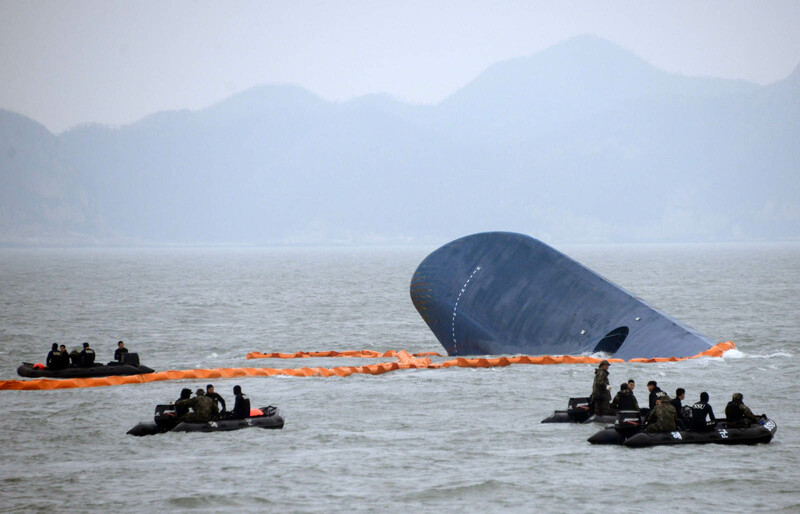 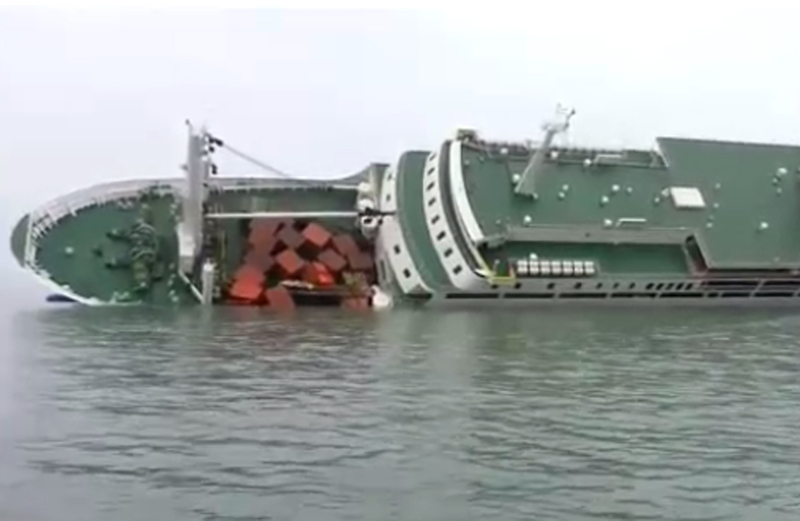 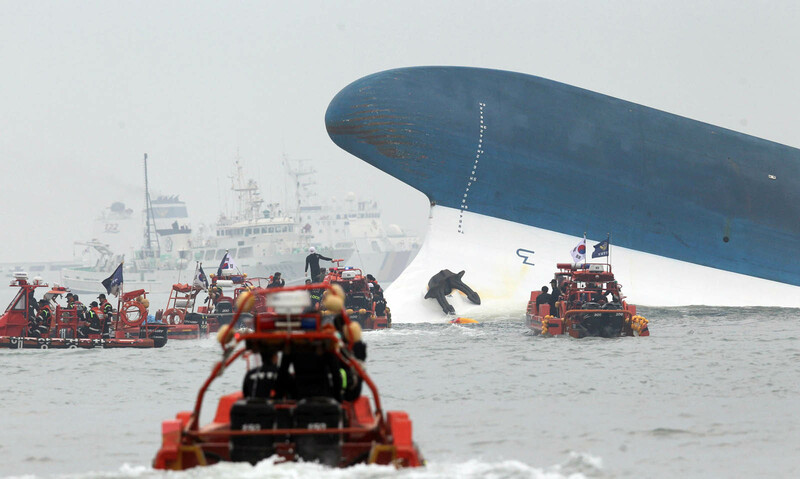 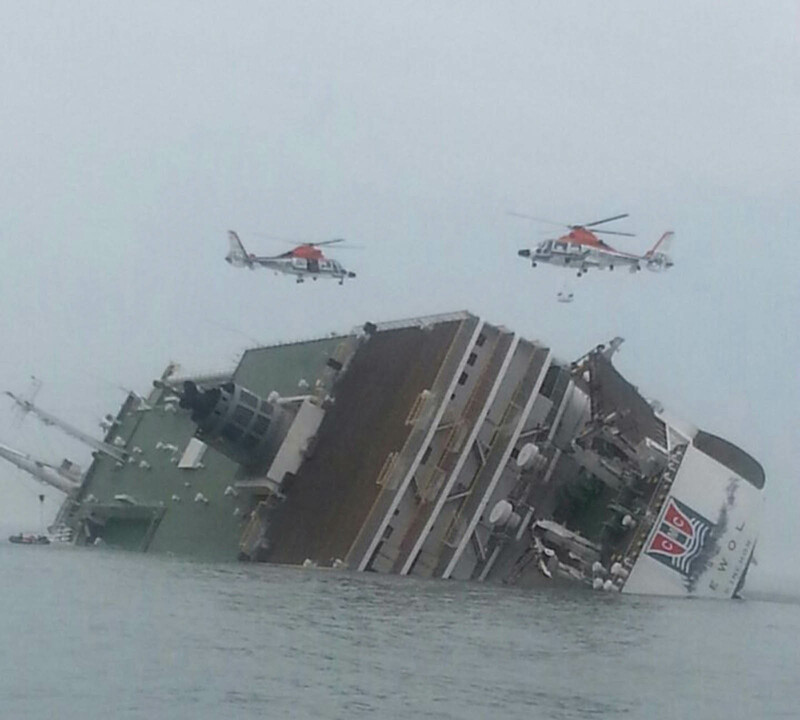 The ferry, Sewol, later capsized on April 16 with 476 passengers onboard. 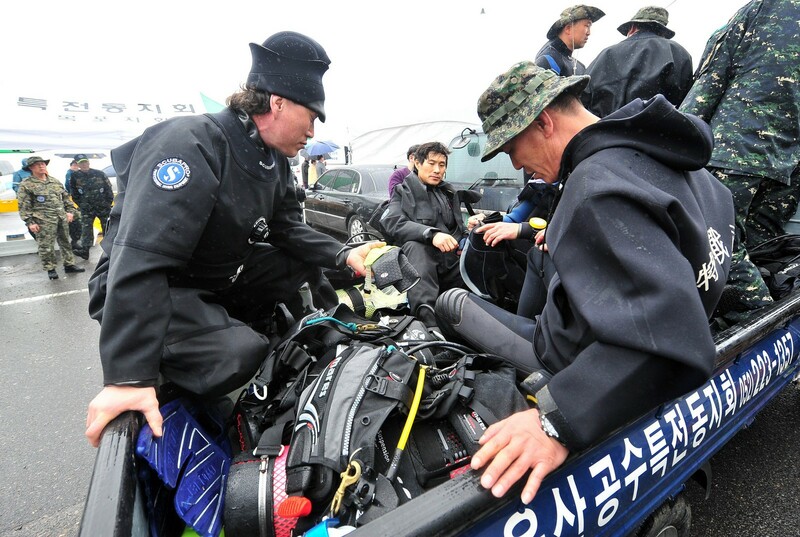 Inclement weather and dangerous conditions have hampered rescue efforts so far. 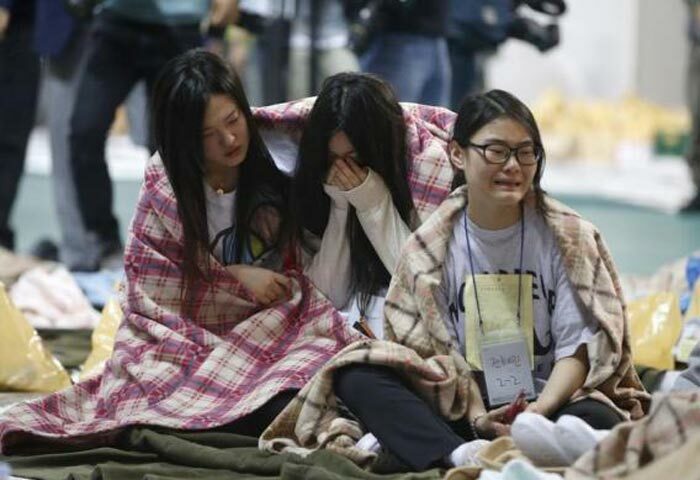 More than 100 bodies are still unaccounted for, with most of the missing and dead being high school students. 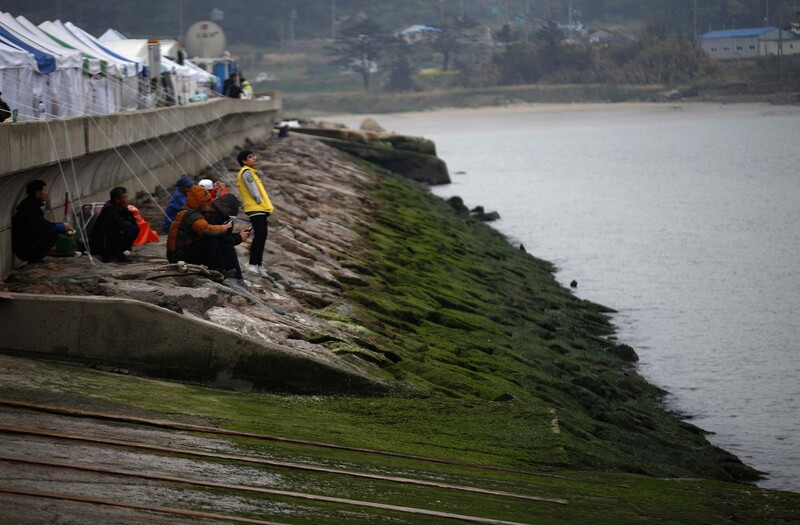 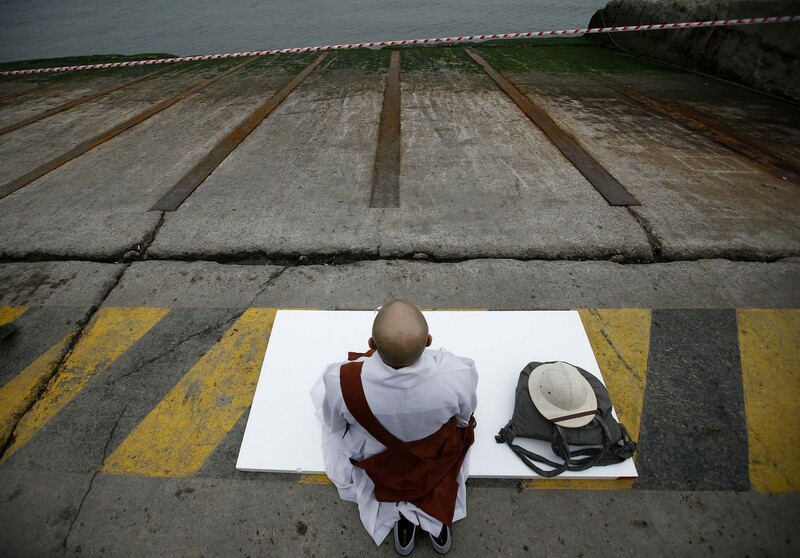 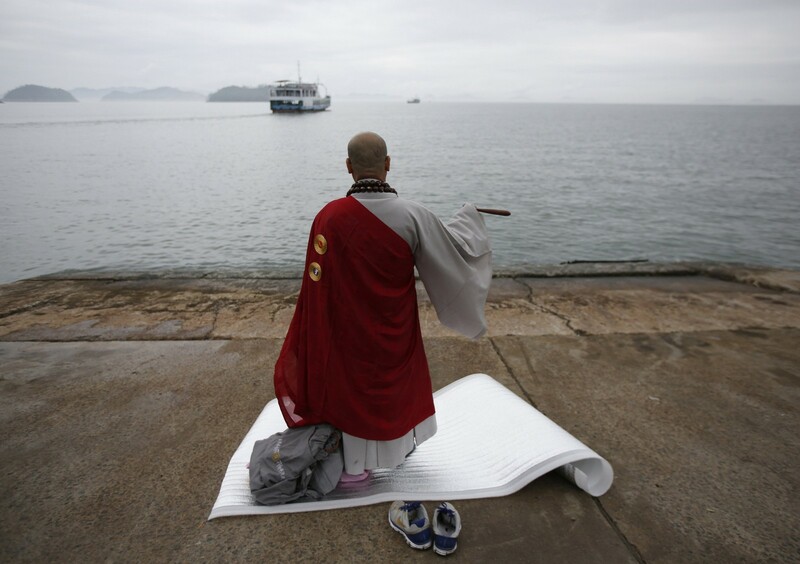 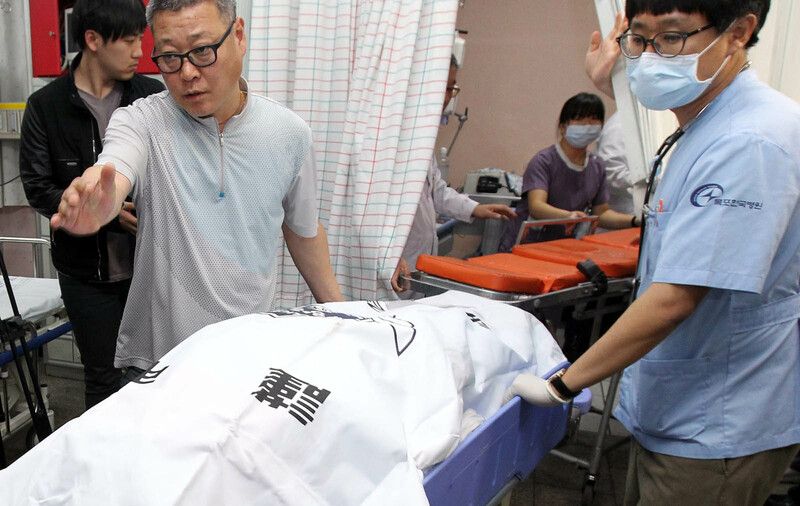 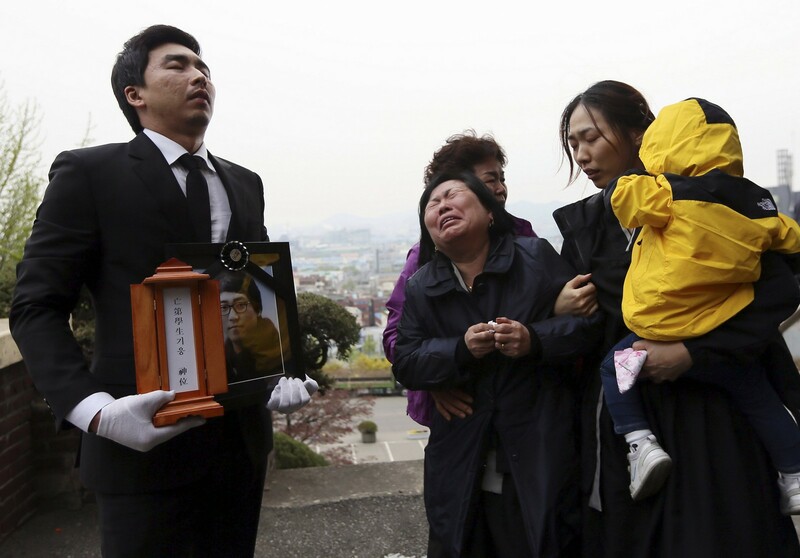 South Korea has asked China and Japan to look out for bodies that may wash up on their shores. 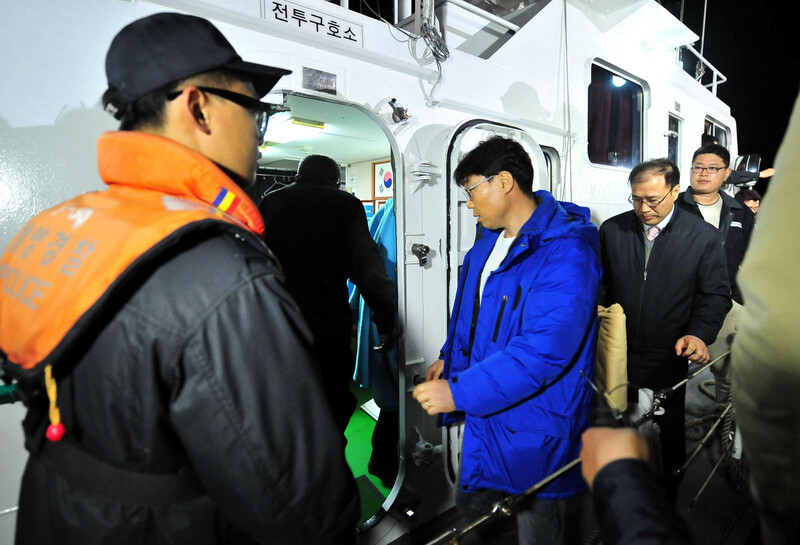 These latest raid follows an initial raid done on the Jindo VTS office on Saturday. 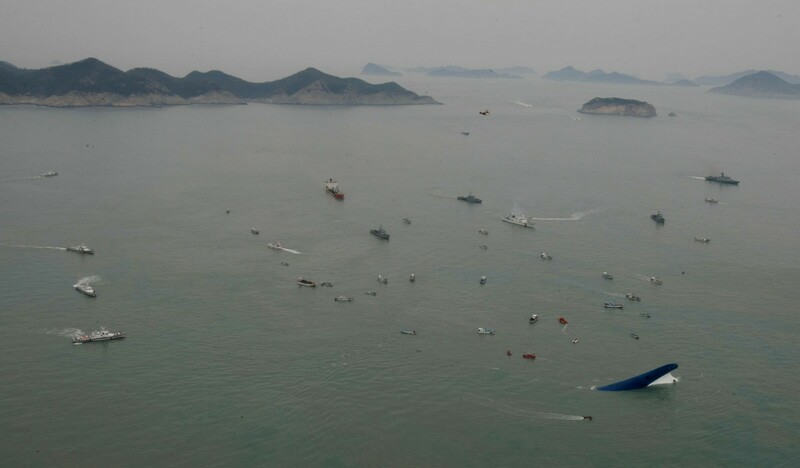 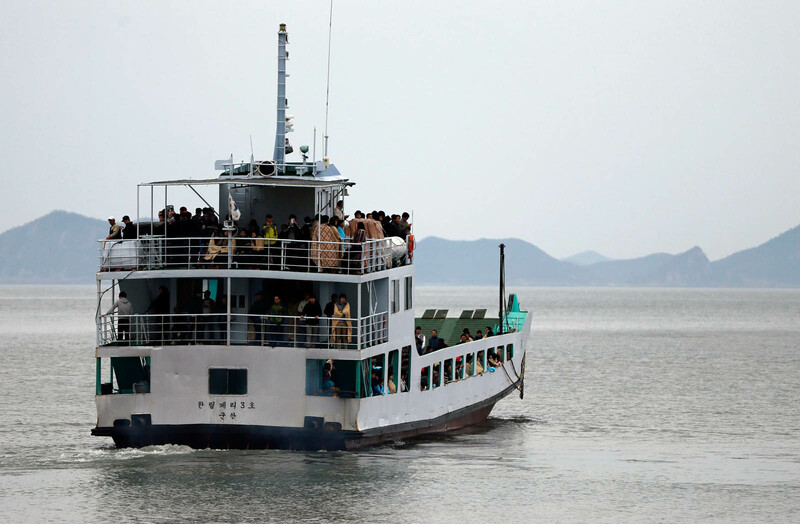 According to an AFP report, Jindo VTS failed to acknowledge the situation of the ferry for 18 minutes from the occurrence.